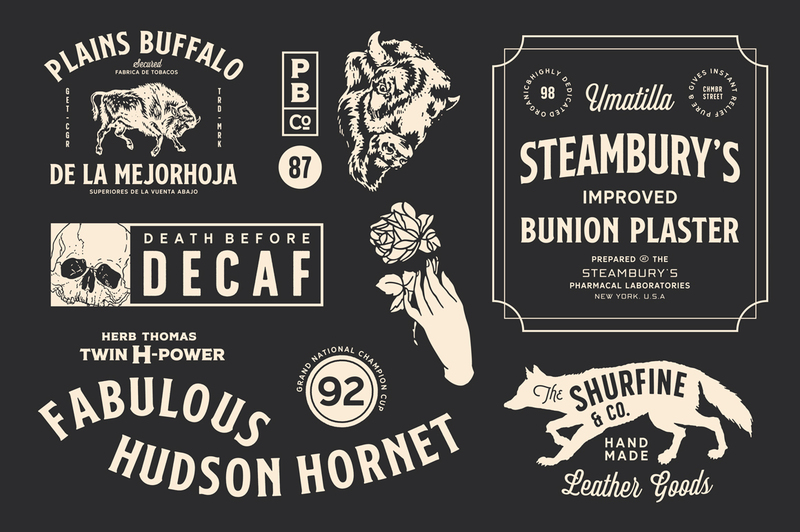 This is the most extensive and versatile vintage design bundle we’ve ever released! 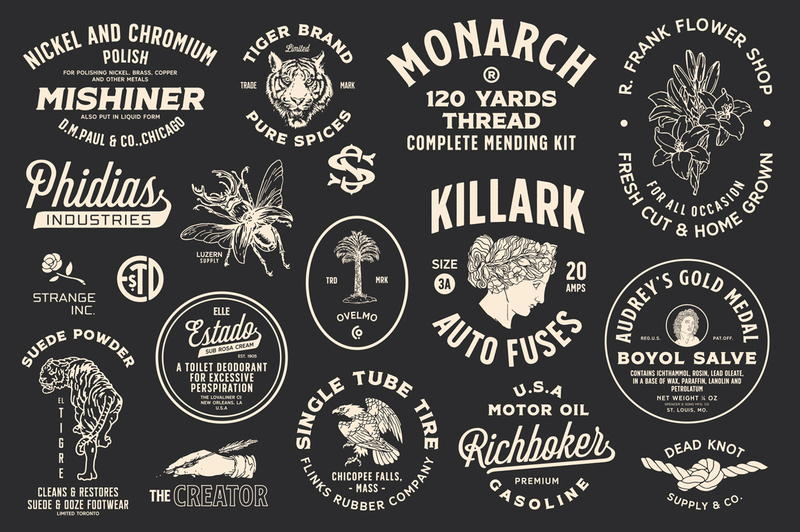 It includes all of your most requested items, such as stunning fonts, 1000s of quality vector illustrations, actions, vectors, ephemera and much more. 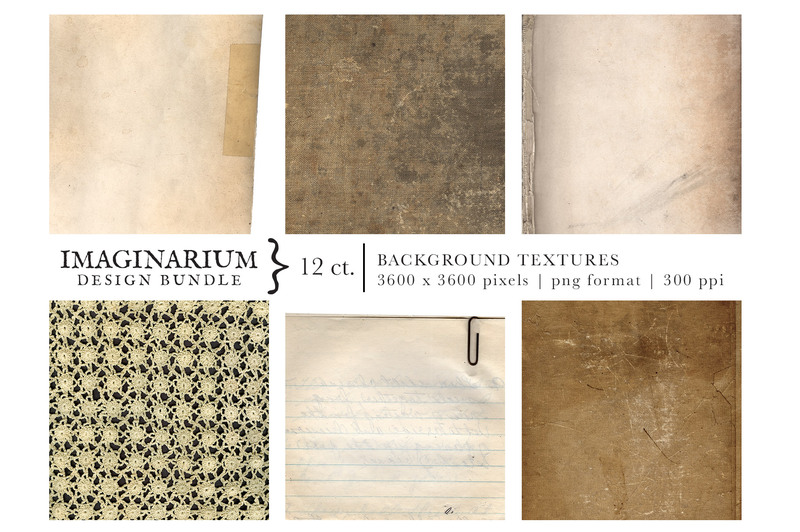 These gorgeous vintage resources have been sourced from authentic materials, designed to give your work a genuine vintage aesthetic. 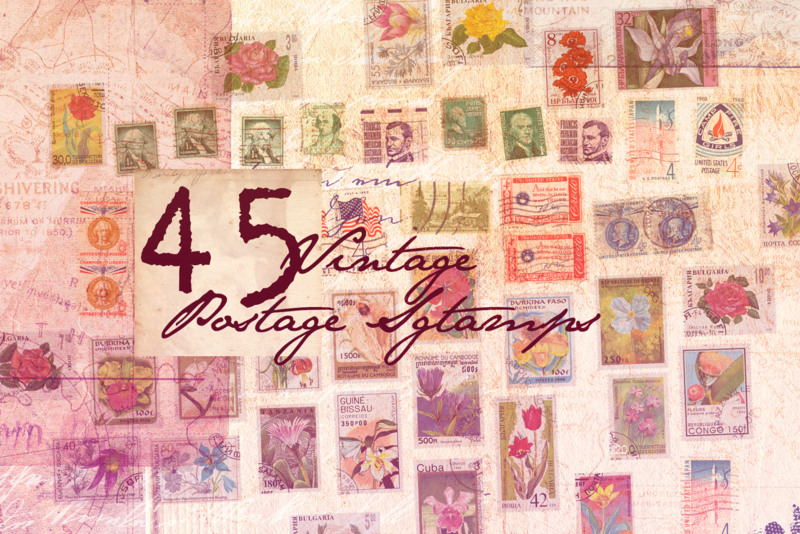 Whether you’re adding some old-time effects to your current projects, or looking to create a vintage masterpiece from scratch, this collection has you covered! 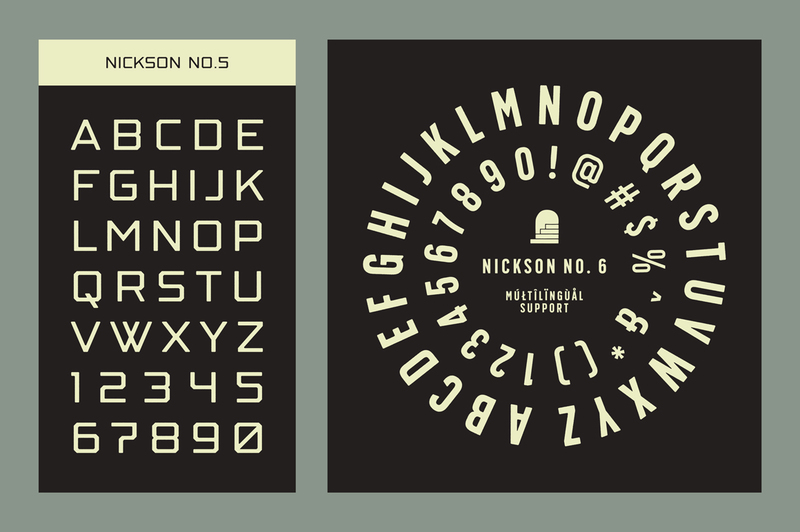 Nickson Font Family includes 15 fonts that have different styles from each other but at the same time perfectly paired when used together. 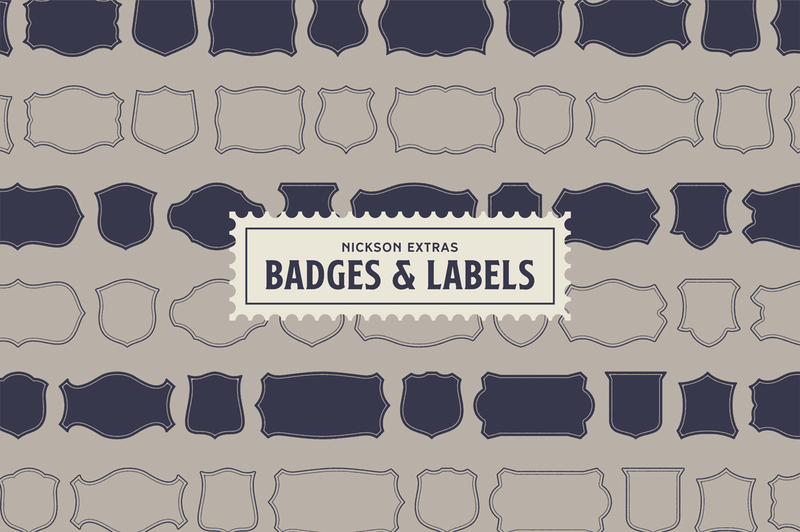 Nickson offers seven display fonts, one script font, 250+ illustrations (using new techniques so you will not lose every detail), badges, labels, and catchwords. 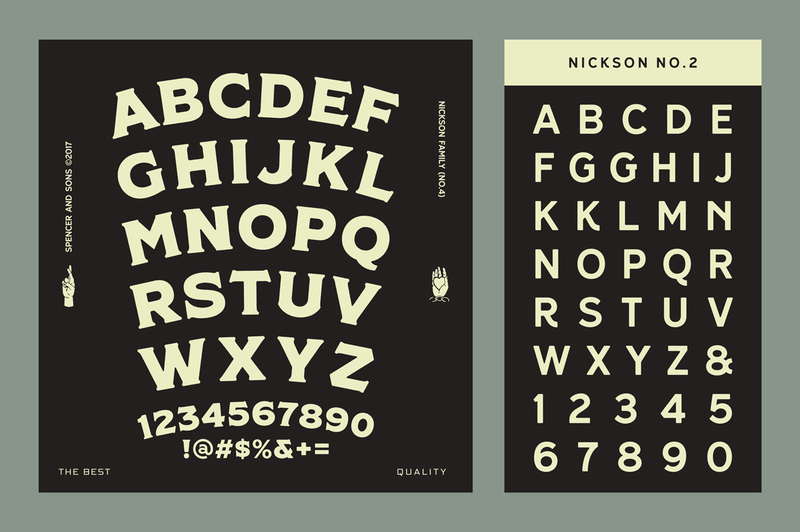 Nickson Font Family Collection was designed carefully to create elegant typographic works. 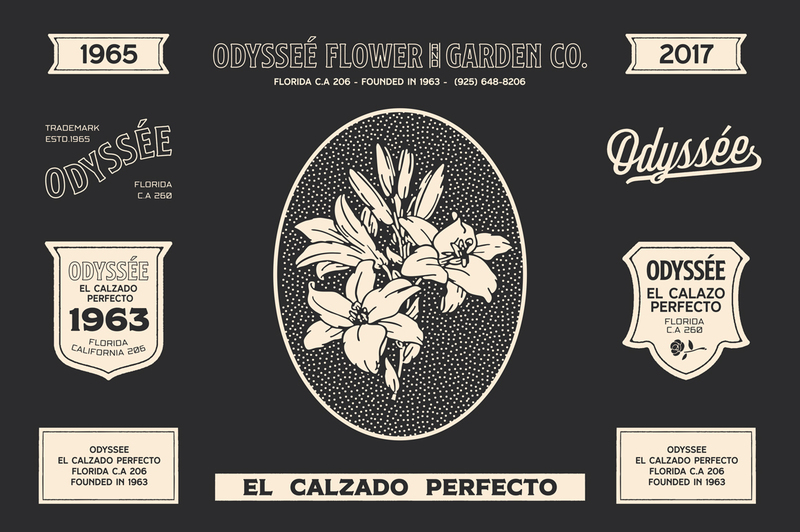 It would be a perfect choice to design posters, affiches, logos, t-shirt and magazine prints, eye-pleasing typographic designs and more. 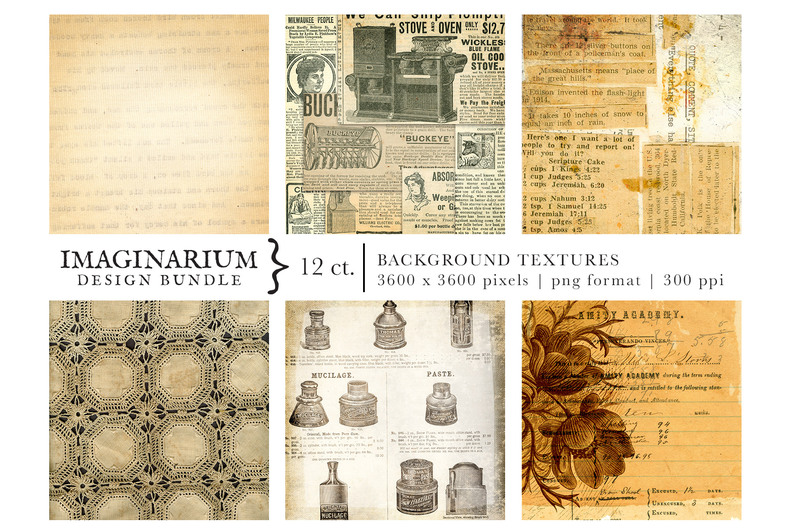 The Imaginarium Design Bundle is chock full of bits and bobs, papers and fabrics that will add a pop of vintage awesomeness to your design. 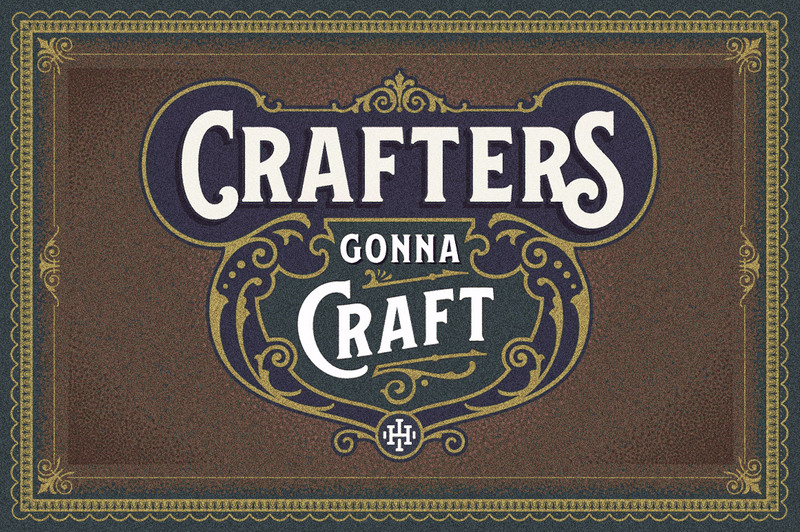 There are many different textured backgrounds to choose from, vintage buttons, metal church letters and numbers, bits of paper ephemera, plus a bunch of junk items including metal watch cases, feather, clock, pencil, thread, wood bits, and rhinestones. 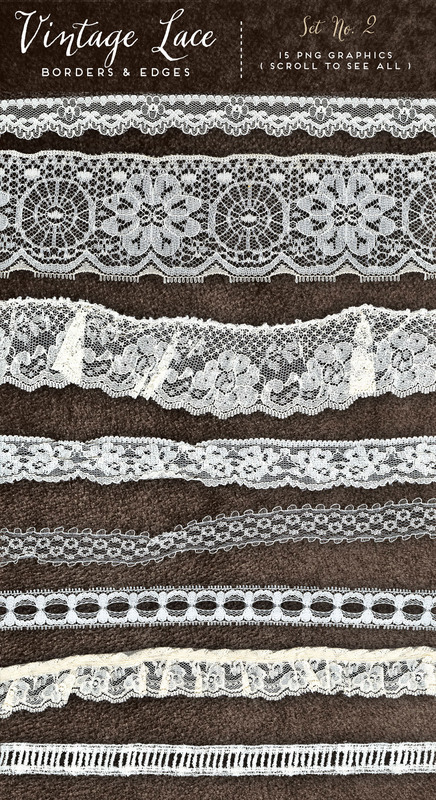 Stunningly beautiful large scale realistic vintage lace border or edge graphics that will add a realistic pop of feminine elegance to your design. 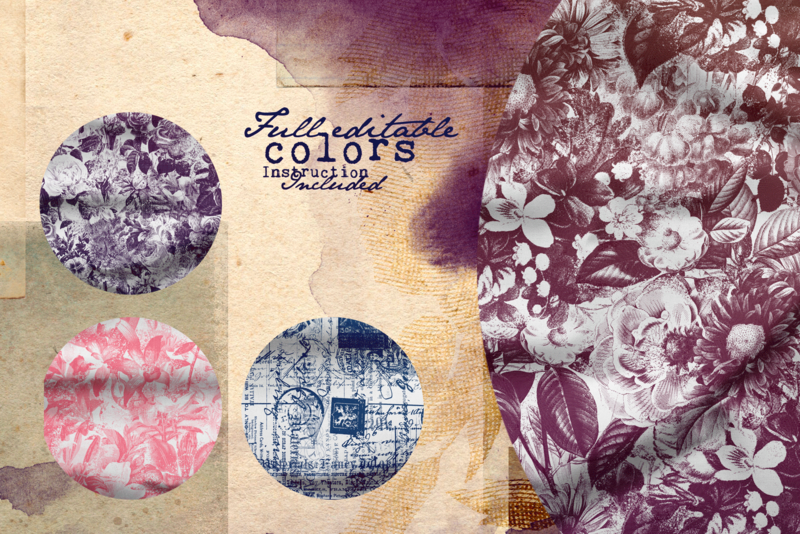 Excellent for digital scrapbooking, website/blog design, flat lay designs and more. 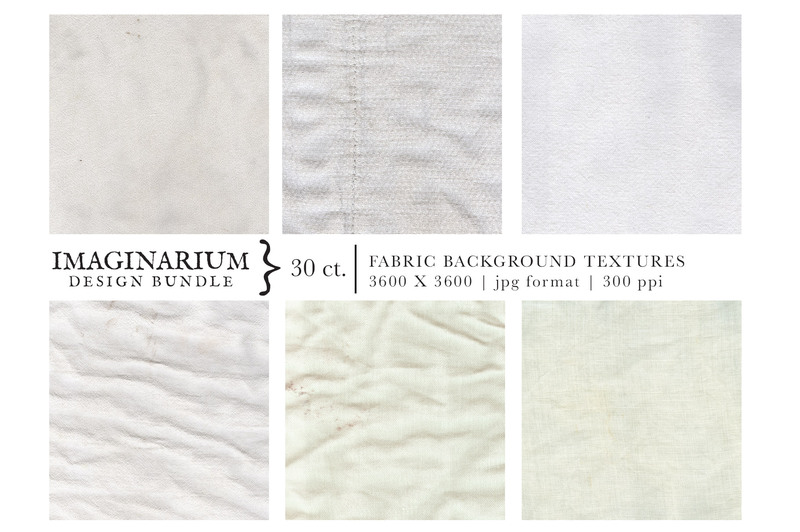 Can be used for your digital projects, or printed out if you would like. 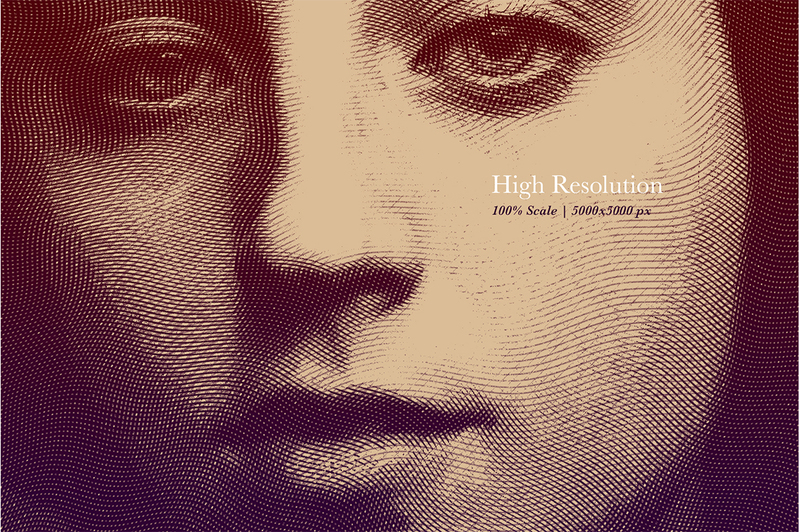 30 files that measure 3600 pixels across (height varies) at 300 ppi in .PNG format with a transparent background. 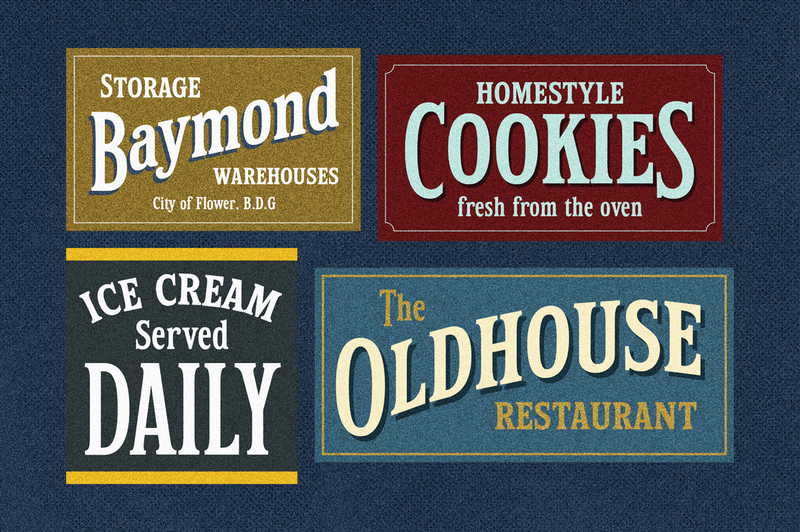 Hailgate font is inspired from antique trade signage, with alternate character of uppercase and small-caps features; there are many possibilities, combinations and options! 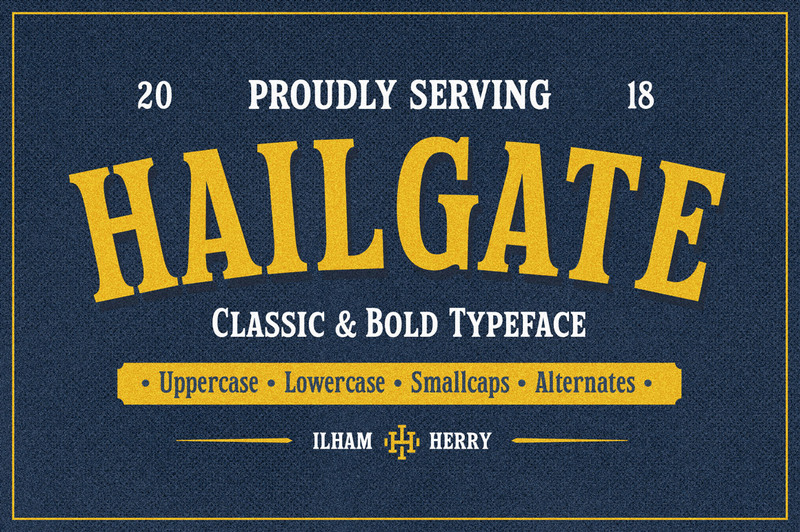 As a display typeface, Hailgate is suitable for headlines, logotypes, signs, posters, greeting card, letterhead, t-shirt, and many more. 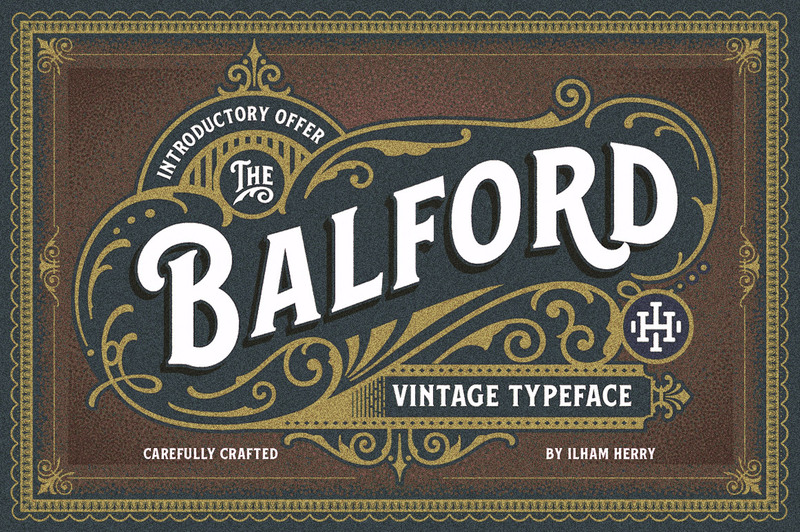 Introducing a new vintage font family & ornaments called: Balford. 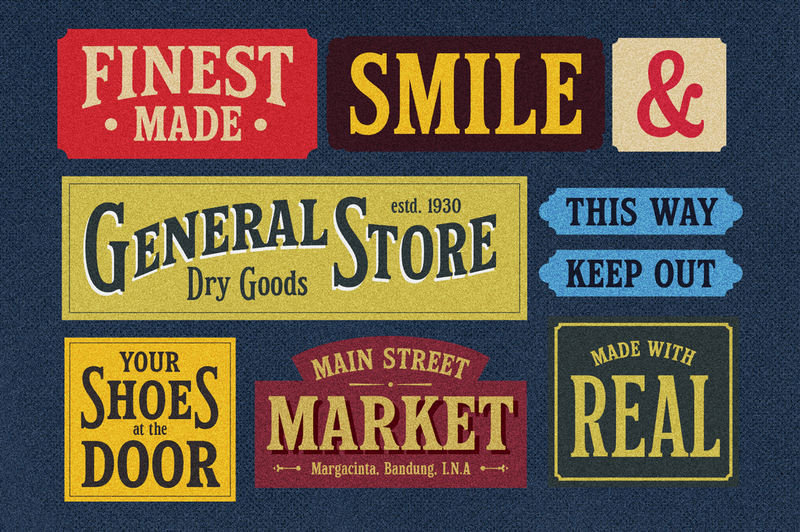 Inspired by vintage labels and packages, this collection of styles with shadow of typeface and vintage scrolls, panels, and ornaments makes it possible to combine and create many options. 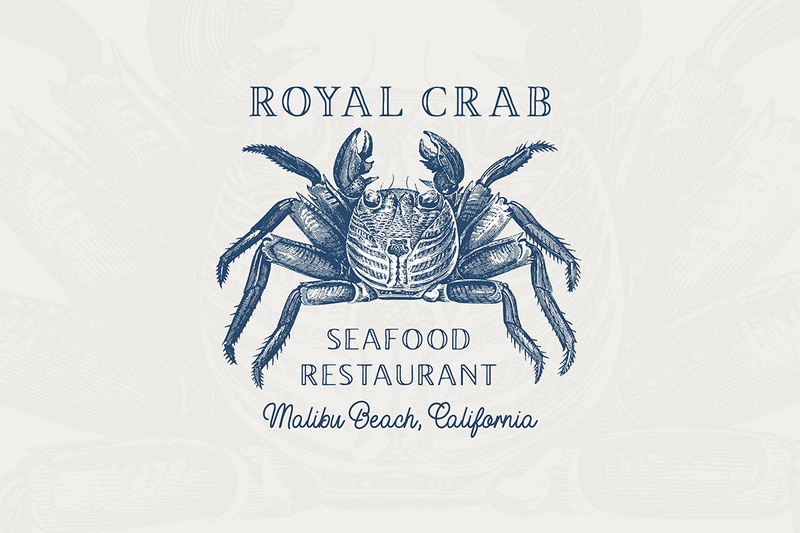 Create label designs, headlines, logotypes, signage, posters, greeting cards, letterheads, t-shirts and much more. 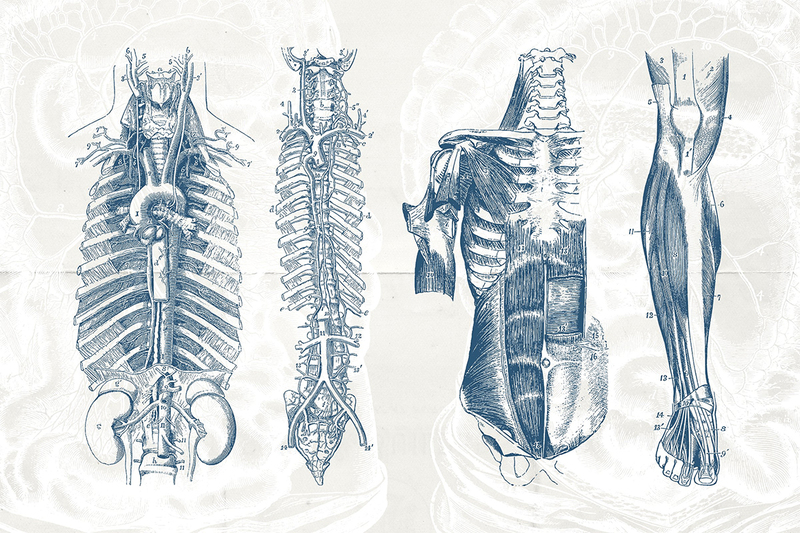 You’re looking at a High Quality Collection of Vintage Anatomy Illustrations sourced from our Private Library of Century-old Books and Ephemera. 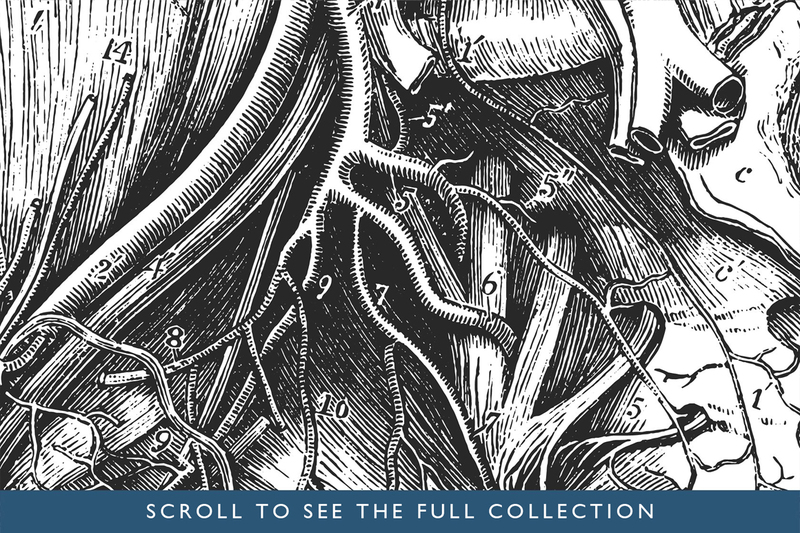 Within this extensive and versatile set of 76 hand engraved anatomical illustrations, you will find a full selection of images covering head to toe. 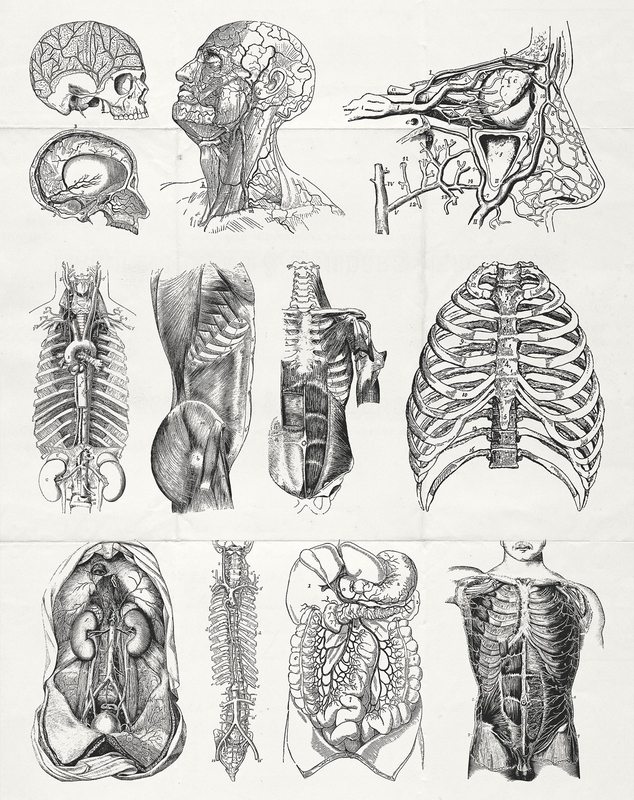 Subjects include; The brain, skull, organs, ribs, arms, hands, feet, legs, heart, ears, eyes, torso, various side profiles, pelvis, and more. 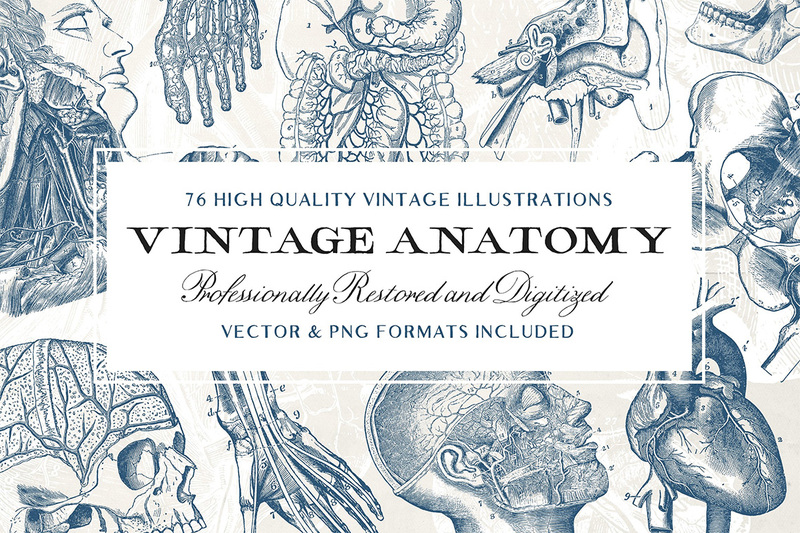 All of the artwork within this pack was sourced from a rare collection of Anatomy Study books that were first published in the early 1800’s and brought to you in three different digital formats for full flexibility! 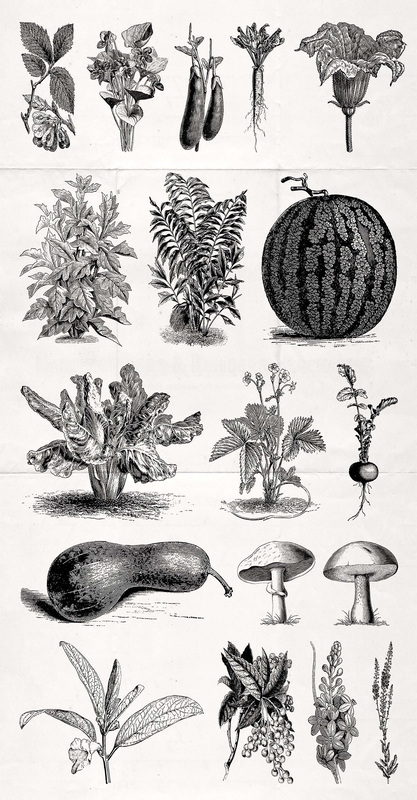 • 76 Transparent .PNG Images (300ppi and suitable for the vast majority of software). 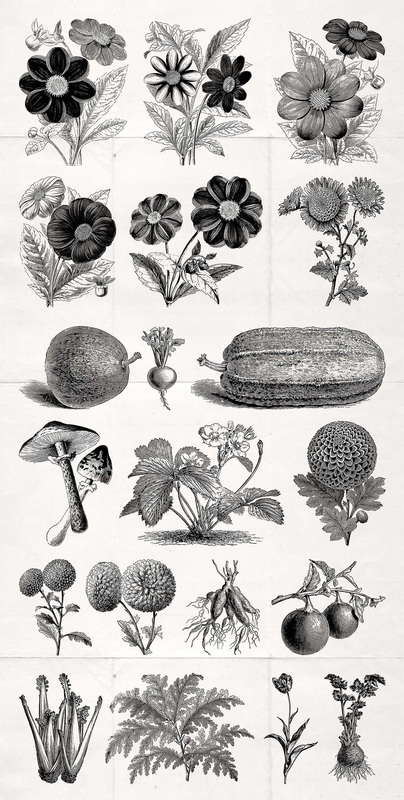 Introducing our Extensive Botanical Collection of 202 Flowers, Fruits, and More illustrations. 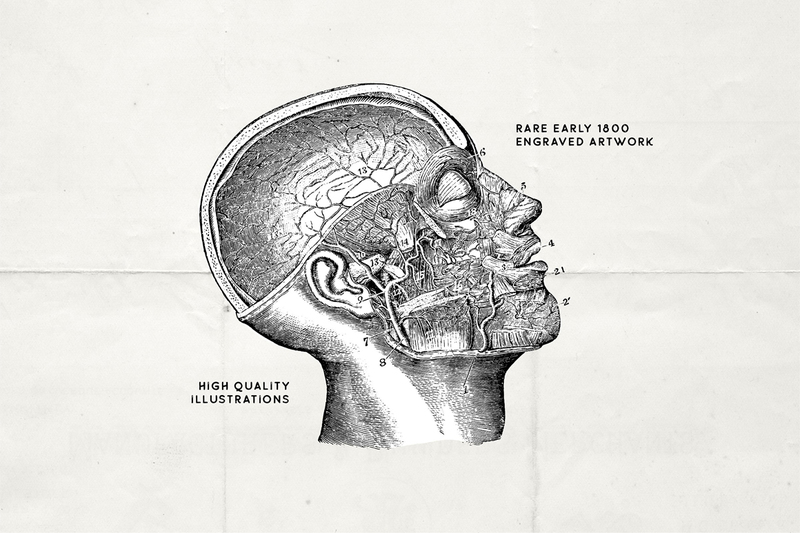 From day one we have been on a mission to collect, restore, and re-purpose lost and forgotten artwork for the modern creator with a huge emphasis on quality. 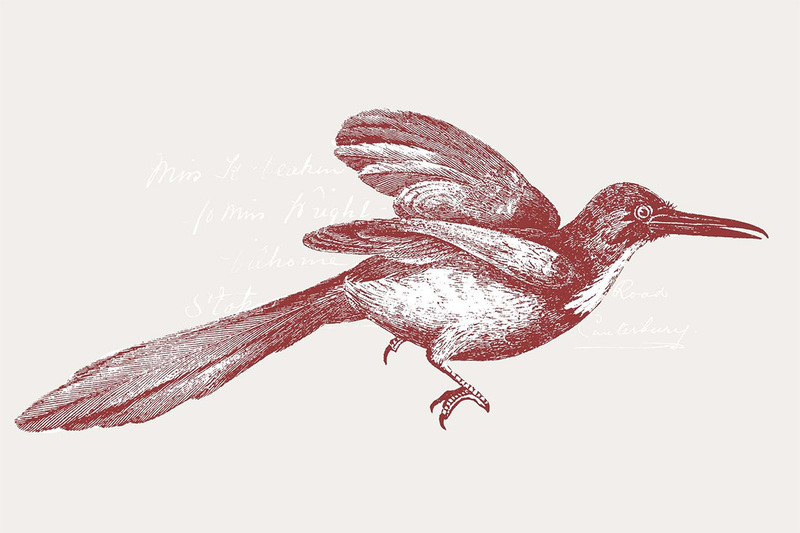 We source all of the artwork from our private collection of vintage books and ephemera and scan each illustration at a super high resolution with a professional photo scanner to ensure that every millimeter of detail is captured. 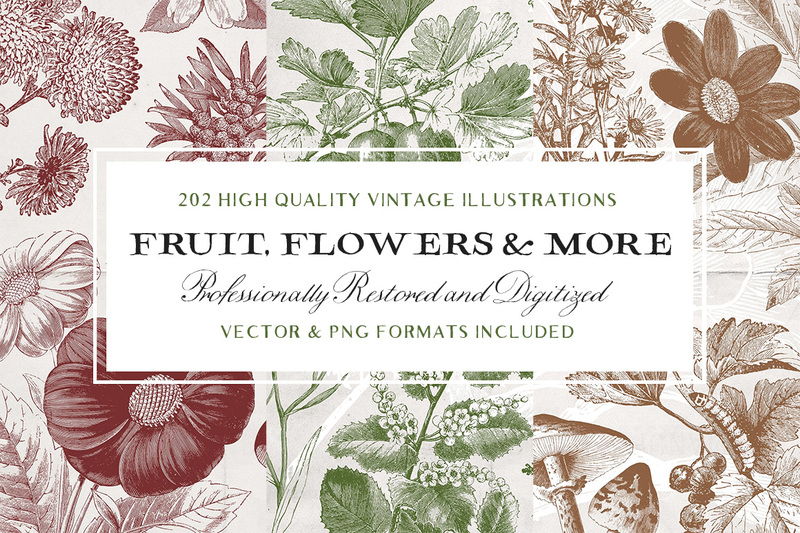 Within this product, you will find 3 volumes from our popular ‘Vintage Flowers, Fruits, and More’ illustration series. 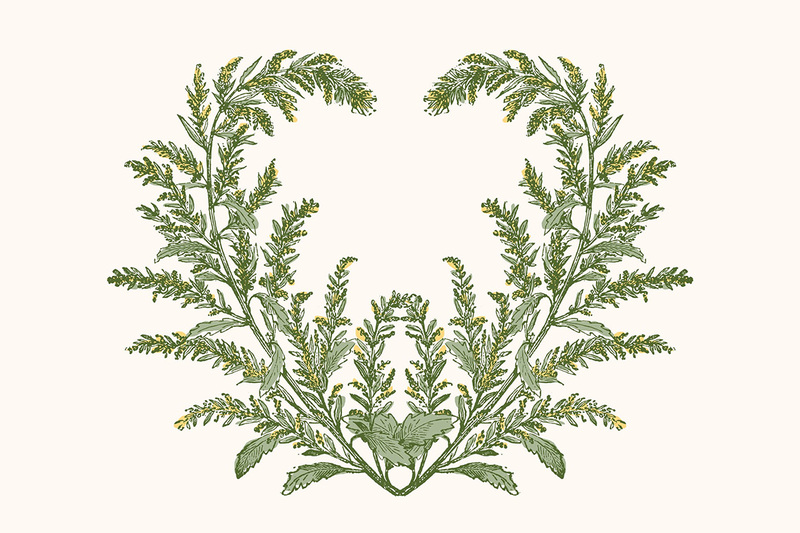 Each and every image is available in the .AI Vector format, .EPS Vector format, and as an Entirely Transparent .PNG image. 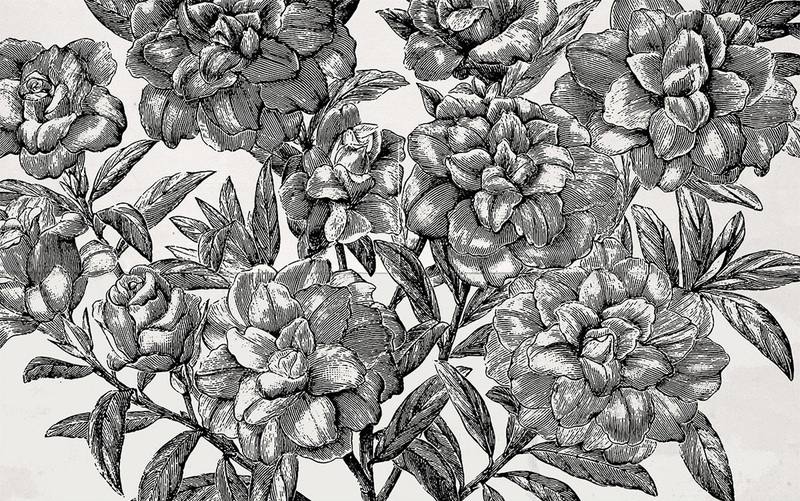 Floral illustrations are super versatile and can be used within such a wide variety of design applications; from logo to packaging design, from wedding invitations to branding, and everything in between. Software compatibility: Adobe Illustrator CS3 or newer. .EPS files will work with a variety of programs such as Adobe Photoshop or Illustrator, Sketch, InkScape, Affinity, Corel Draw, etc. .PNG files will work with most graphic software. 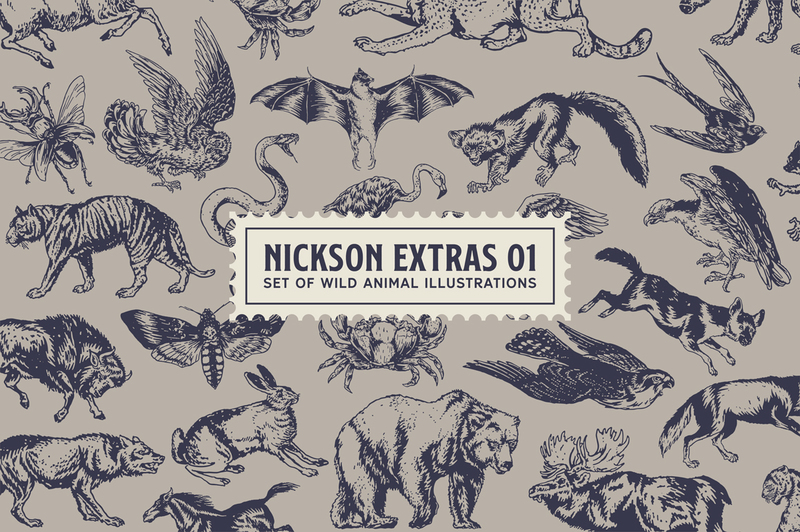 206 Illustrations of Birds, Mammals and More! 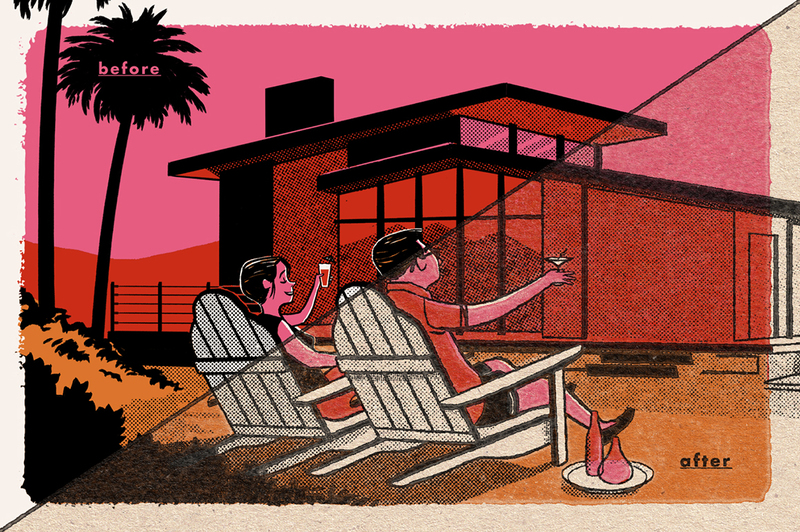 Our focus at Vector Hut is to collect, restore, and repurpose old and forgotten artwork for the modern creator. 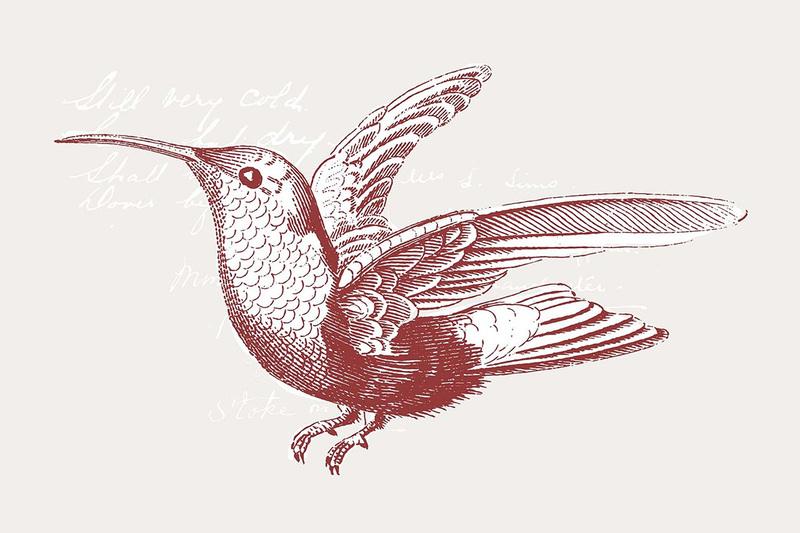 We source all materials from our very own collection of century-old books and ephemera, scan each and every illustration using a high-quality photo scanner, and meticulously edit and convert to vector and transparent png formats. 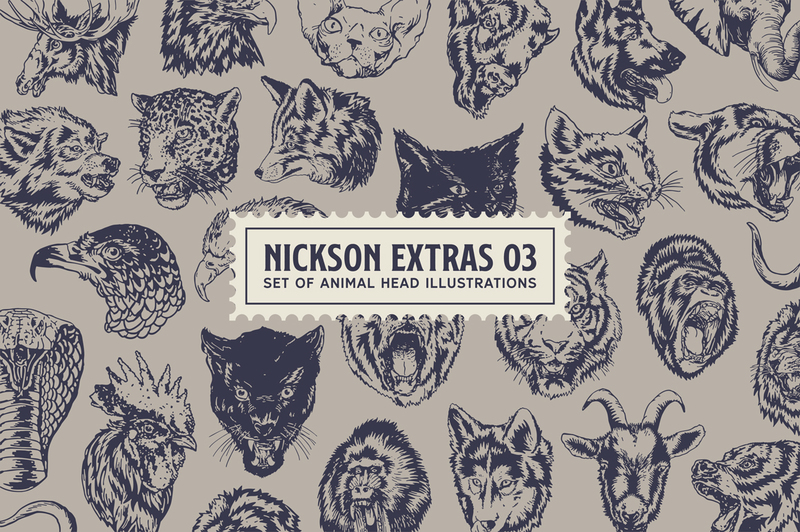 Within this collection, you will find a vast array of illustrations covering all corners of the Animal kingdom that are perfect for a whole variety of design projects; from logo design to apparel, from posters to scrapbooking and so much more. 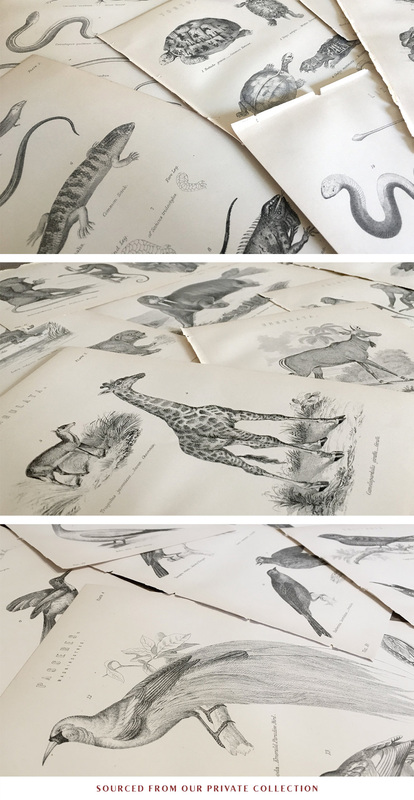 Sourced from a selection of mid-1800’s encyclopedias, study books, and ephemera that set us back over $350! 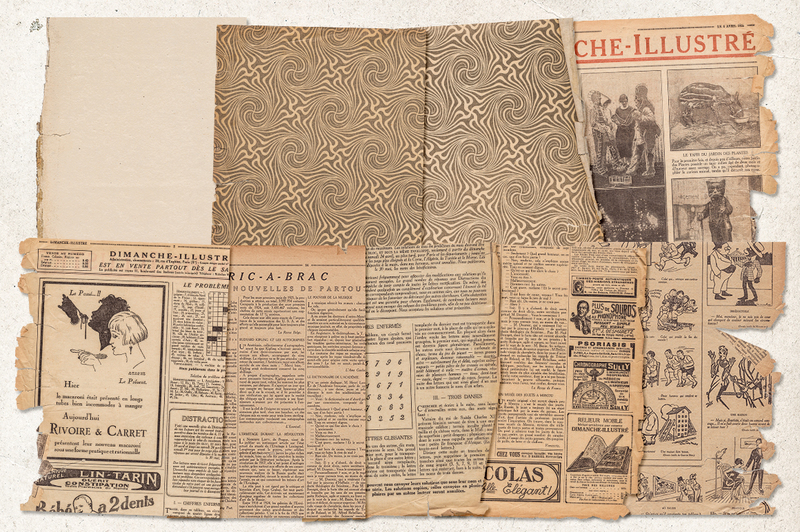 Here’s an awesome pack of vintage newspaper textures, with worn and tattered edges. 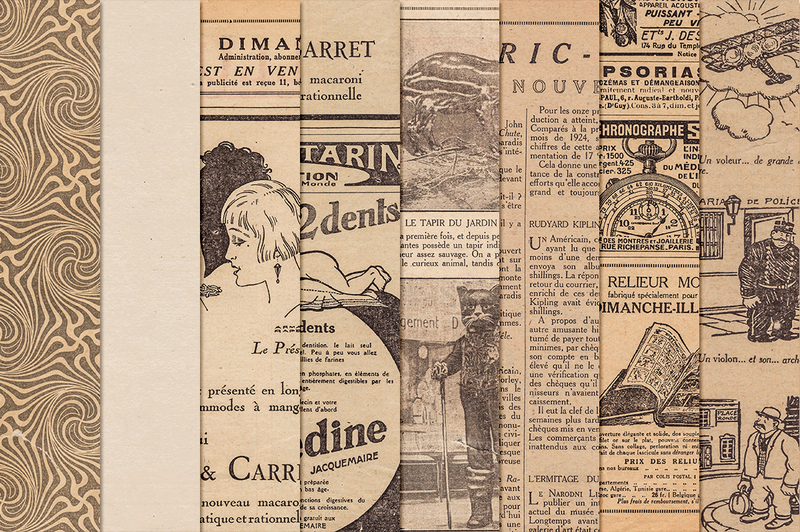 I scanned these wonderful textures from an old French newspaper book from 1926, edited them for maximum quality and carefully extracted the tattered edges. I have included 8 ‘clean’ .JPG versions as well. 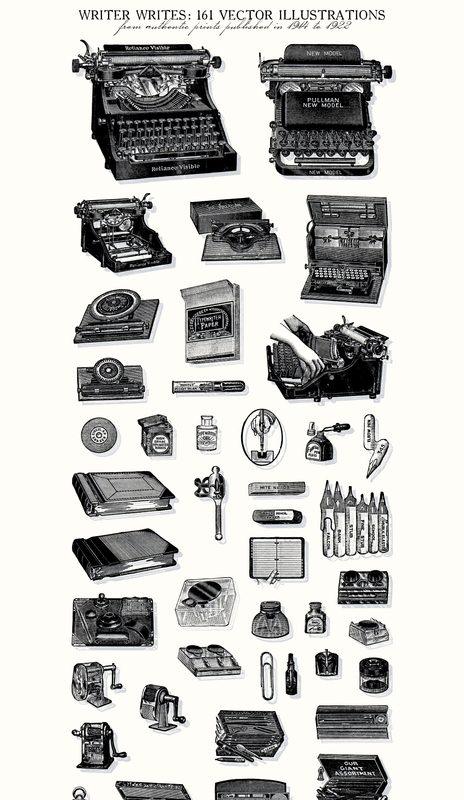 This is an extensive set of 161 writing related vector illustrations, sourced from authentic prints published in 1914-1922, in the United States. 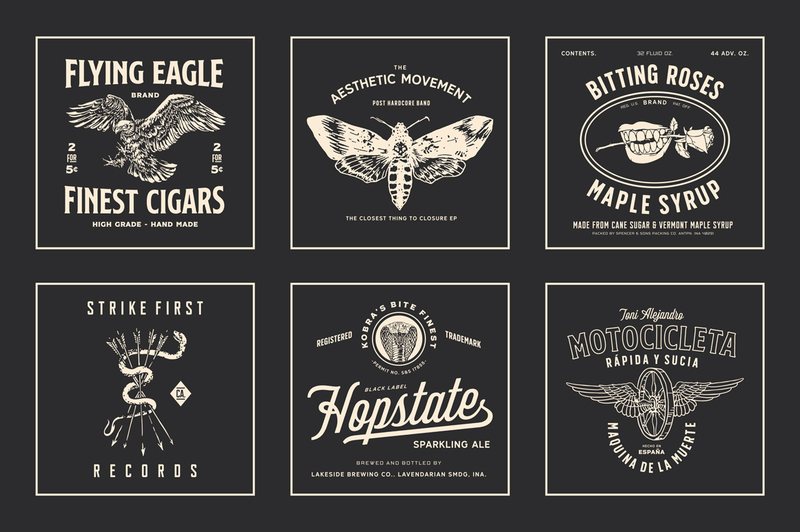 These graphics were sourced first-hand from genuine prints published in United States. 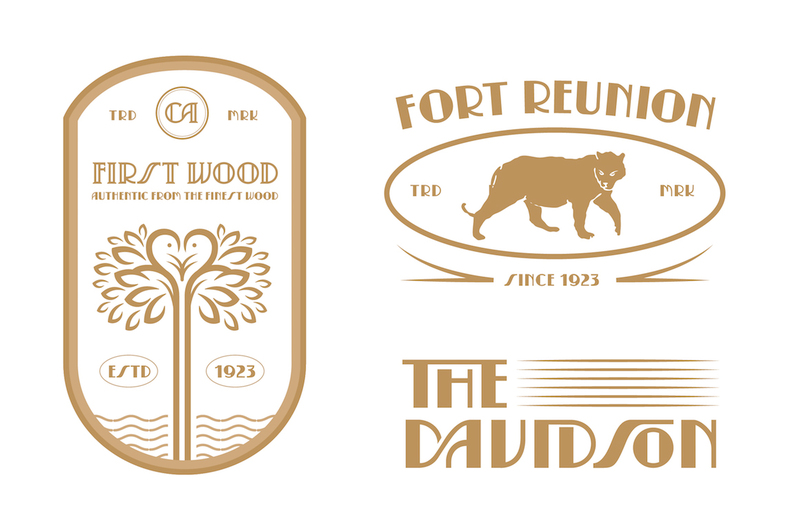 As always, my vintage graphics goods were all personally collected, owned and processed by me. 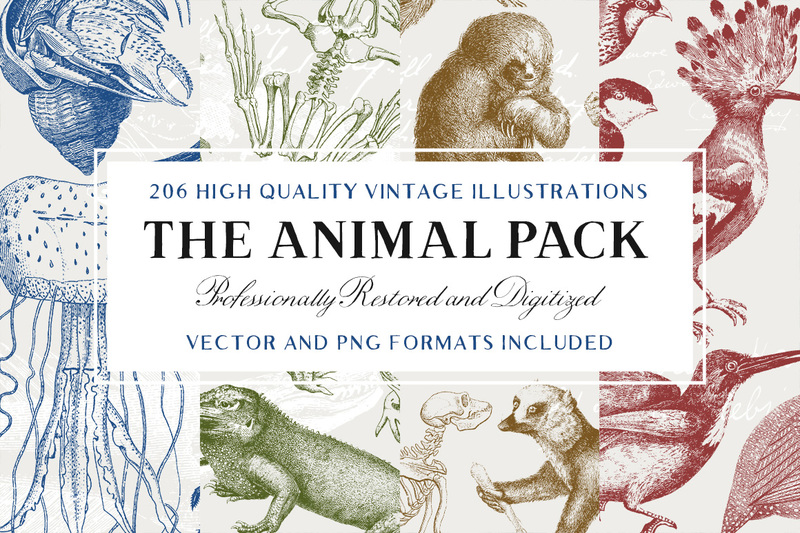 • 161 illustrations in .AI, .EPS and high resolution .PNG (with transparent background). 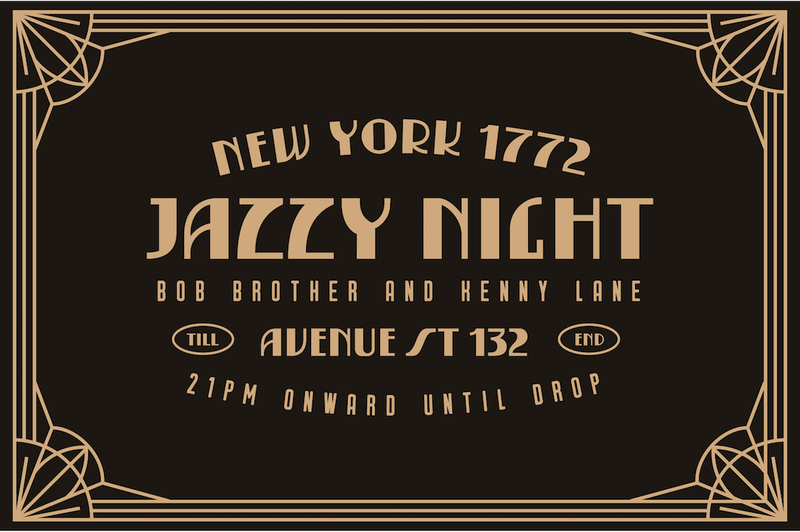 • Sourced first-hand from authentic hard copies of various vintage catalogues published in 1914-1922. You simply can’t find these beauties at one sitting in the market. 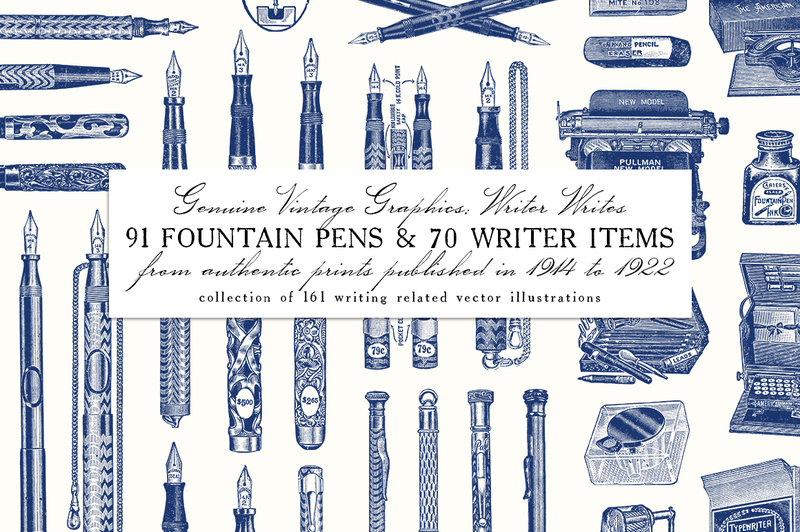 • 161 illustrations include 91 fountain pens and 70 writer items including few typewriters, pencil, nibs, etc. 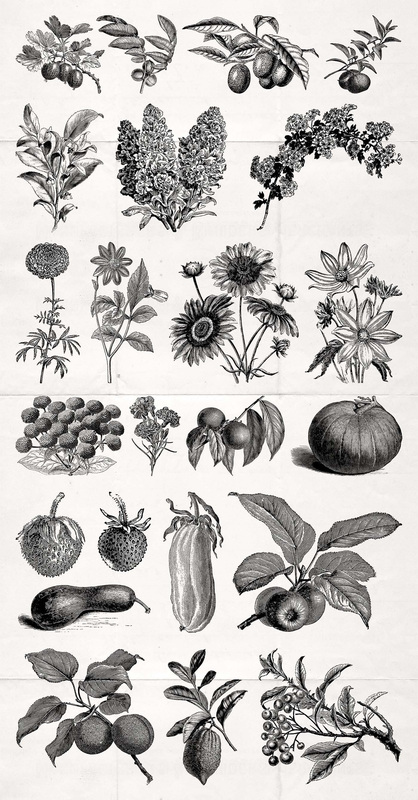 • Format includes .AI, .EPS and .PNG with transparent background. 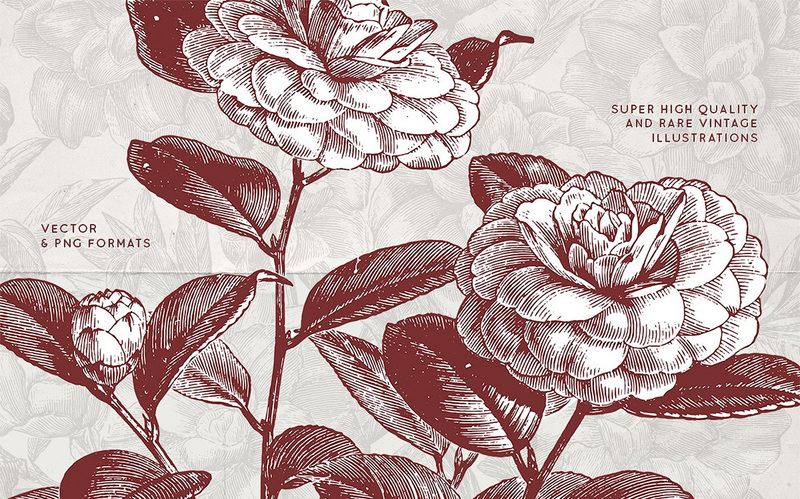 .AI and .EPS vector are compatible with Adobe Illustrator CS4 and above. 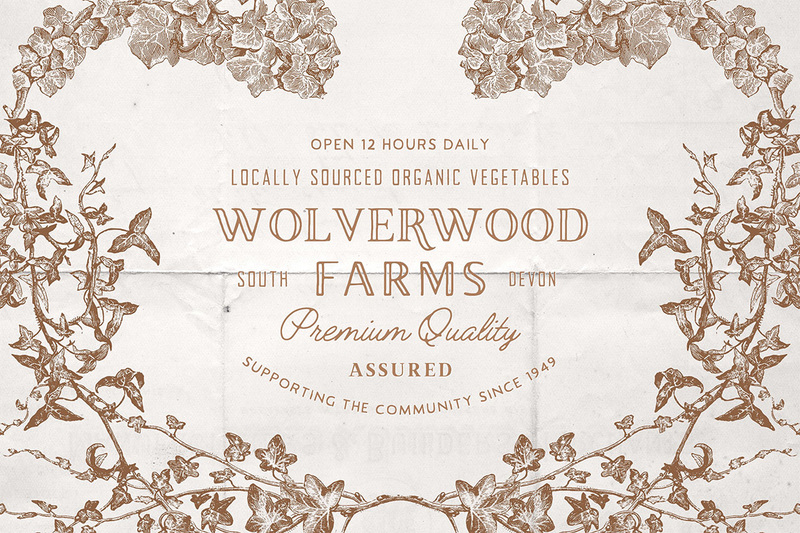 • All graphics made are verified to be out of former copyright, in-house personally collected and owned, handpicked and reviewed in detail to make sure they are in best shapes for a contemporary project. Software compatibility: Adobe Illustrator CS4 or newer. .EPS files will work with a variety of programs such as Adobe Photoshop or Illustrator, Sketch, InkScape, Affinity, Corel Draw, etc. 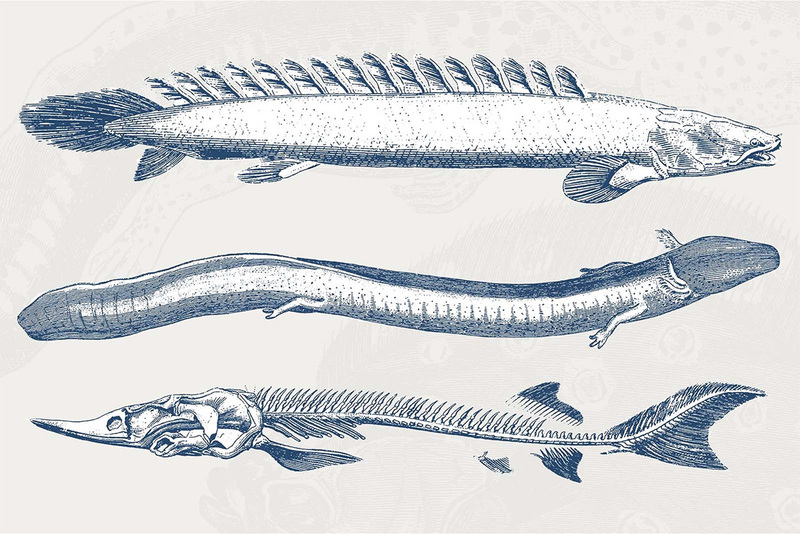 .PNG files will work with most graphic software. 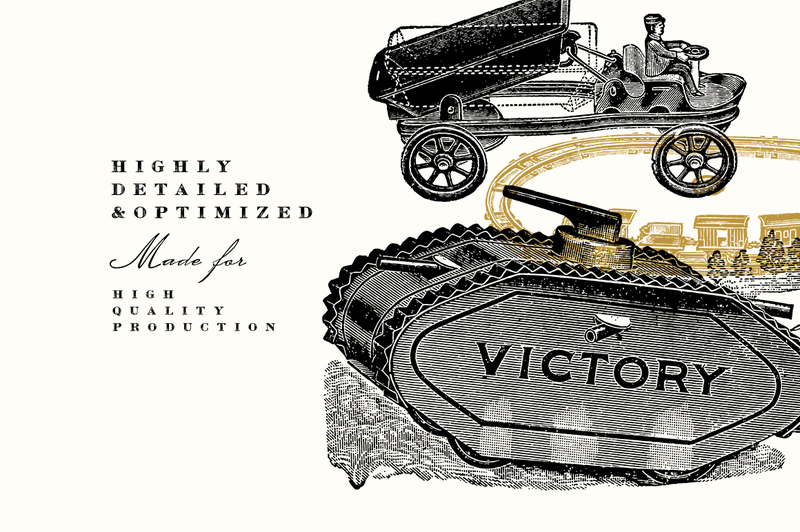 This is a beautiful set of 31 toy steam engines, 29 railway toys and 120 other vintage toys vector illustrations, sourced from authentic prints published in 1905-1922, in The United States. 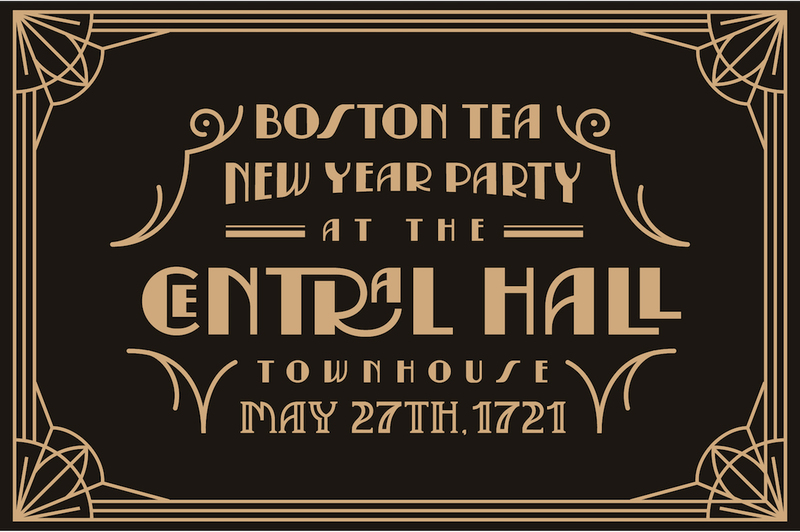 These graphics were sourced first-hand from genuine prints published in The United States. 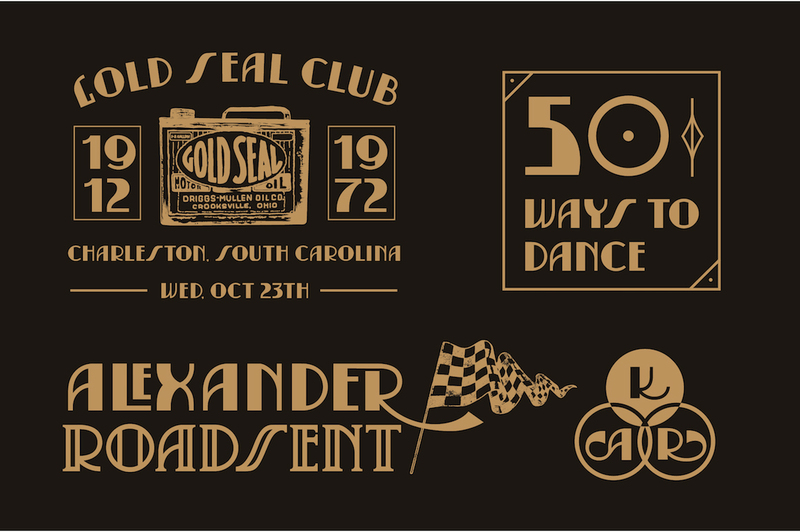 As always, my vintage graphics goods were all personally collected, owned and processed by me. • 180 vintage toys illustrations in .AI, .EPS and high resolution .PNG (with transparent background). 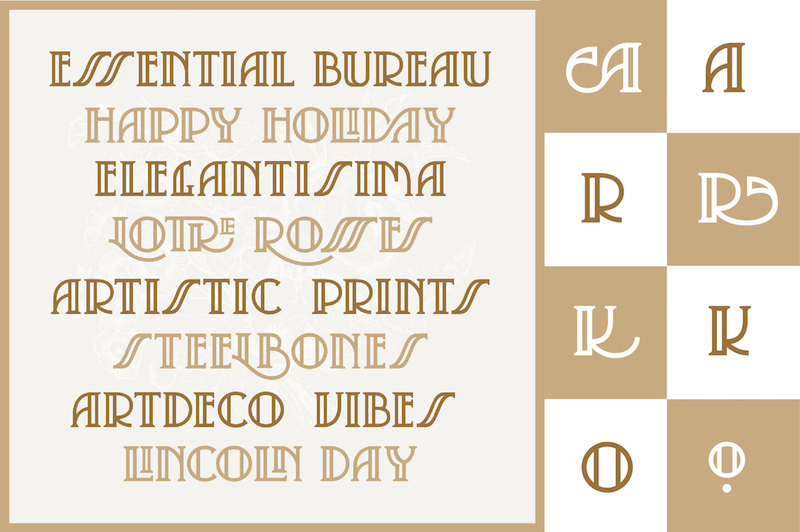 • Sourced first-hand from authentic hard copies of various vintage catalogs published in 1905-1922. You simply can’t find these beauties at one sitting in the market. 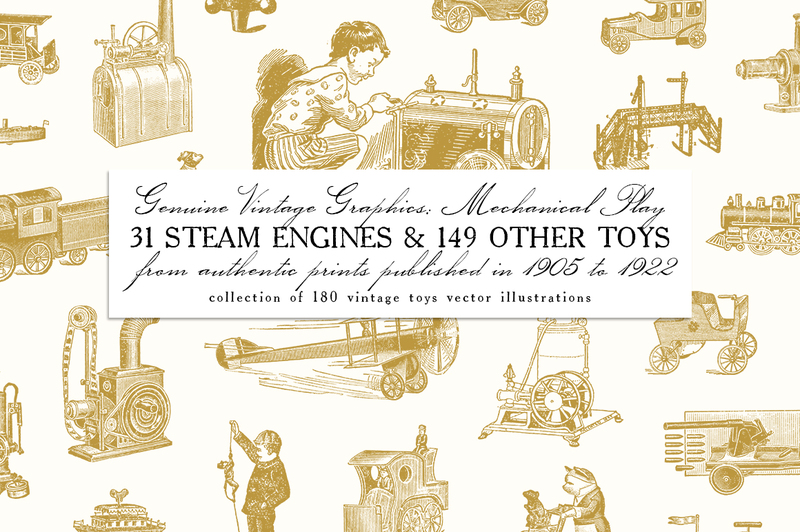 • 180 illustrations include: 29 steam toys, 31 railway toys and 120 other vintage toys including friction toys, trucks, mechanical toys, magic lanterns, etc. 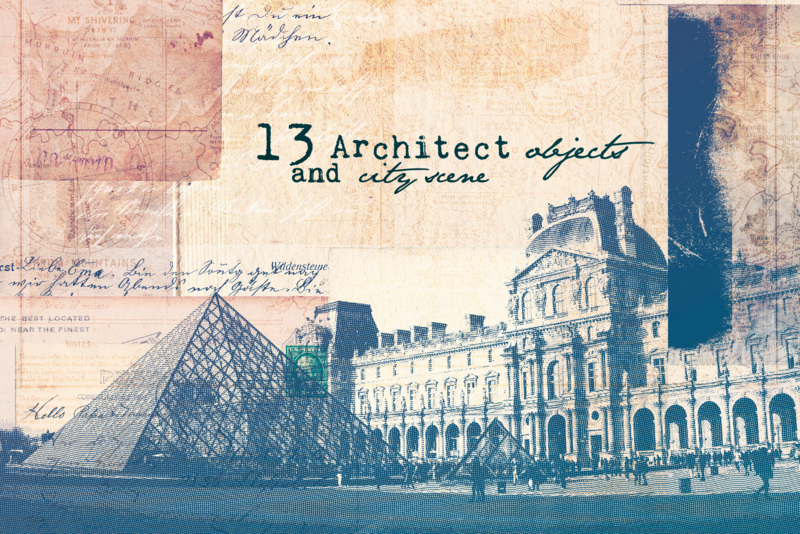 • Format includes .AI, .EPS and .PNG with transparent background. 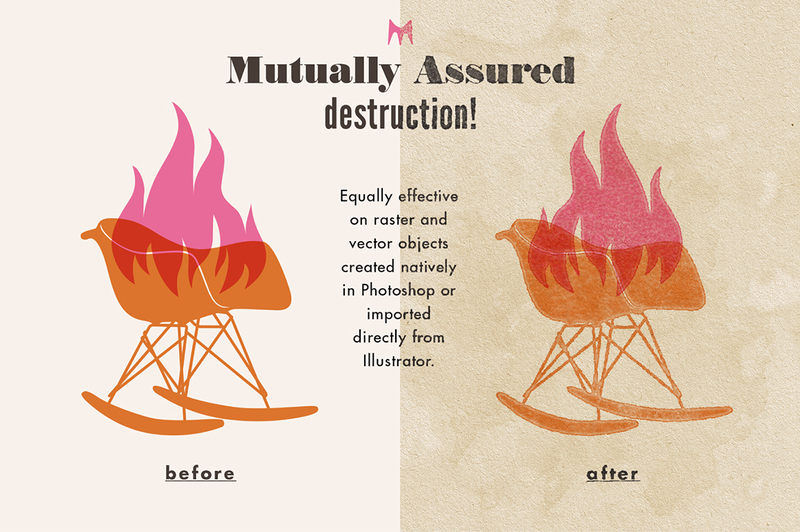 AI and EPS vector are compatible with Adobe Illustrator CS4 and above. 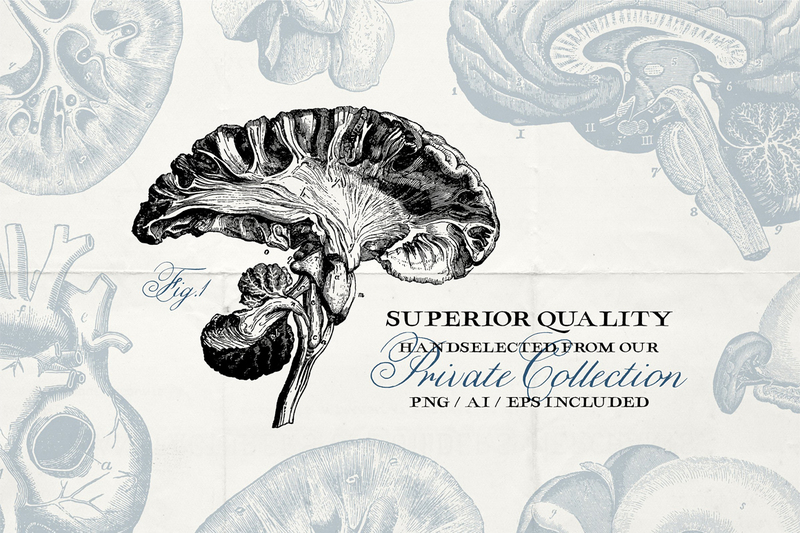 • All graphics made are verified to be out of former copyright, in-house personally collected and owned, handpicked and reviewed in detail to make sure they are in best shapes for contemporary project. 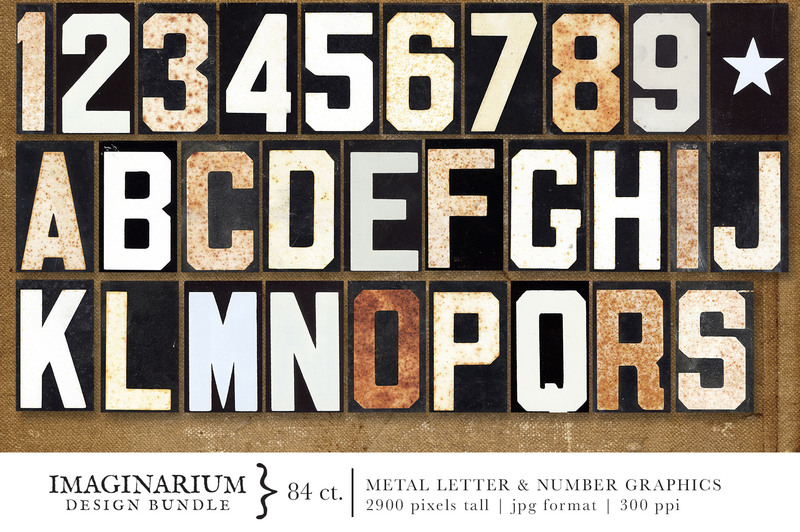 These fonts have slowly vanished into garages, attics, warehouses, dumpsters, and even been used as firewood! 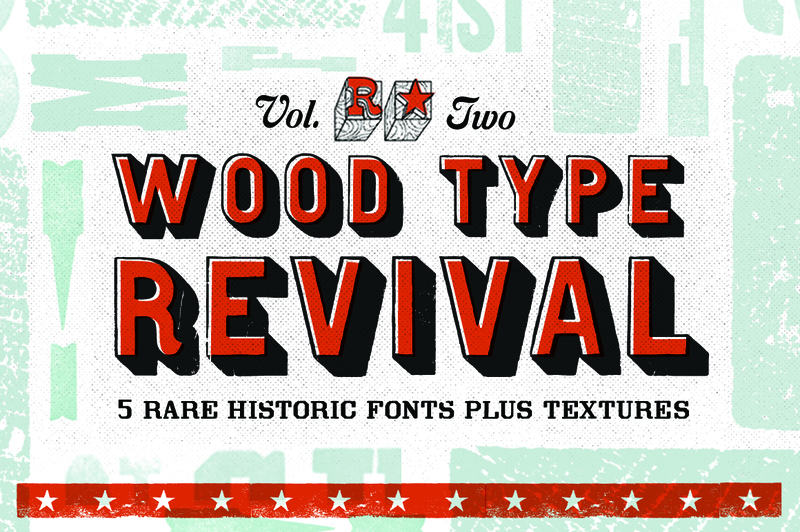 Own a collection of rare historical wood type fonts salvaged from the past with The Wood Type Revival Bundle. 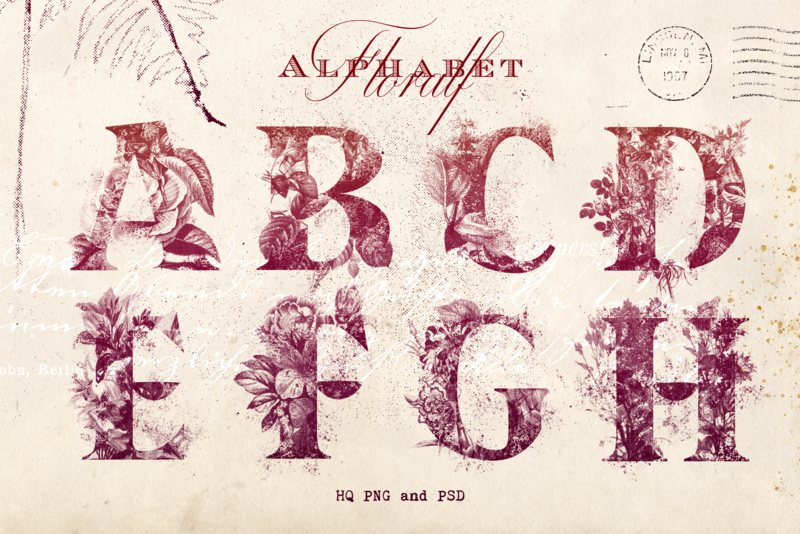 A lot of fonts out there aren’t really authentic wood type. 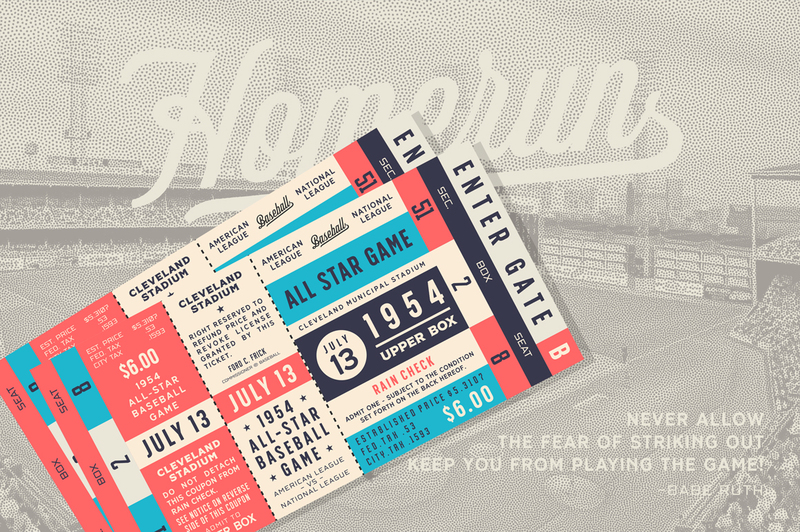 They’re inspired by wood type and then textured. 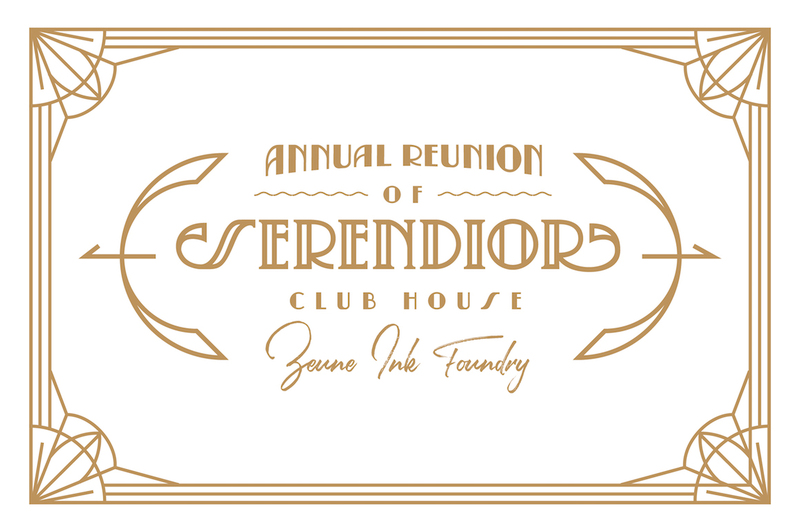 That’s great but there’s something special about getting a collection of fonts that are one degree away from the original ink pressed on paper. 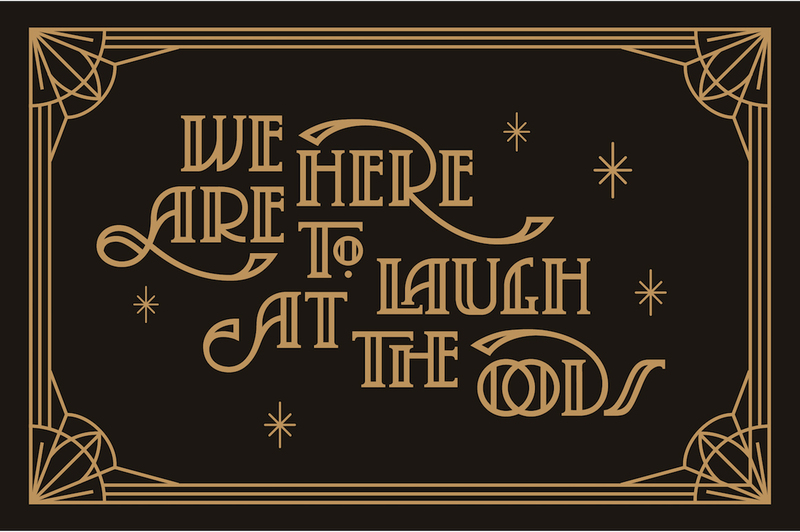 Each font in the pack comes with its own story. 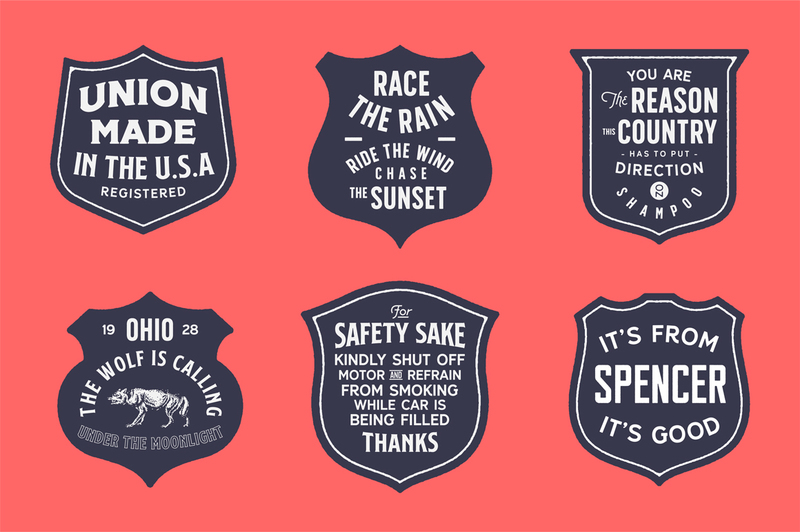 These pieces were found in garages, attics, warehouses, eBay auctions, and donated by collectors who didn’t want to see these historical fonts disappear. 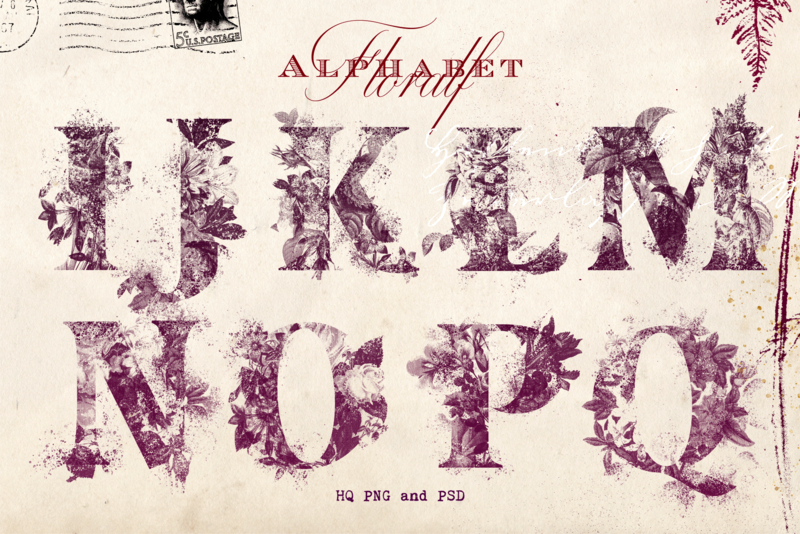 • One pack of woodblock textures (.TIFF). 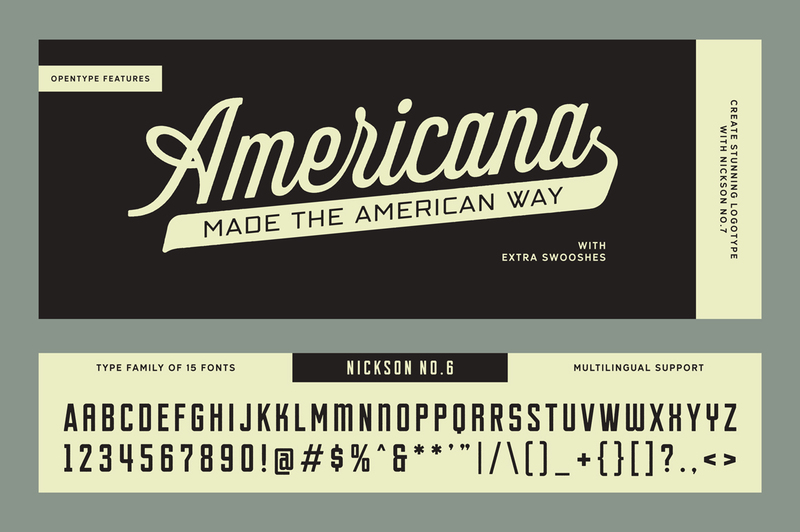 • Includes regular and damaged versions of fonts (natural nicks, scratches, and dings). 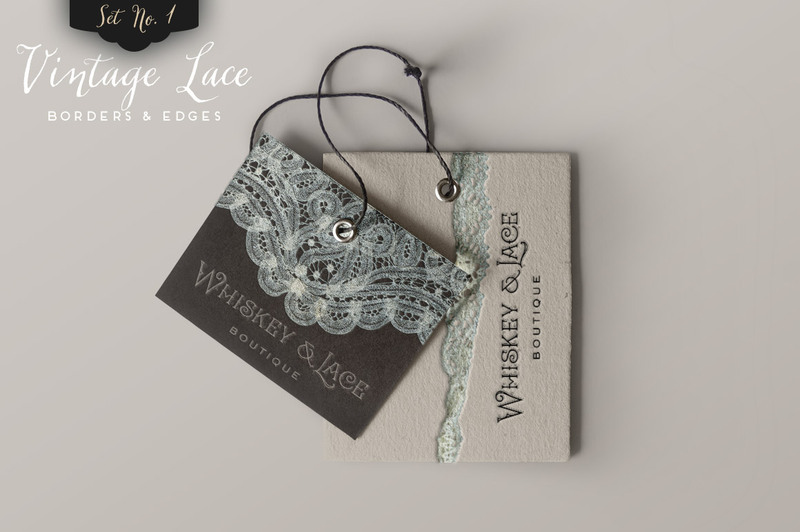 • Bold and fanciful designs created to stand out to your audience. Software compatibility: Adobe Photoshop CC 2018 and Illustrator CC 2018 or newer. .EPS files will work with a variety of programs such as Adobe Photoshop or Illustrator, Sketch, InkScape, Affinity, Corel Draw, etc. 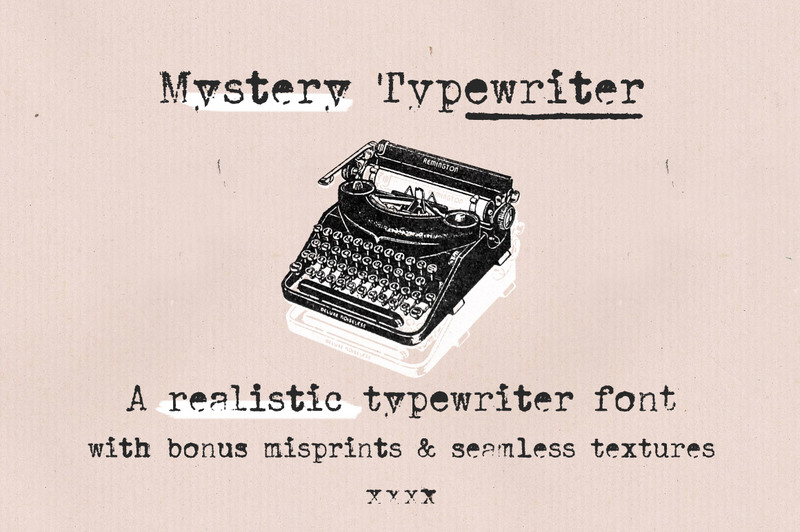 Mystery typewriter is a realistic typewriter font with bonus misprints and seamless textures. 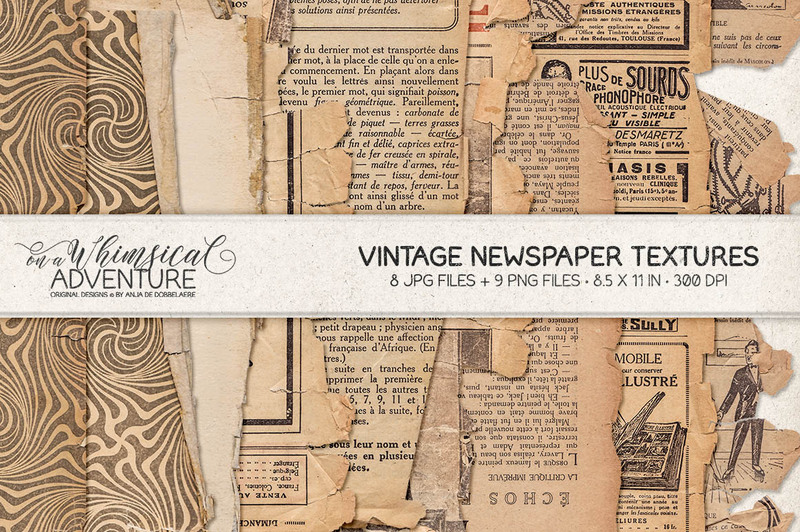 • Adding an authentic feel to your retro and vintage designs. 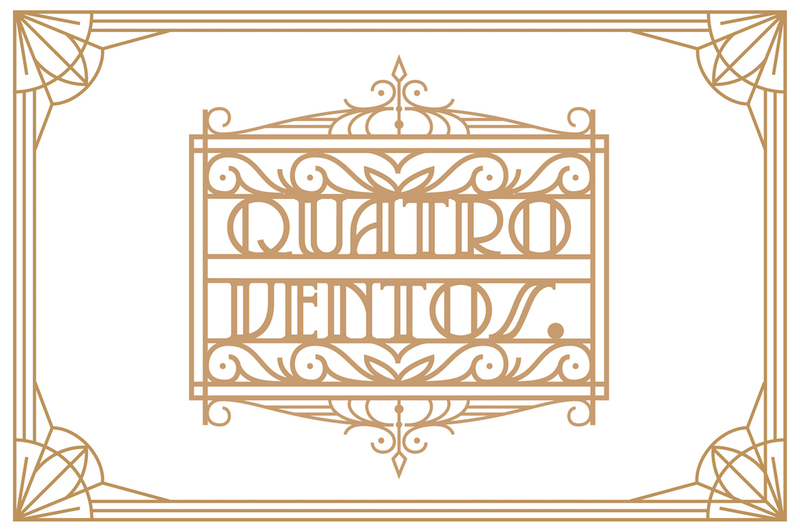 It will look great in logotypes and branding, packaging, editorial and website design in both titles and text, social media posts, posters and billboards, handmade postcards and tags. Software compatibility: Adobe Photoshop CS3 and Illustrator CS3 or newer. 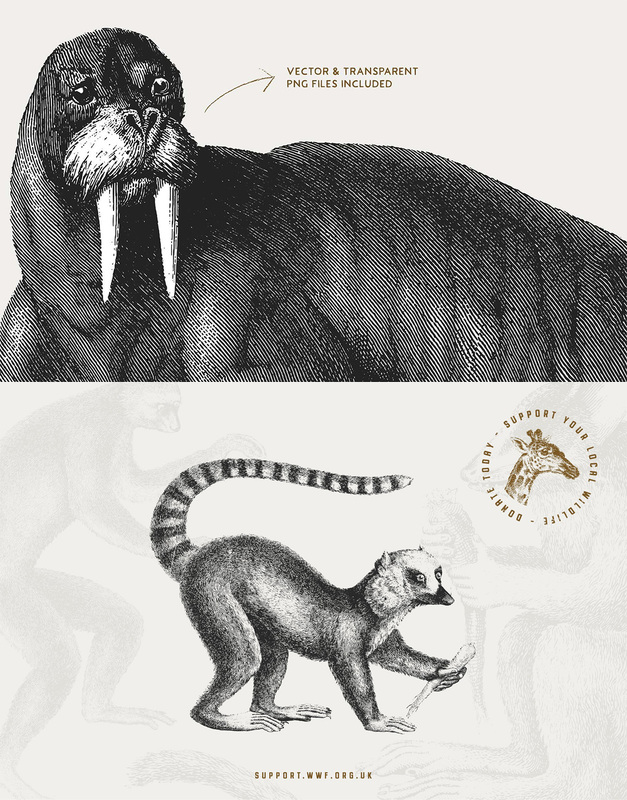 .PNG files will work with most graphic software. 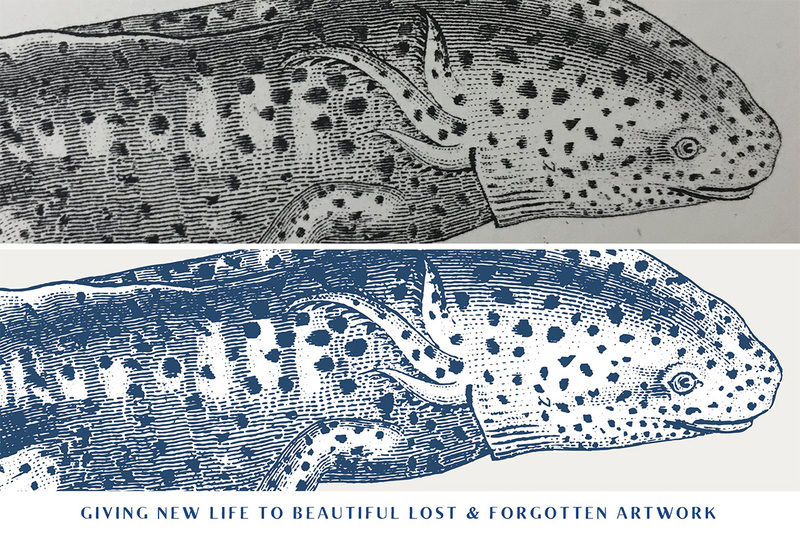 This creator will take your artwork and convert it into an engraved image! 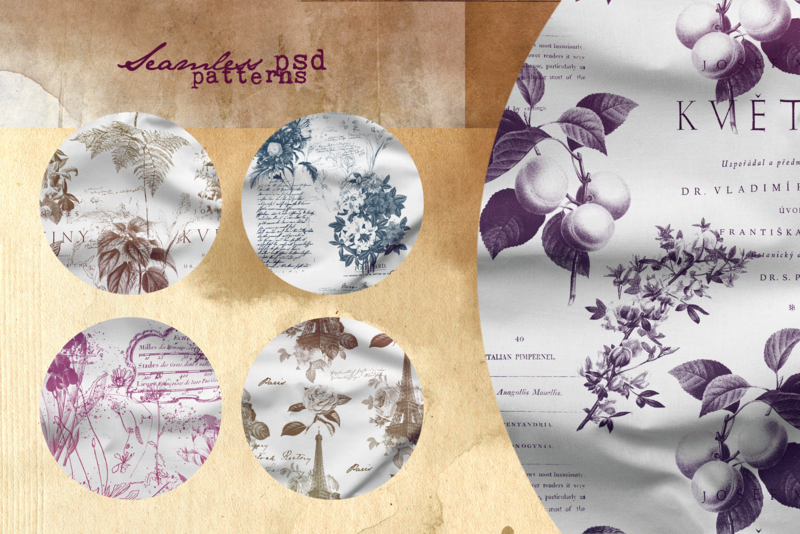 Open the file in Photoshop, load the patterns and actions, choose what effect you need and hit play! 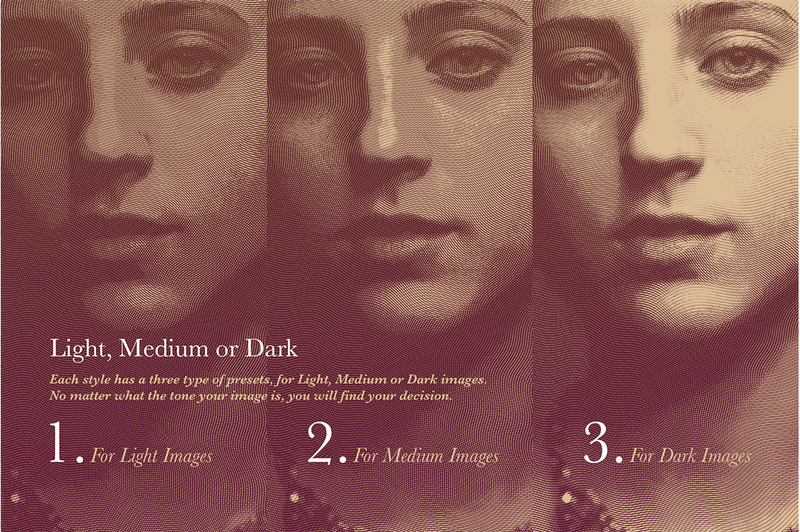 Three preset settings for each style – for light, medium or dark images. 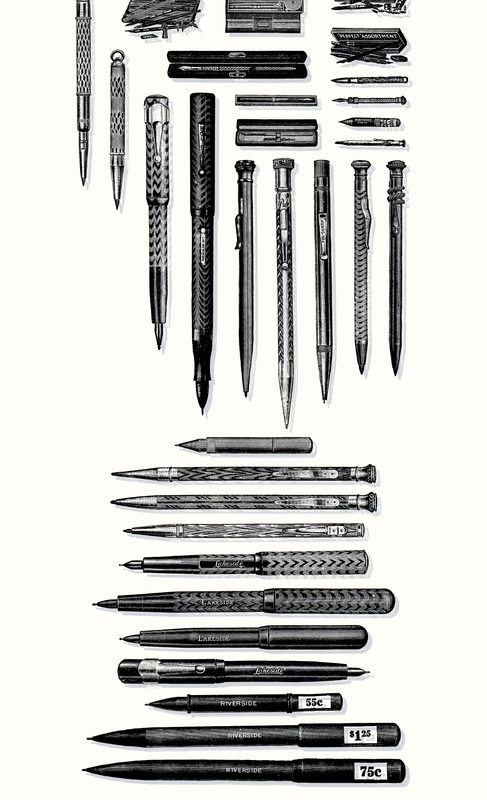 4 types of engraving – vertical, horizontal, angled and engraved wavy lines – as in currency bills. 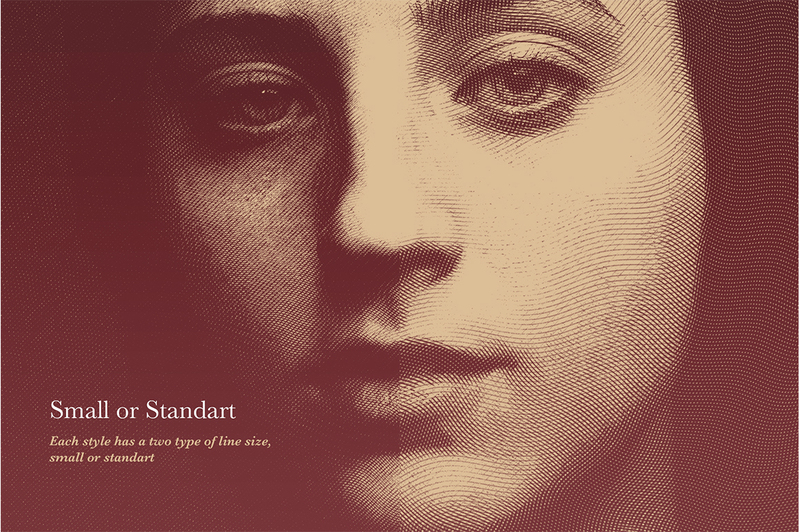 Also, a stunning semitone for a realistic “newspaper print” effect. 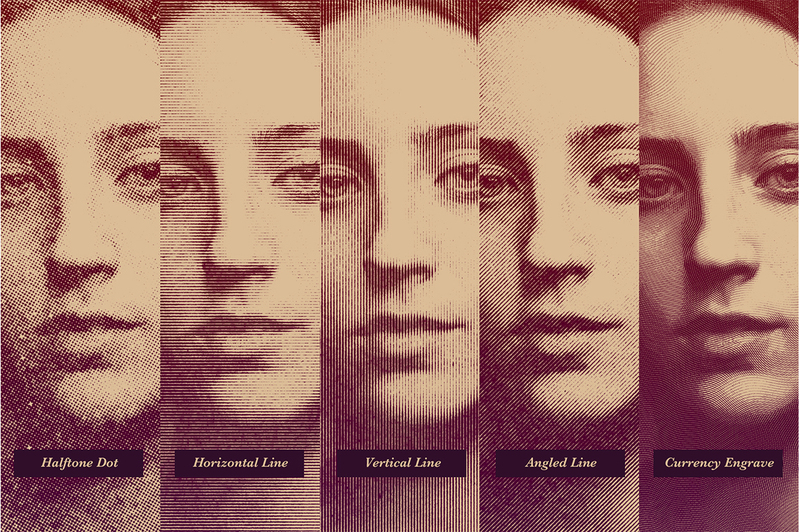 Each effect also has two line sizes – small and standard. 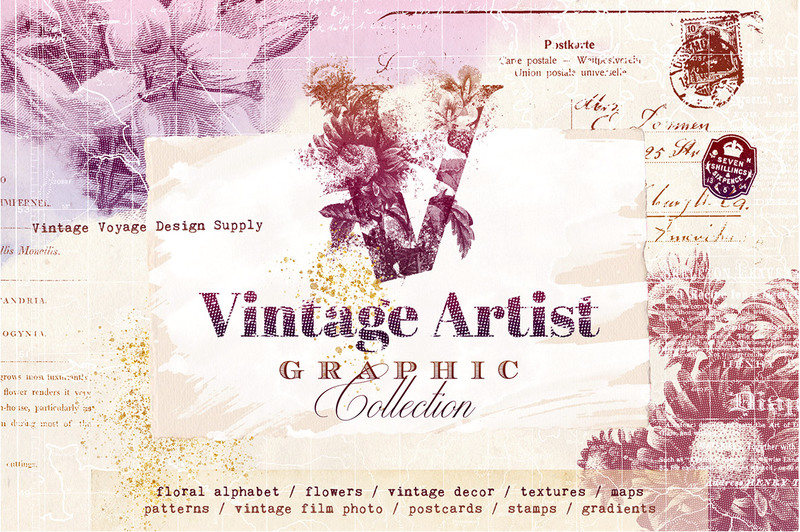 Vintage Artist Graphic Collection it’s a unique collection a lot of graphic stuff to give your amazing retro spirit. 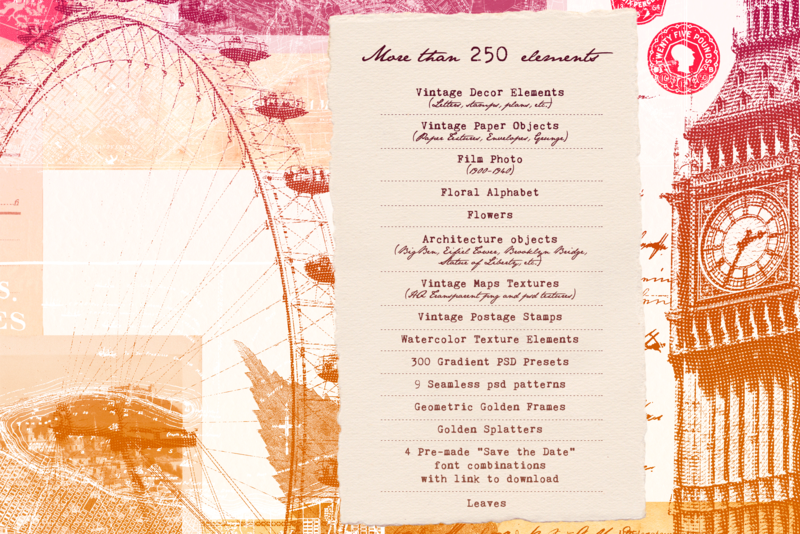 More than 250 elements total. 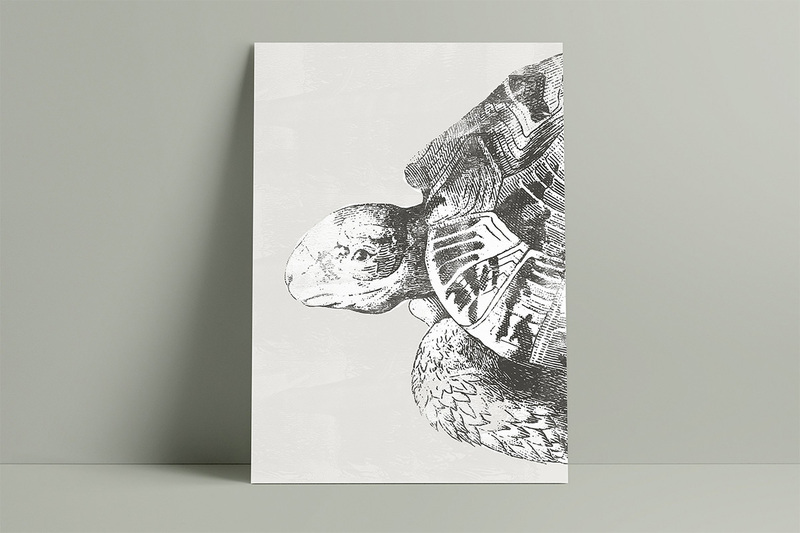 No matter what your project is – weddings, birthdays, or you just wanna create and sell cool stuff like Postcards, T-shirts, Posters or anything else – This Collection is for You! 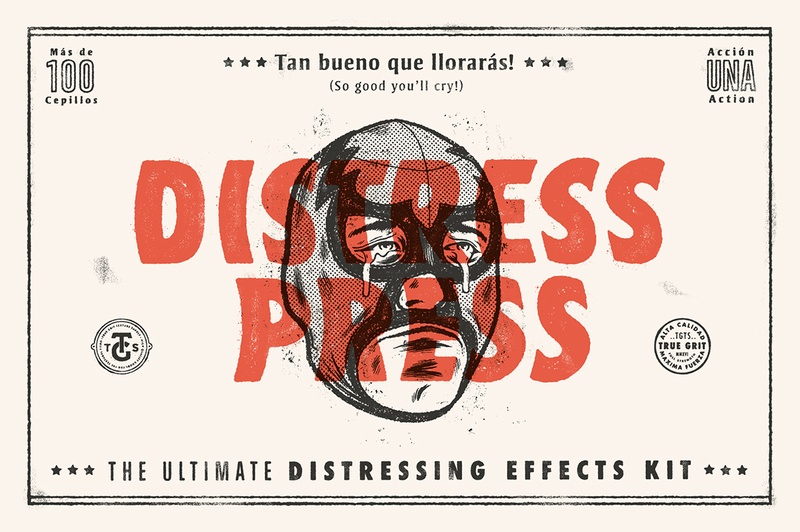 Whether you’re beating your subject into submission or carefully teasing-out a triumphant result, our distress press distressing effects kit is so effective you’ll probably cry. Distress press’s savagely powerful roughening action and precisely focussed texture brushes allow you to quickly and easily create bespoke distressing and texture treatments for your artwork whilst taking complete control of the entire process. 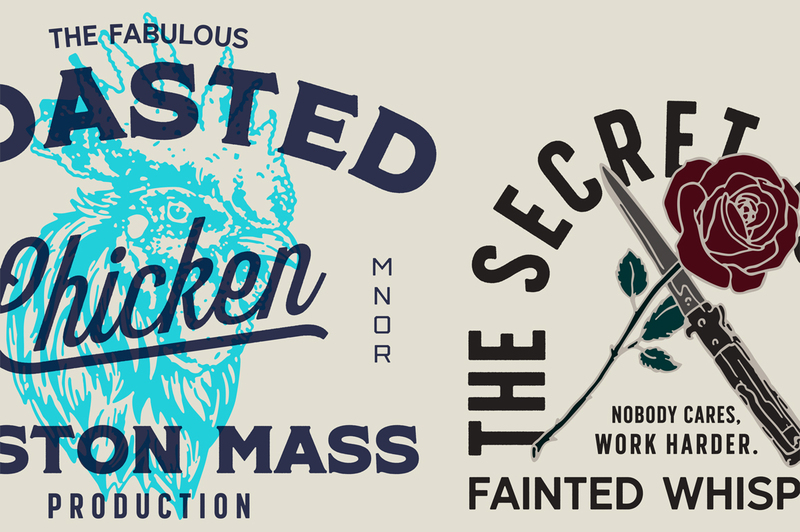 Most other distressing and letterpress kits work by combining just one repetitive filter action with blanket texture overlays that lack nuance and flexibility. 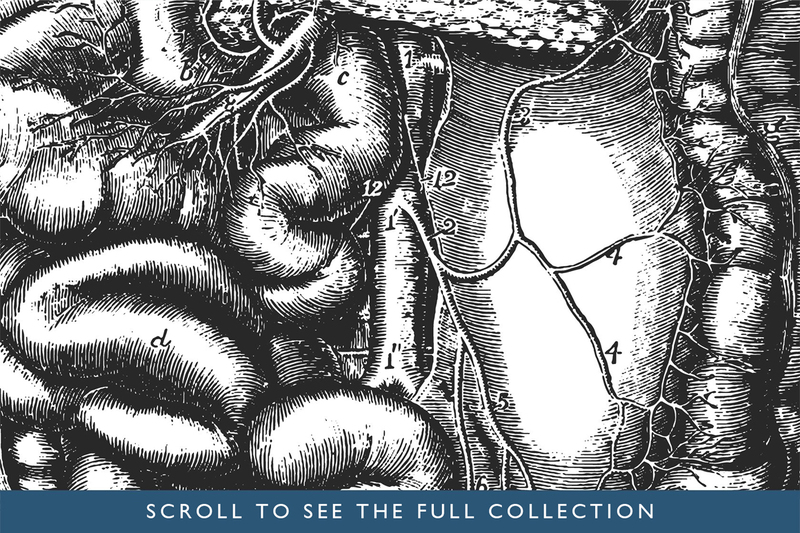 The results often feel generic, robotic and stiff. 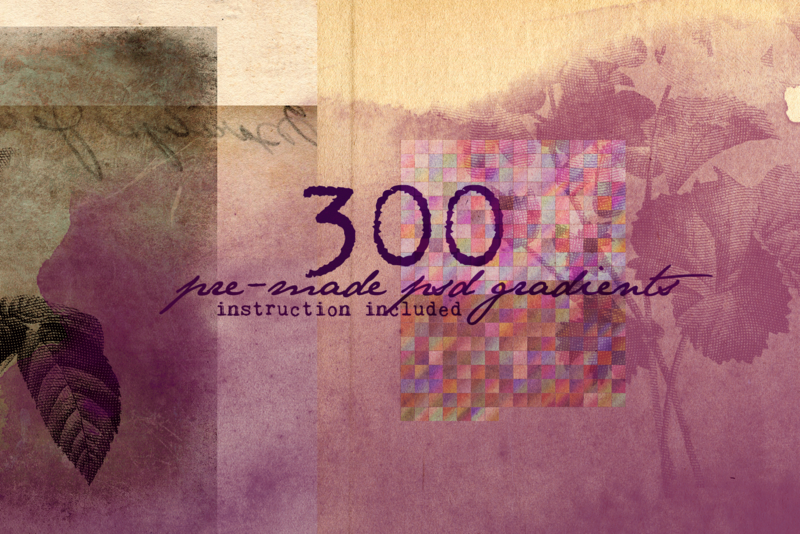 Distress Press puts the care and craft back into distressing by combining multiple distressing effects and advanced masking techniques with pro-quality precision texture brushes to create authentic results that save you time, strain and pain. 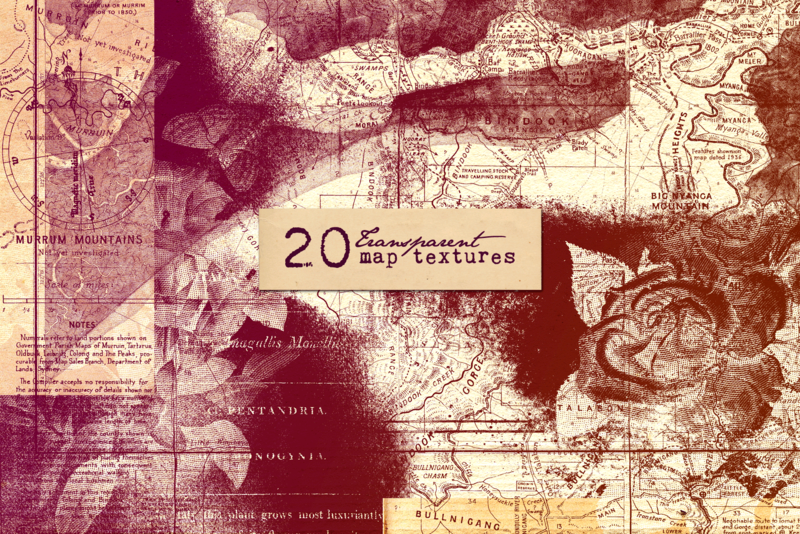 • Combines multiple roughening filters with advanced masking and contrast control to create authentic distressing effects without glitching or soft edges. • Non destructive. 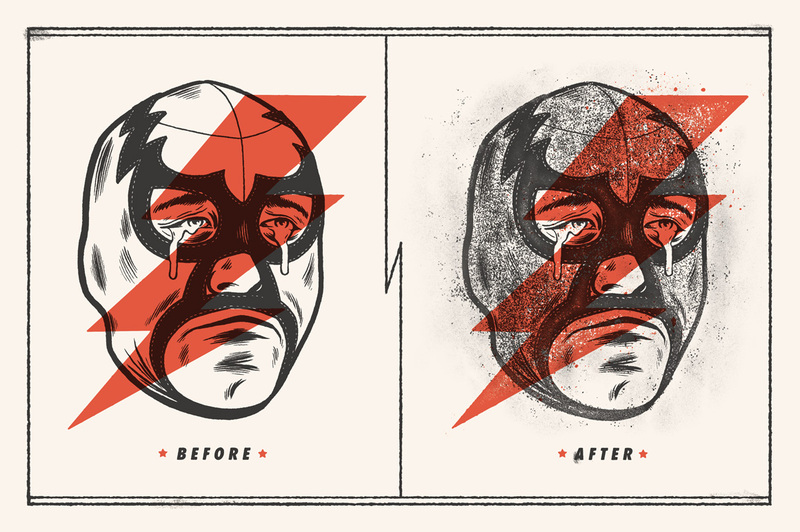 Original clean art remains intact. 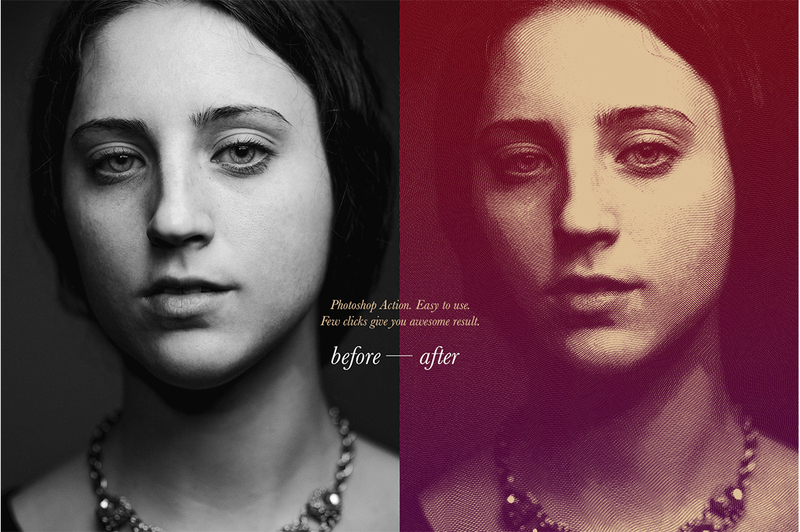 • Edit colour quickly and easily. • Carefully craft your results with expert control, or beat up your work lightning-fast with our expertly created presets. 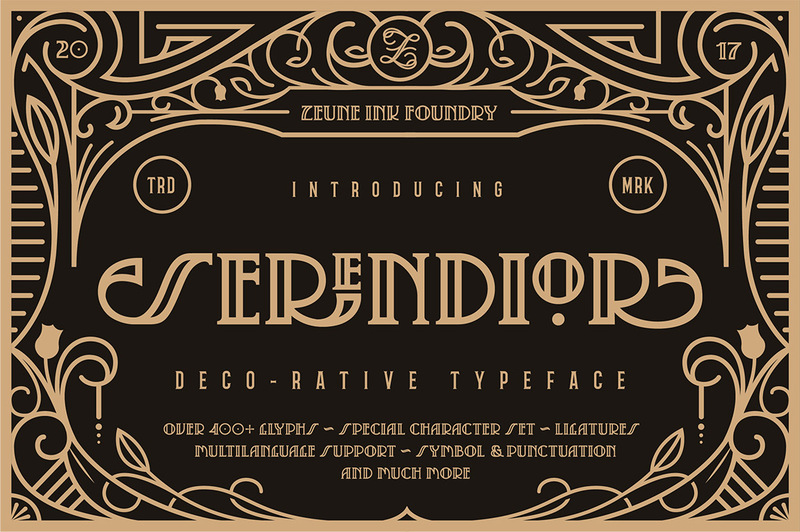 • Capable of producing a huge variety of effects including high contrast grit, grunge, noise, paper grain, rubber stamp, letterpress and natural wood-type. 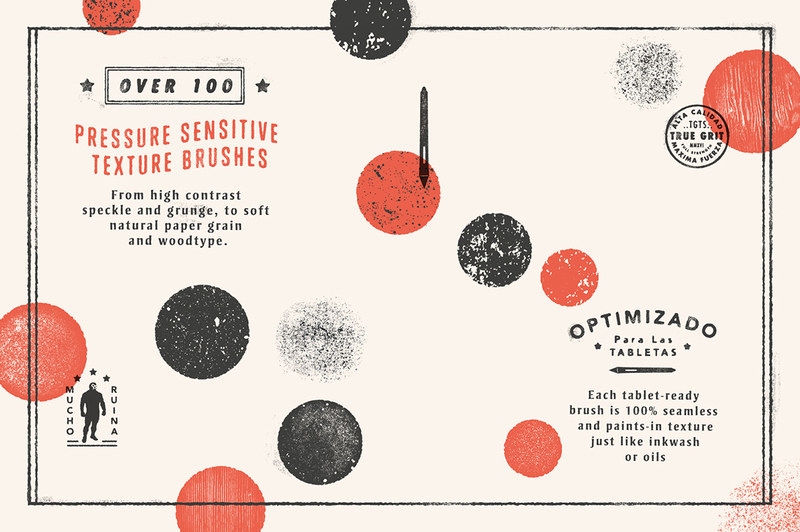 • Brushes paint-on just like a digital ink or acrylic with total control over stroke weight and colour. 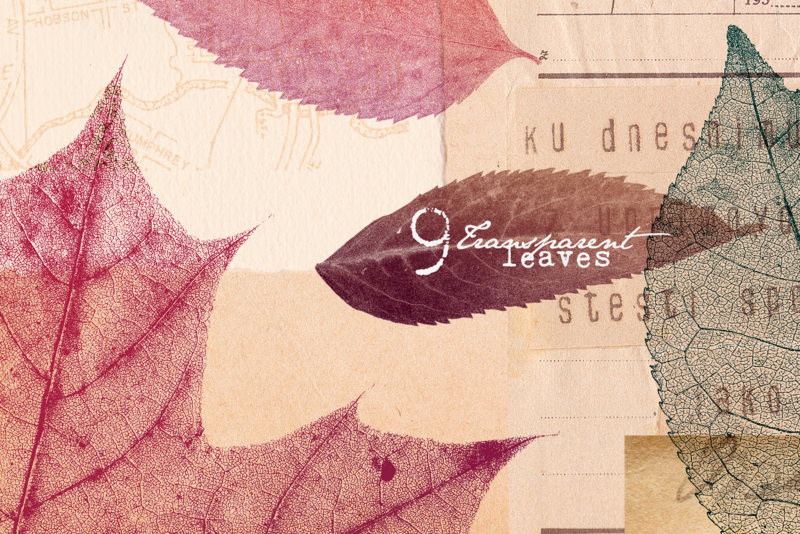 • Carefully crafted using real textures and optimised for use with drawing tablets. 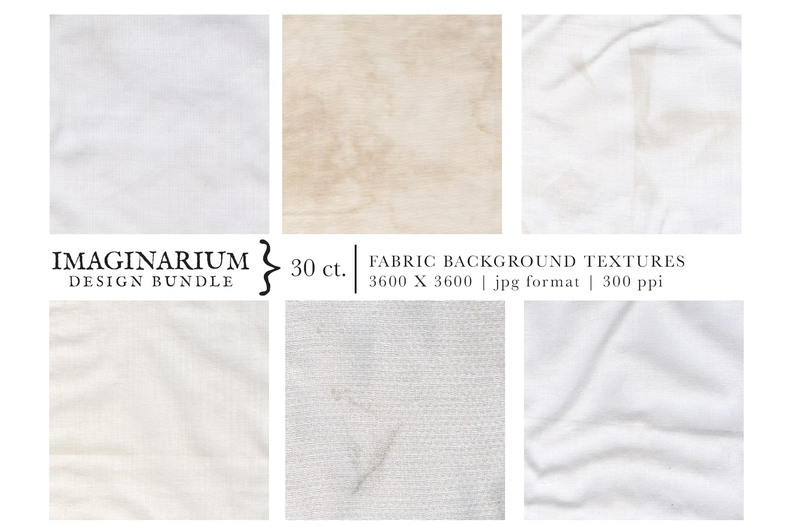 • Wash large areas with grit and grunge, carefully place spatter and speckle or blend subtle paper and wood-type textures with ease. 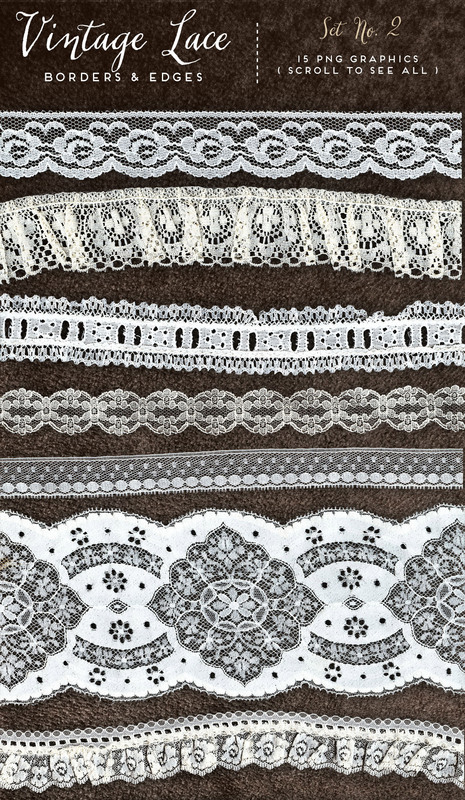 • 1 x Distress Press action with and without interactive instructions allowing for complete control of the distressing process. 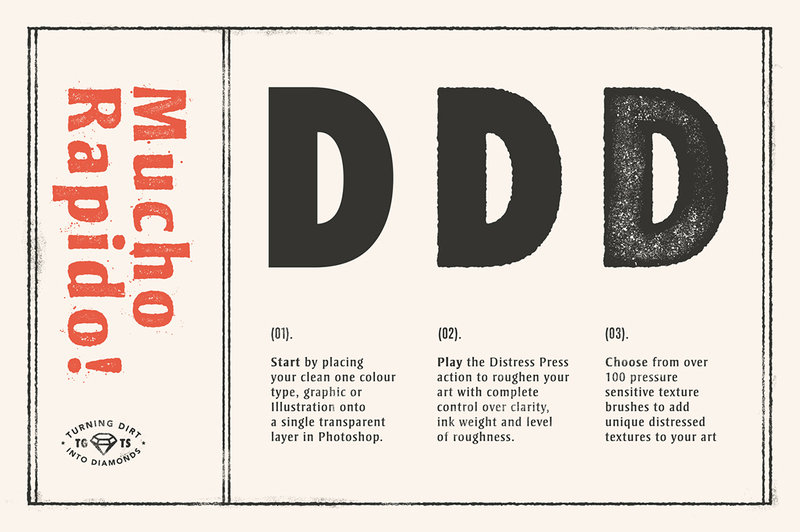 • 6 x Distress Press preset actions for authentic results in seconds with a variety of levels of distressing and detail. 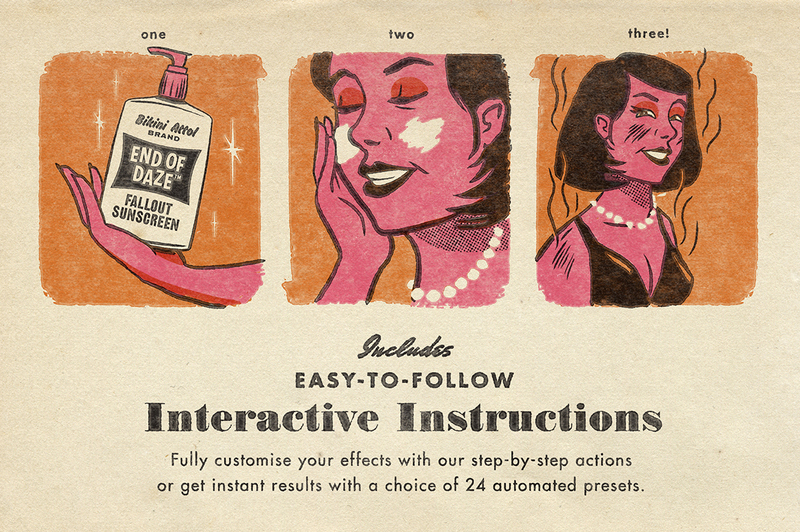 • 1 x easy to follow instruction booklet detailing every step of the process. 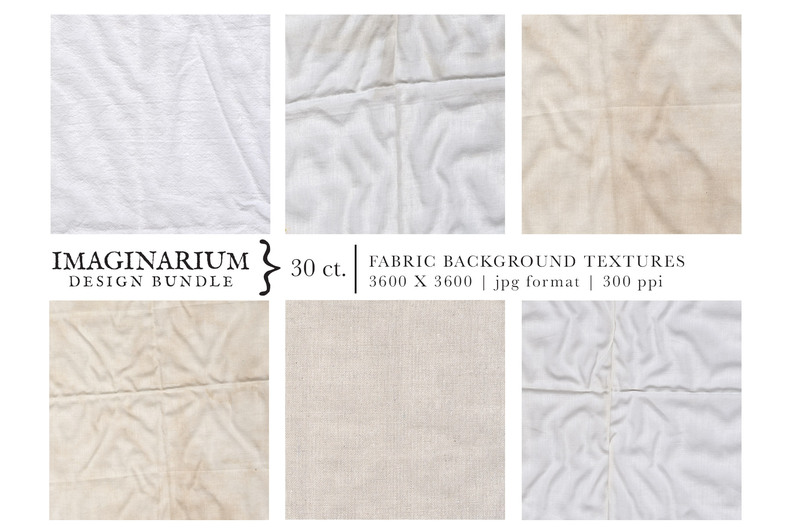 • 40 x natural feel paper and subtle grain brushes soft edges and textures that build up with each stroke. 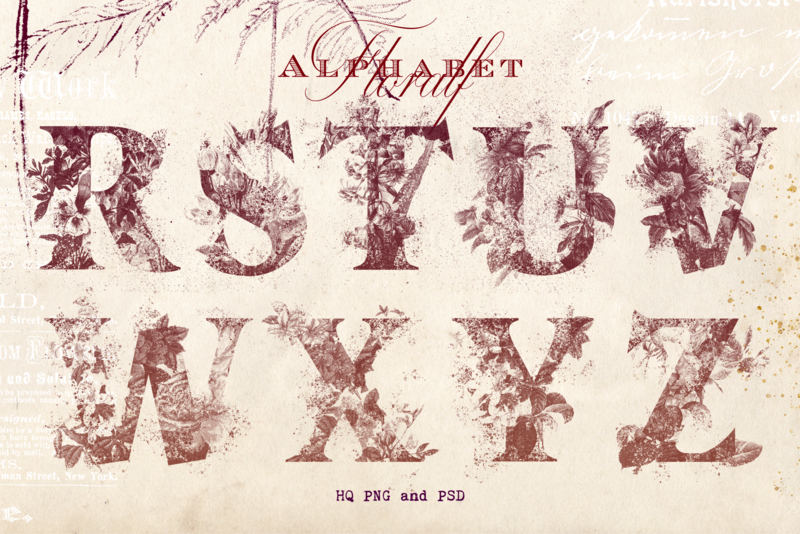 • 16 x natural feel wood type letterpress effect brushes. 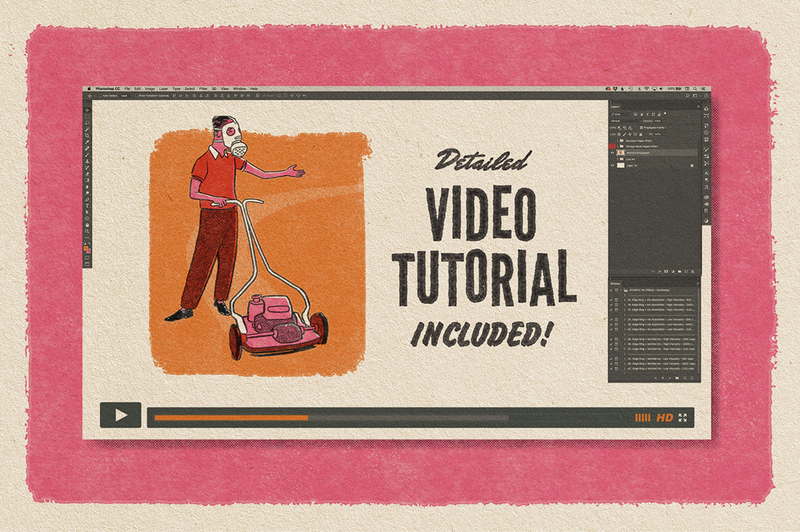 • 1 x comprehensive video tutorial by Andrew Fairclough of Kindred Studio, covering installation, basic use and advanced brush techniques. 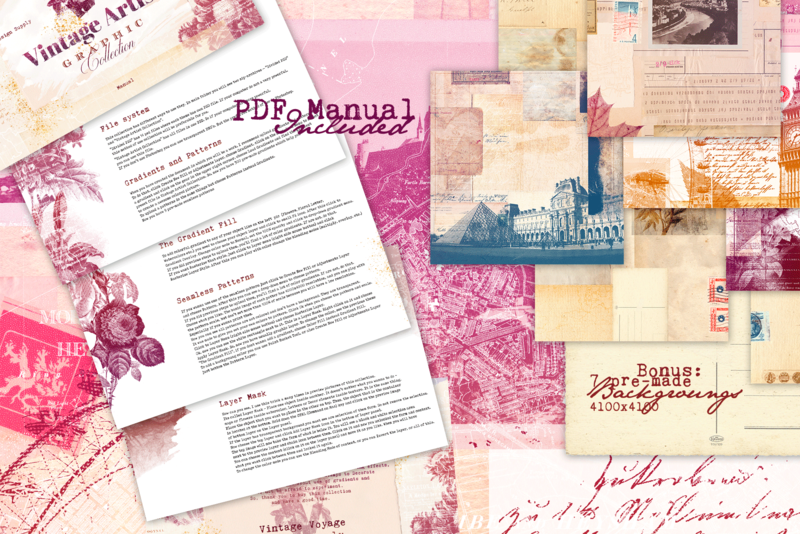 • 1 x handy brush cheat sheet booklet detailing each and every brush. 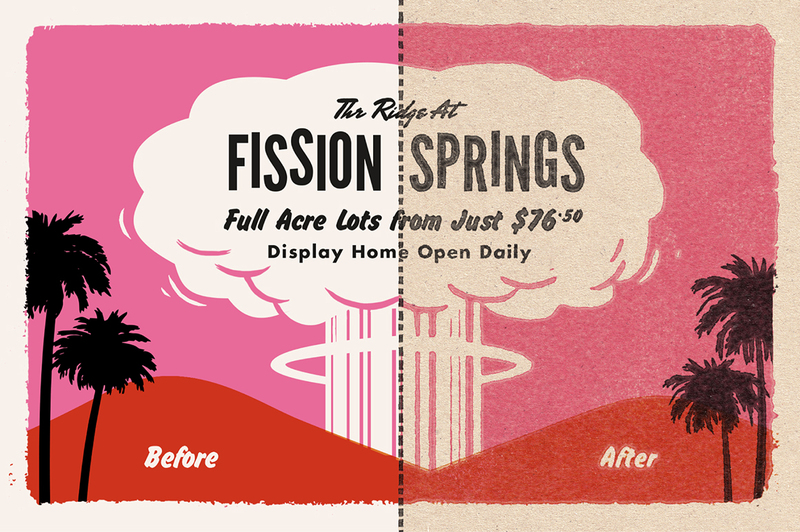 Relive the atomic age by effortlessly reproducing the analogue imperfections of mid-century printing from the comfort of your digital studio. 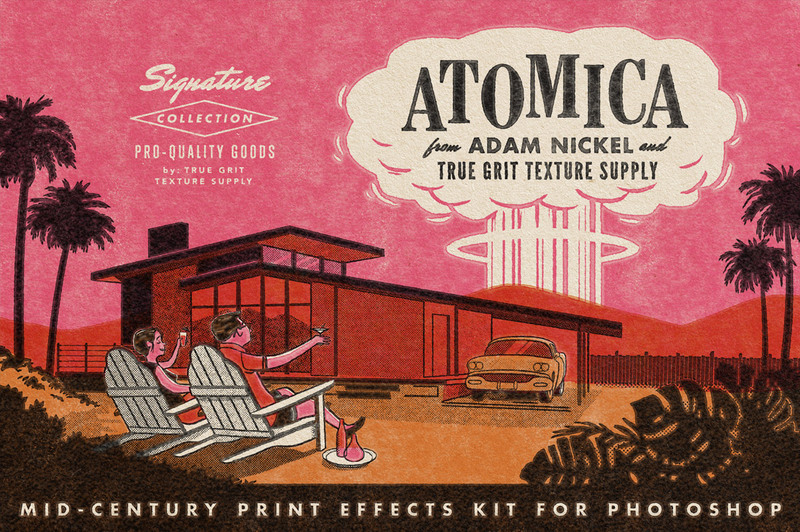 Part of our Signature Collection, Atomica was developed in collaboration with talented illustrator and mid-century print obsessive Adam Nickel. Inspired by Adam’s signature aesthetic and built to compliment his (and your) busy studio workflow, the kit was crafted with speed and customisation in mind using authentic textures and source materials. The result? 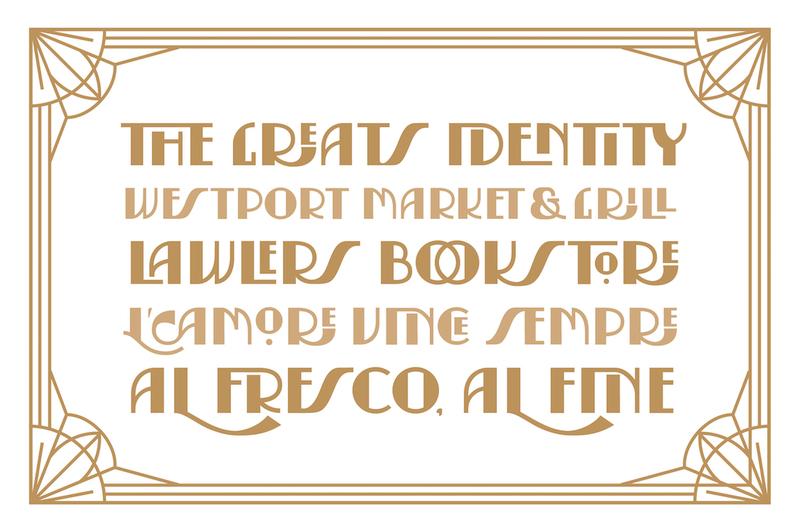 Atomica is the next best thing to your own vintage Heidelberg and an endless supply of 70-year-old ink. 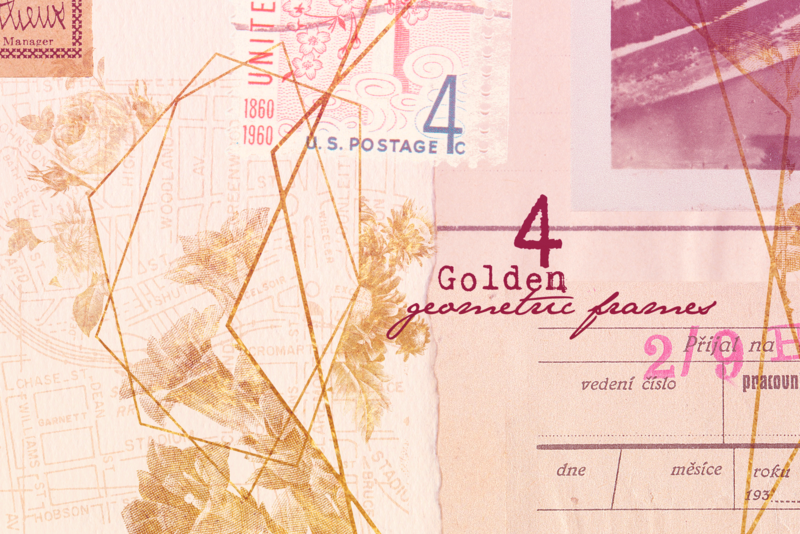 Place your artwork in our handy Atomica .PSD template, select an automated action and Atomica does the rest. 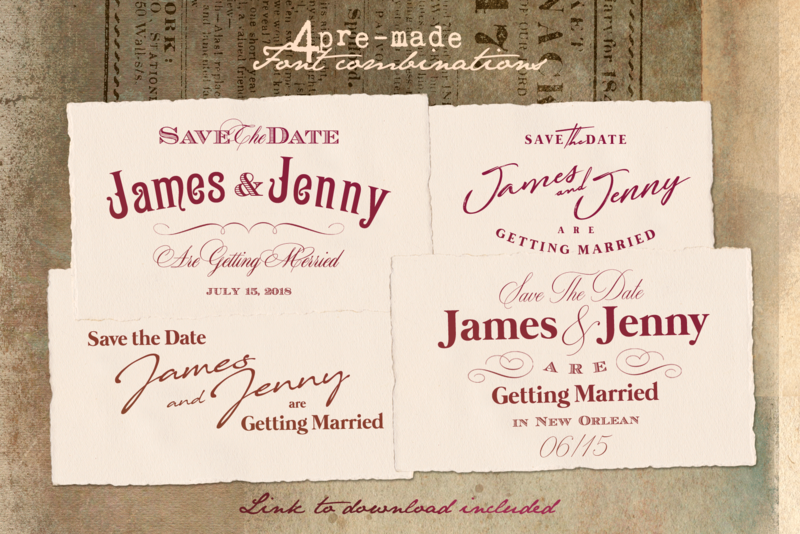 Or try one of our custom actions to take complete control of the process from start to finish. All actions are non-destructive so you can change your ink color and fine-tune your effects endlessly for perfect results every time. 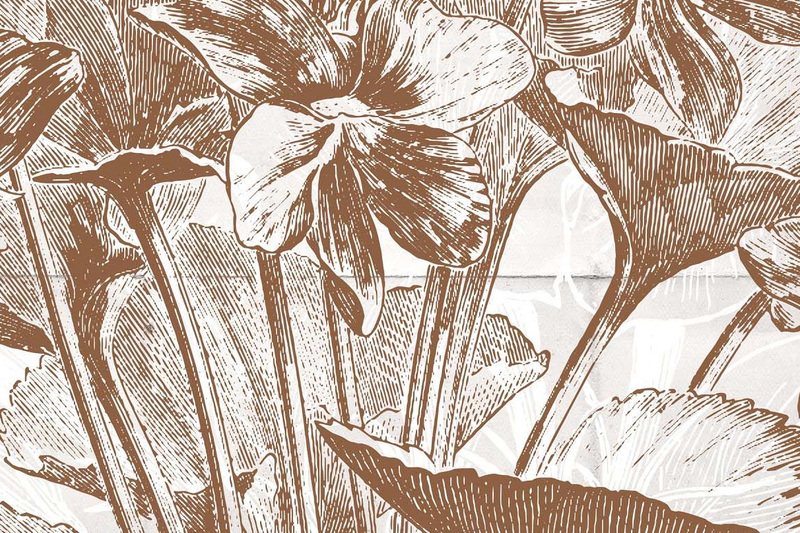 • Faithfully reproduces Edge Pigment, Edge Starve, Ink Absorption and Ink Mottling effects common to Mid-Century printing in multiple combinations. 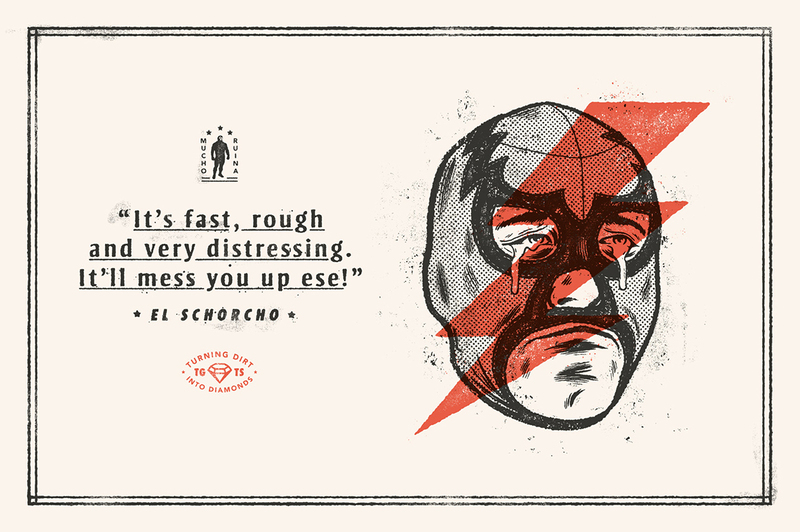 • Roughens and distresses your artwork. 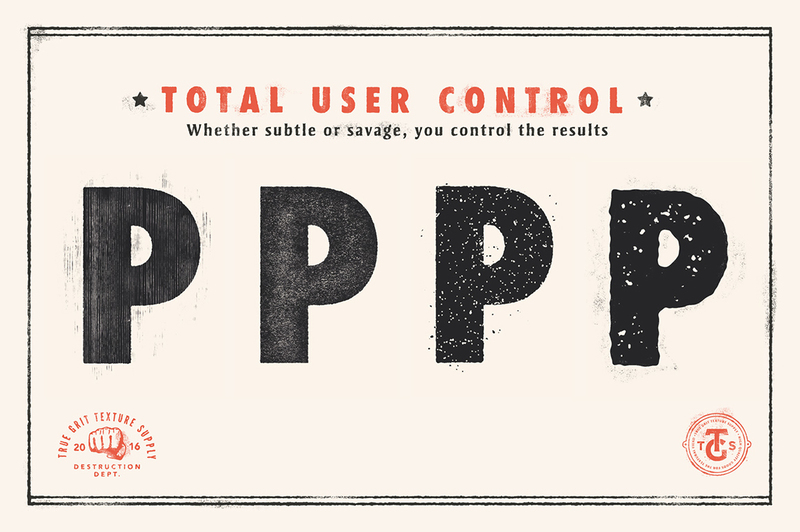 • Choose between fully-customisable or ultra-fast automated actions. 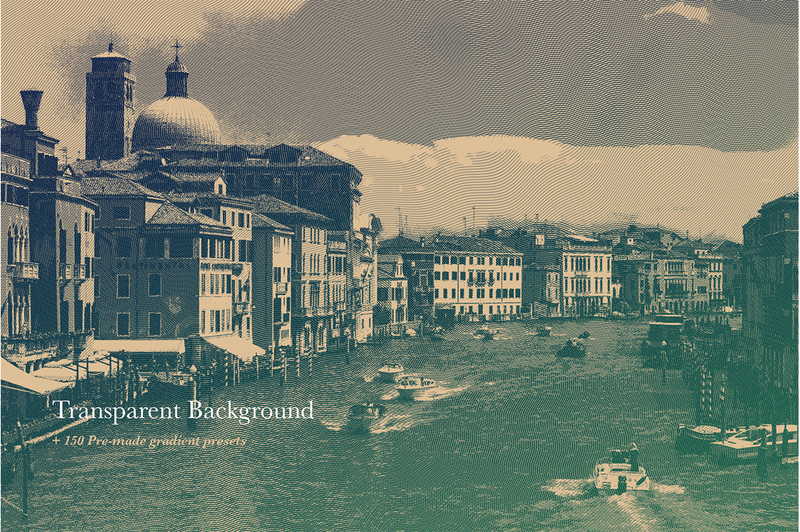 • Our non-destructive process keeps your original artwork intact. 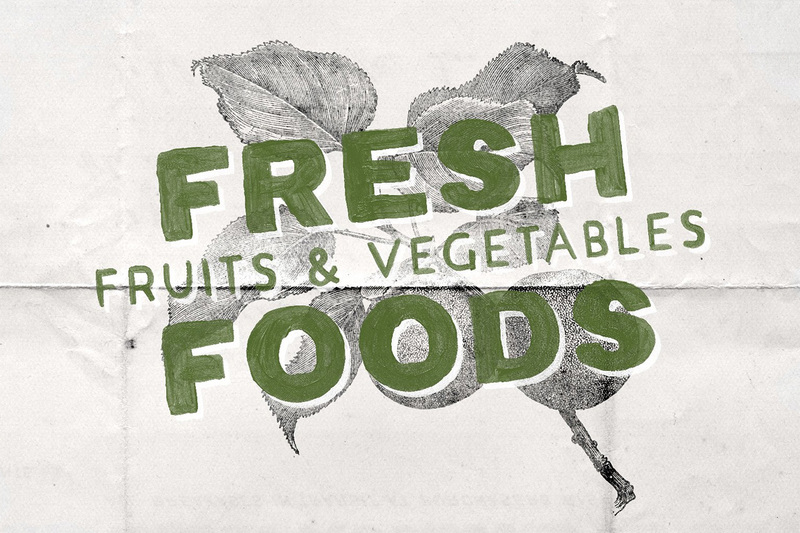 • Fully-editable. 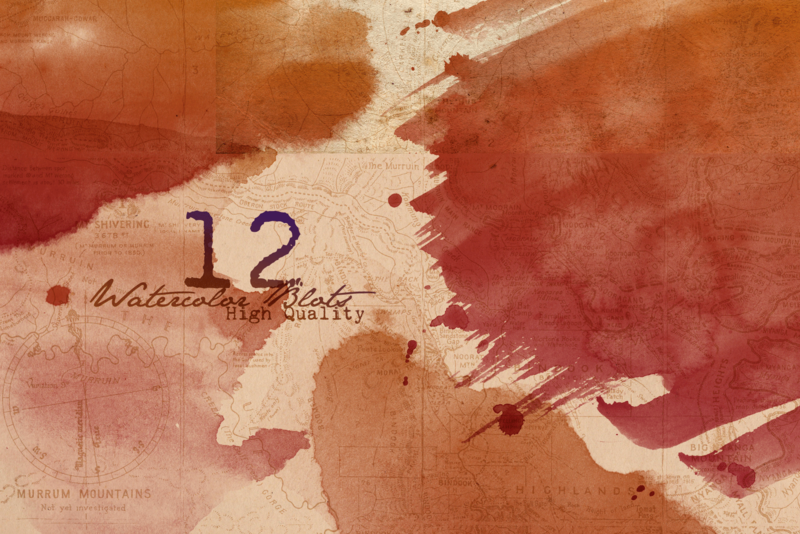 Fine tune your results in seconds with complete control over ink color, texture scale and intensity even after the action has run. • Run Actions with or without interactive instructions. 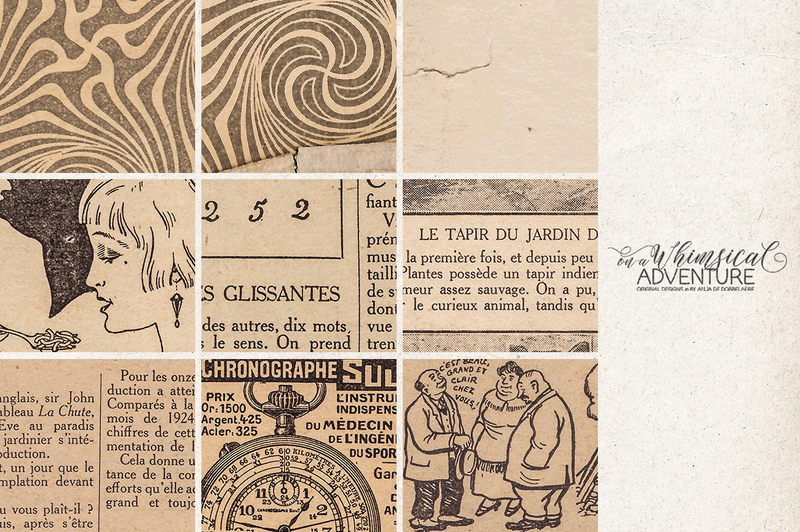 • Built with authentic textures and paper samples from mid-century artefacts and ephemera. 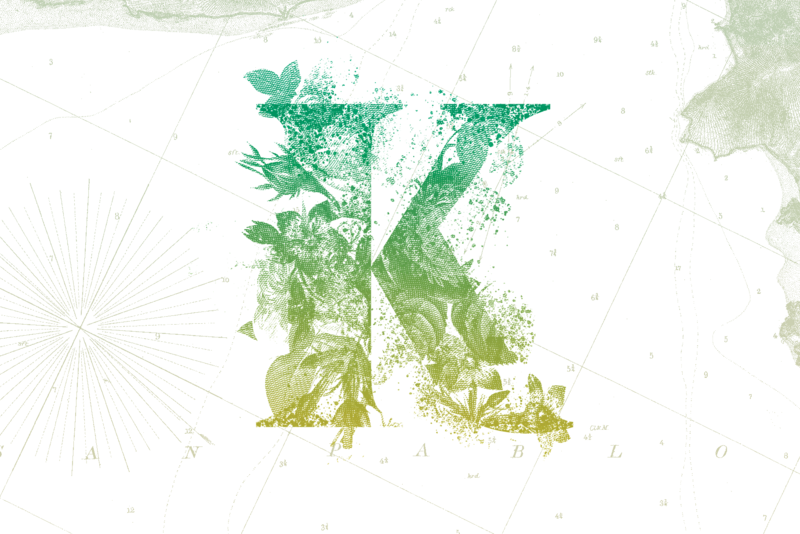 • 16 customisable Actions for creating bespoke effects. • 24 automated Action Presets for results in seconds. 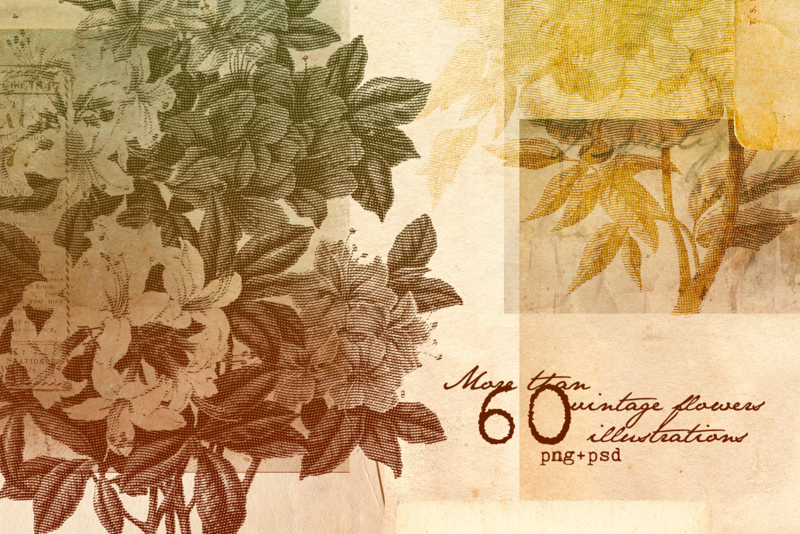 • 1 x .PSD Effects Template (4000px X 4000px) for use in combination with the actions, adding instant paper textures to your work. 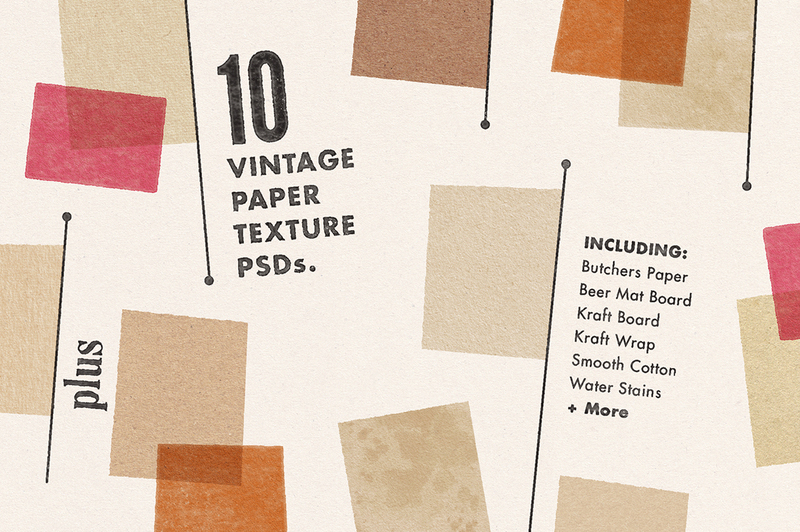 • 10 x paper texture .PSDs with preset layer blends for realistic paper texture effects and no experience or tinkering required. 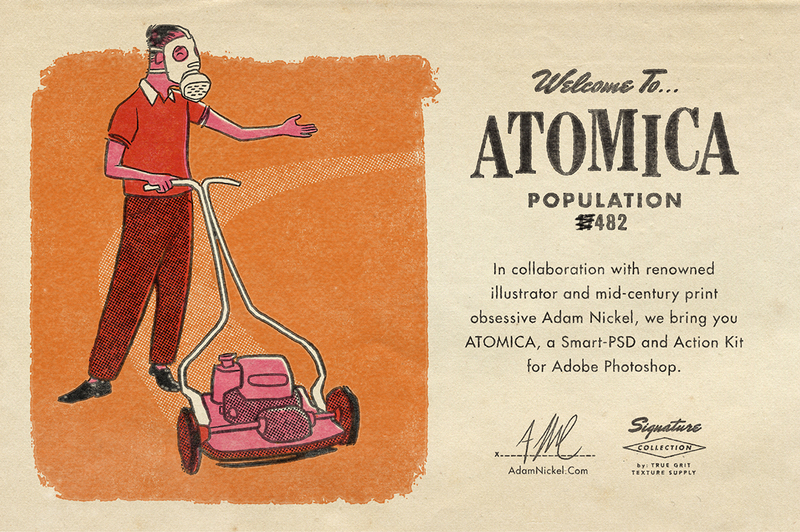 • 1 x comprehensive video tutorial teaching you how to harness the explosive power of Atomica. 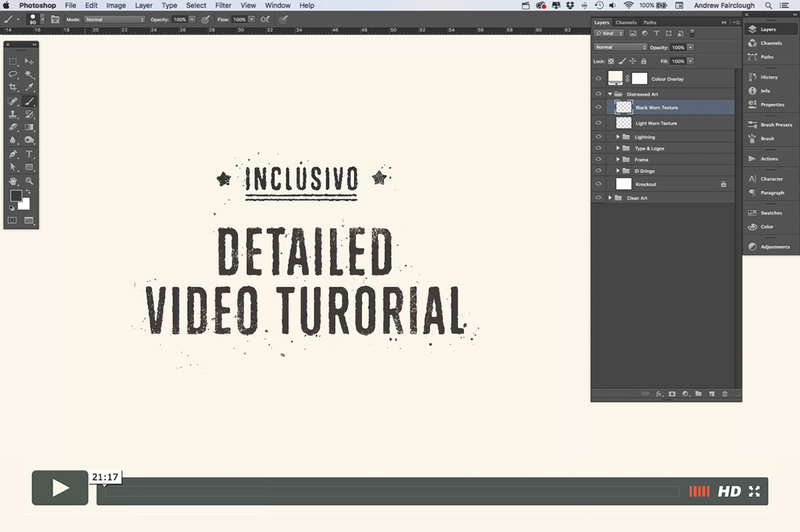 • 1 x easy-to-follow written tutorial and reference guide PDF. • 1 x quick-start installation guide to get you up and running asap. 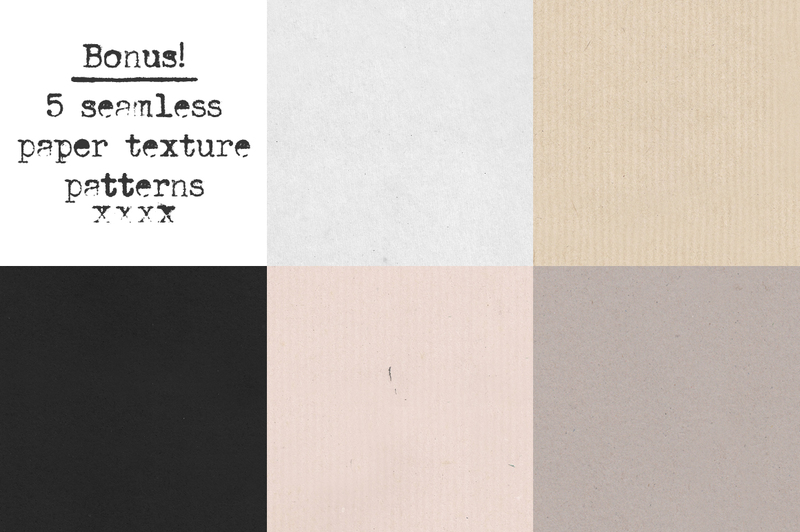 • 1 x paper texture cheat sheet. Software compatibility: Adobe Photoshop CS6 or newer. .PDF files will work for anyone with .PDF reader software. 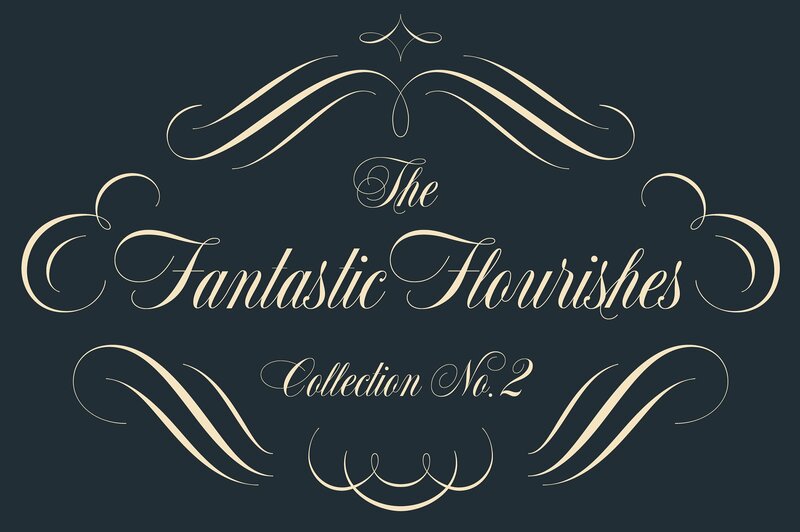 I am proud to introduce The Second Fantastic Flourishes Collection. 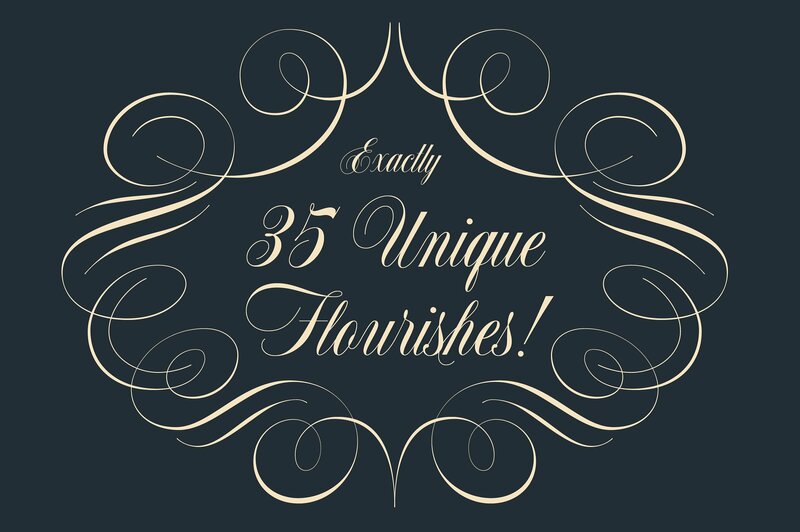 This collection includes exactly 35 unique vector flourishes for you to use in unlimited arrangements! 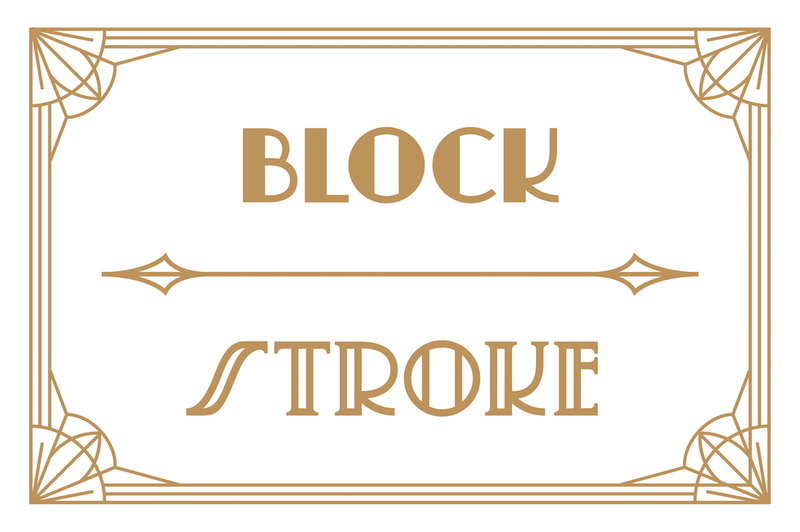 Featuring gorgeous thick and thins provided as strokes and outlined paths for your convenience. 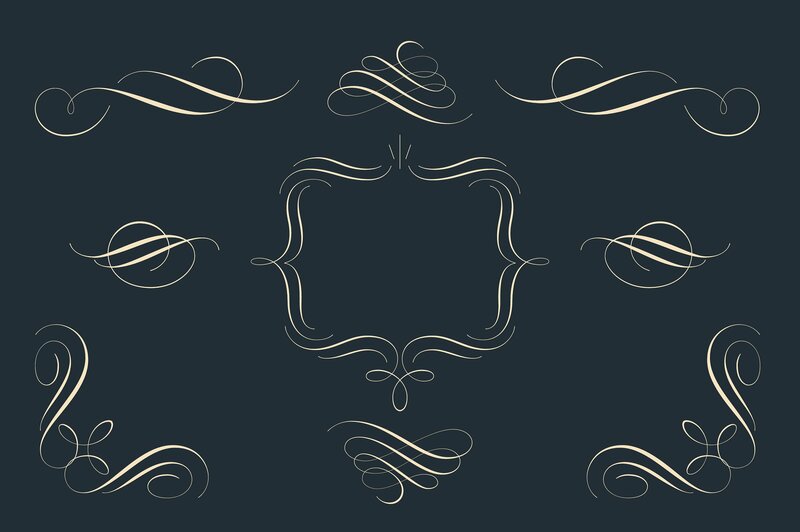 These flourishes are sure to become a valuable resource in your digital tool kit for years to come. 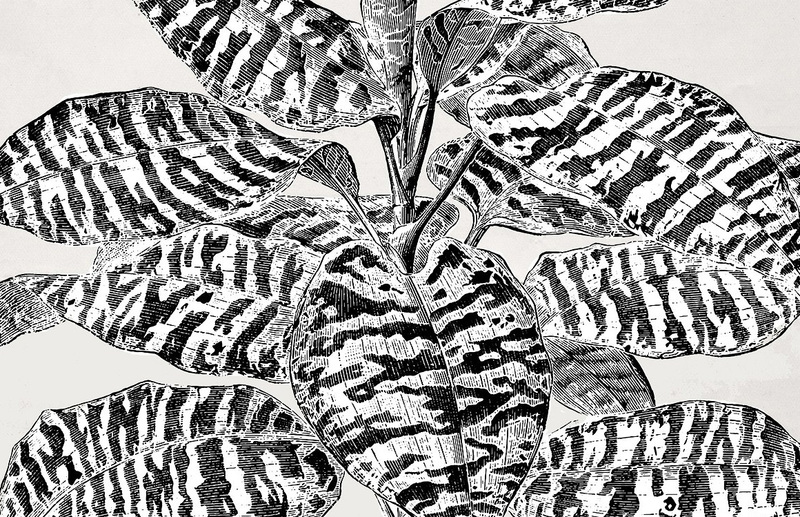 Software compatibility: Adobe Illustrator CS6 or newer..PNG files will work with most graphic software. 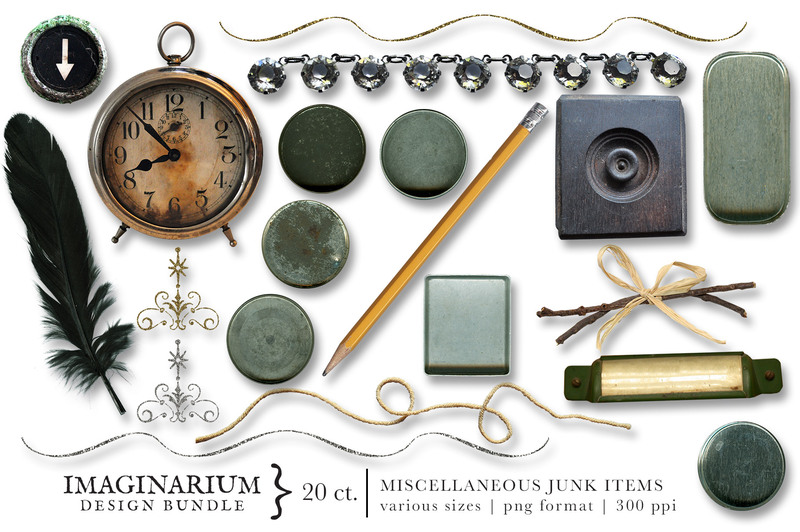 This bundle brings you the best vintage resources the design world has to offer. 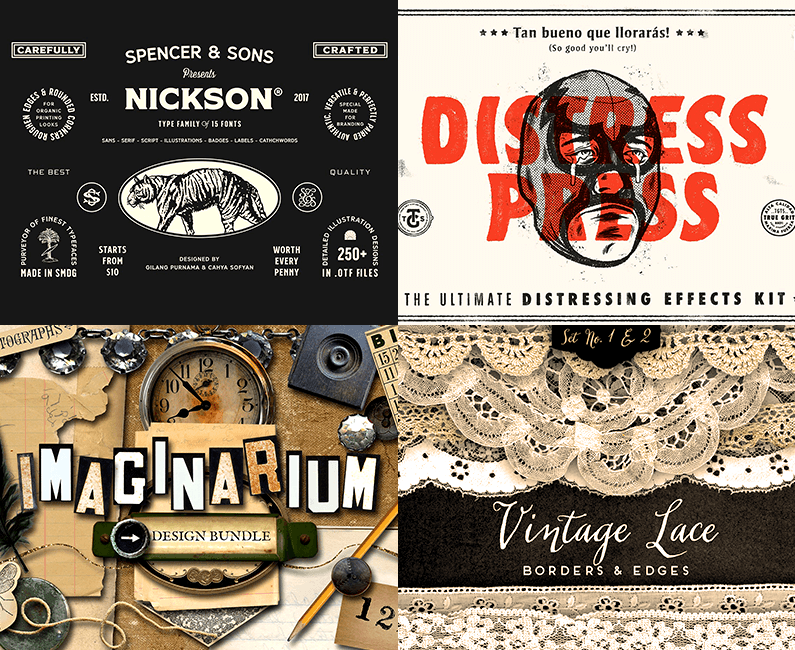 We’ve teamed up with designers like Retro Supply Co, Eclectic Anthology, Unember, Drew Melton, Vintage Voyage Design and more, to organise an unbeatable bundle of authentic vintage fonts and graphics, effects packs, textures, and much more! The resources are organised into carefully labelled folders. File size is approx 9.52 GB (15.67 GB unzipped), split into 15 parts. 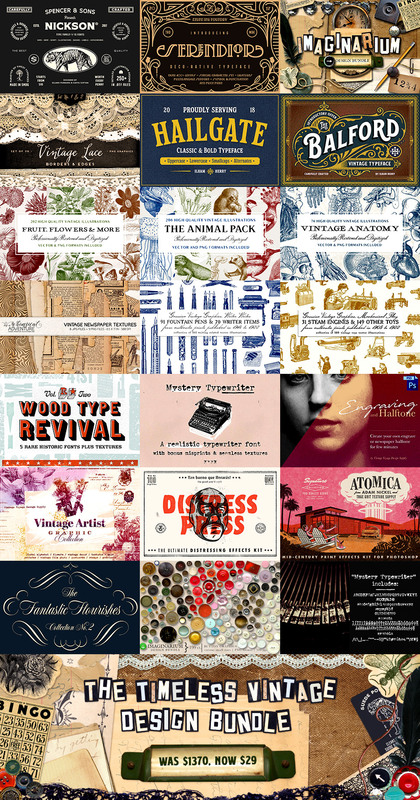 We've also included 1 large downloads containing all 12 designers. Thank you so much for reaching out to us and we hoe that you are having lots of fun taking your bundle items for a spin! I’m so sorry to hear that you are missing some of your files, rest assured I can certainly help and have popped you over an email to help get you up and running with these without any further delay. 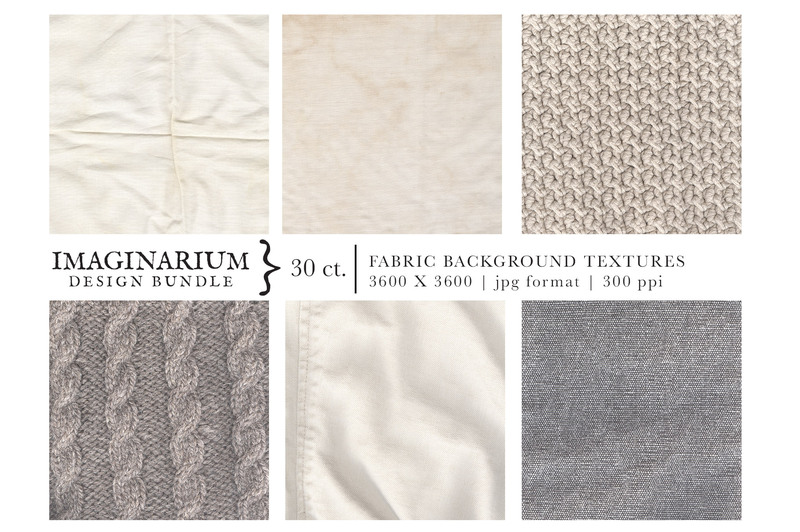 Thank you so much for your comment and I’m so sorry to hear that you missed this Bundle. 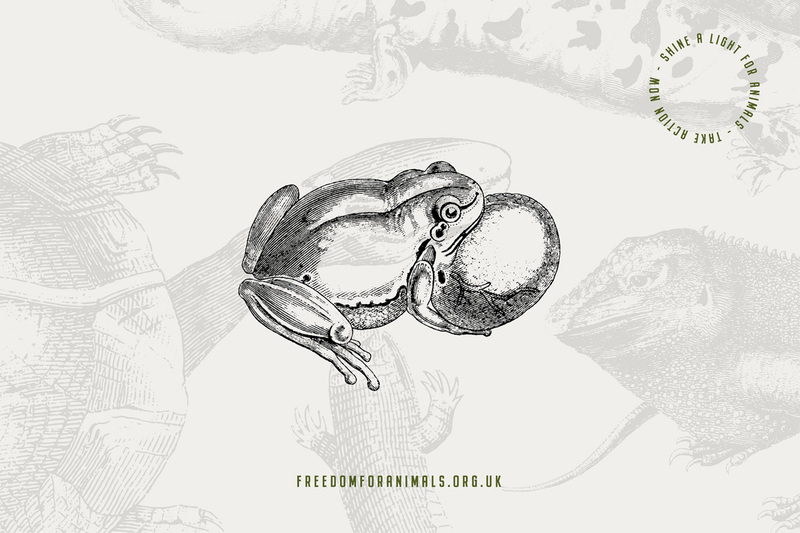 Unfortunately as this one expired back in June, all accounts have been closed and we are unable to accept any more payments so my sincerest apologies for any disappointment caused. All is not lost though and I have popped you over an email to help! This is an amazing bundel. Any chance it will be back soon? I will most certainly purchase. 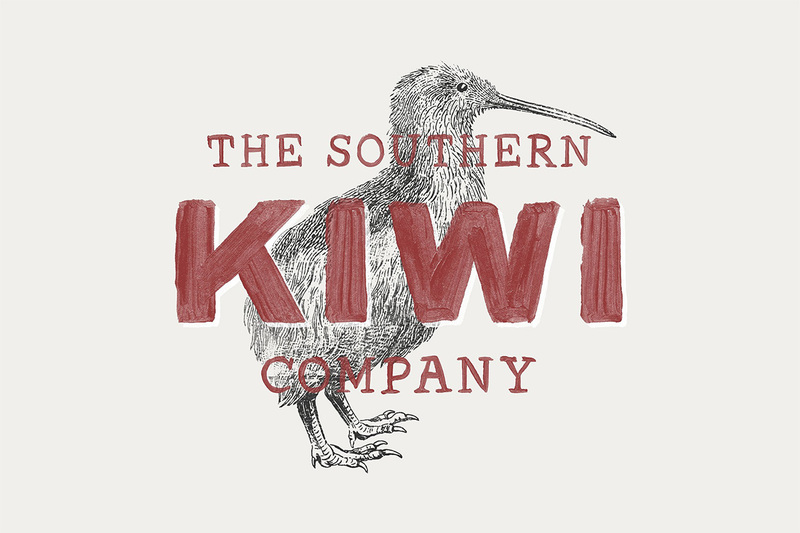 Thank you so much for reaching out to us and I am so sorry to be the bearer of bad news but unfortunately as this one expired a couple of months ago, all accounts for this one have now been closed so we are unable to accept any late payments. 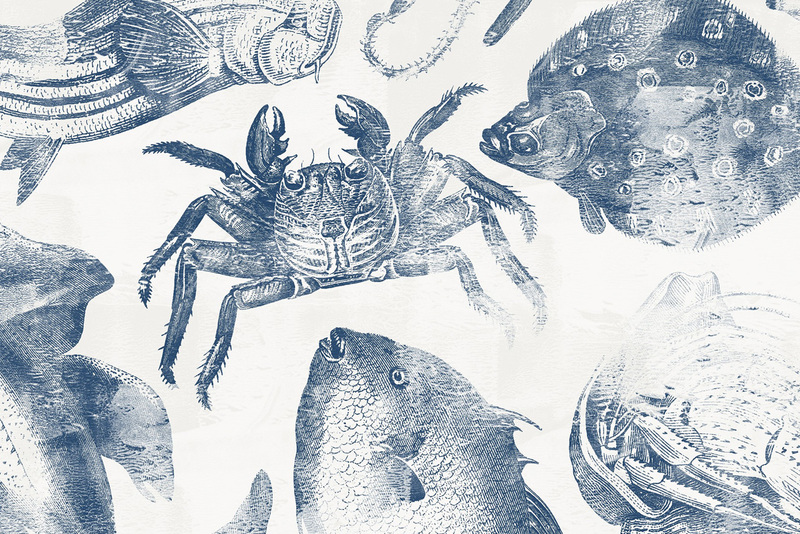 All is not lost however Philip as the majority of the products featured in our Bundles end up in our Marketplace for you to purchase individually and you also have the option to build your own bundle and receive up to 50% off. 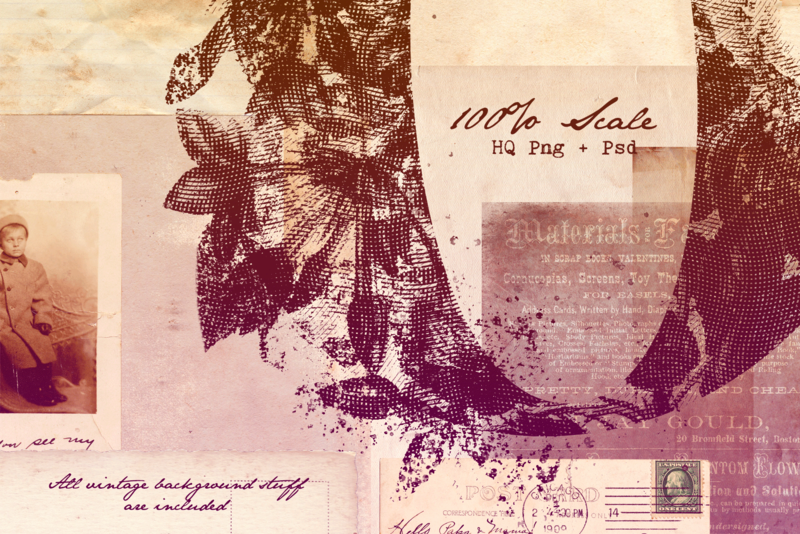 So rest assured there is still an option to purchase some of the most popular items from our past deals :). If there are any particular items from past deals that you were interested in that are not currently featured in our marketplace though, please don’t hesitate to send me some links, and I can get them over to our Product Team for you and hopefully, we may be able to get them in future. Oh No!!!! I missed this one! >_< I thought I had purchased everything for July! Oh no I am so sorry to hear that you missed this Bundle Elijah! 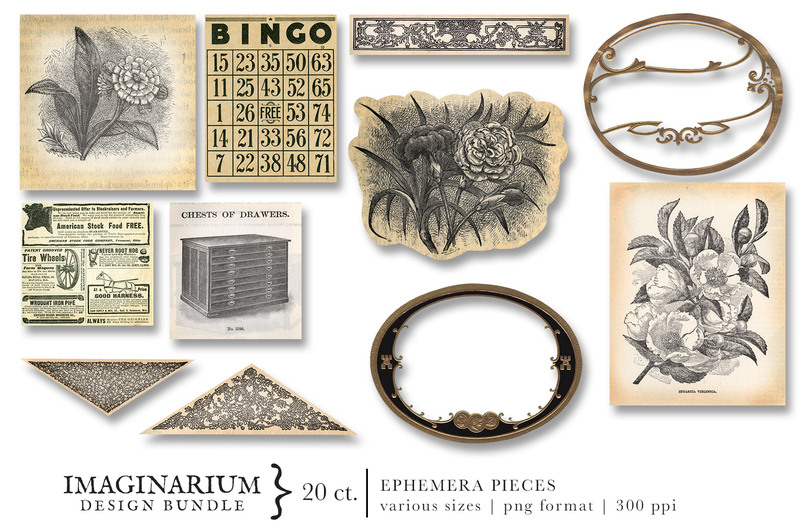 All is not lost however as the majority of our Bundle items end up in our Marketplace so that you still have the option to pick these up, and receive up to 50% off when you build your own Bundle of resources. I popped you over an email as well to help! I bought this deal and am now finally getting to play with it! Such awesome stuff. Just one problem in starting to fool around with this. 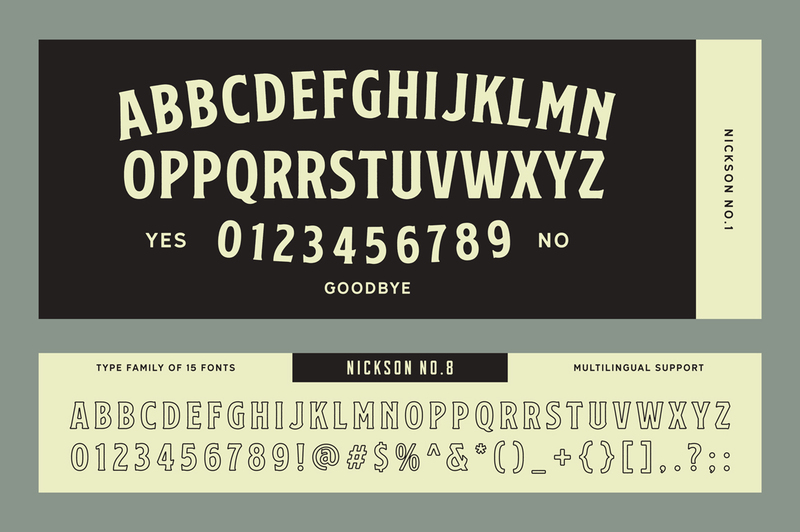 For the S&S Nickson font. I’m missing some fonts? SSNicksonNo1-8◆ is not in the pack? Please advise. 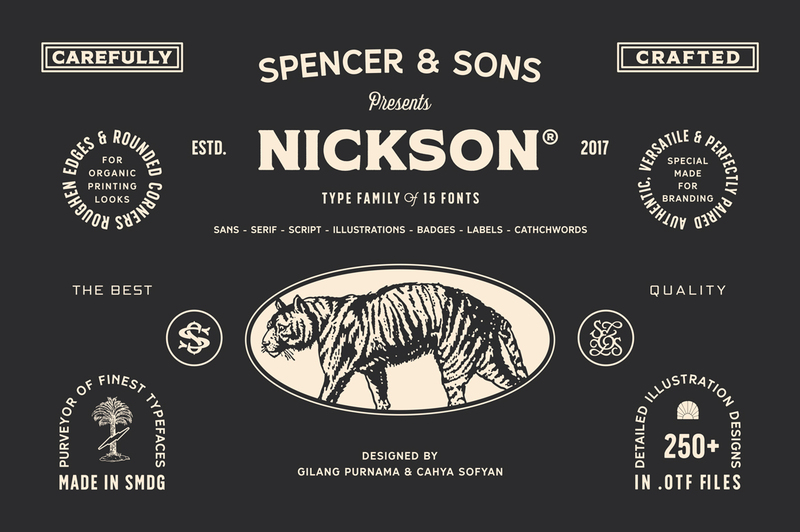 Thank you so much for reaching out to us and I am so sorry to hear that you are having difficulty locating your S&S Nickson Fonts. Rest assured I can certainly help and have popped you over an email to help! 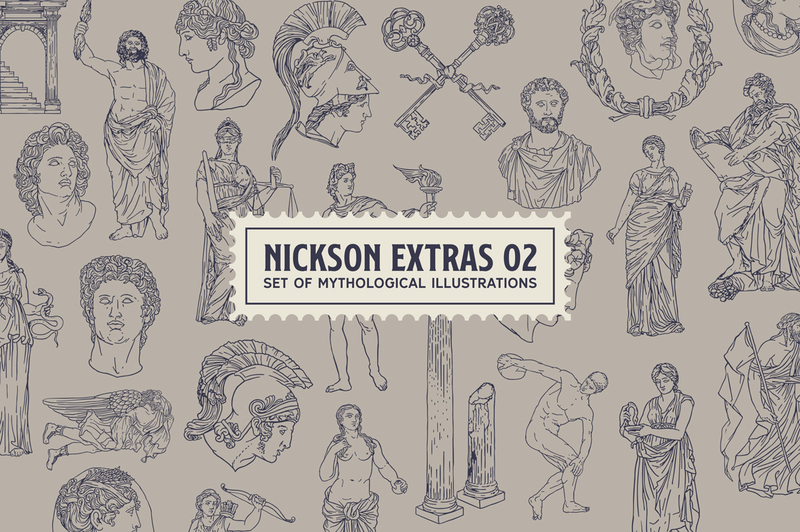 I’m not seeing the Nickson extras in the downloads can you point me in the right direction? 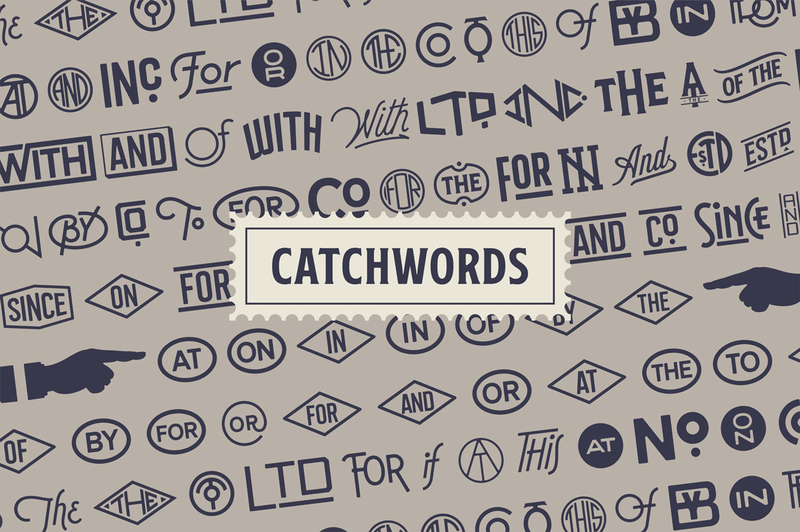 Rest assured I have popped you over an email to help you locate these in your downloads! Great Bundle, as usual guys, thanks! 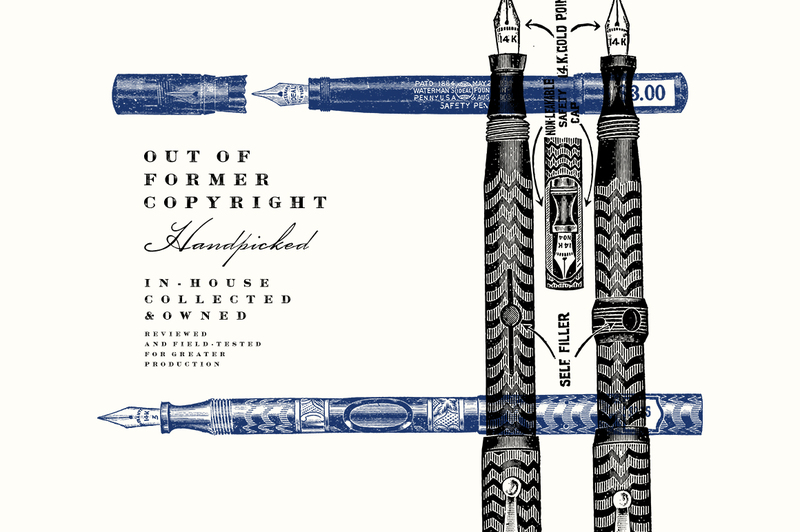 But I just can’t get the Engraved and Halftone creator to work for me. I have loaded all the required presets but it keeps telling me that the command ‘Threshold’ is unavailable. Strange. I’m working in Photoshop CC. Thanks for reaching out to us and I am so sorry to hear that you are having difficulty working with your Engraved and Halftone Creator. Thank you so much for letting me know and I am so glad to hear that you are now able to get up and running with this one! I am having the same problem. If I start with a completely new document then it works but I can’t try an action and then try another one. I have to open another document because of the same threshold issue. 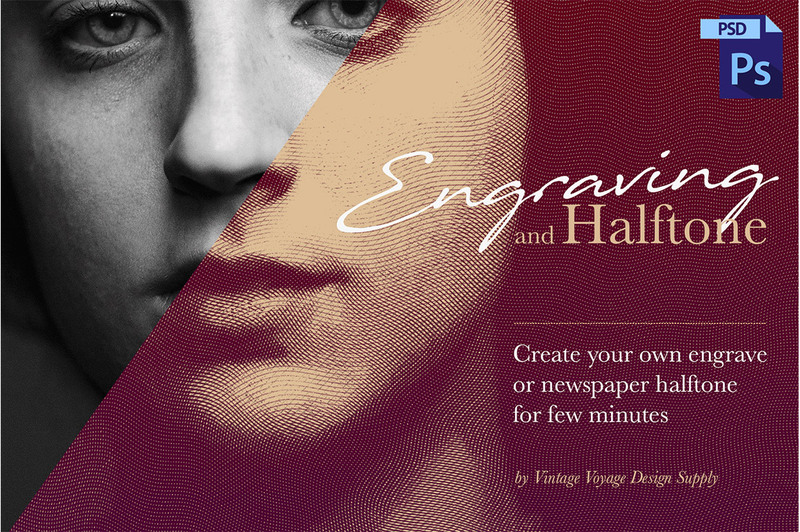 I am so sorry to hear that you are having difficulty with your Engraved and Halftone Creator! 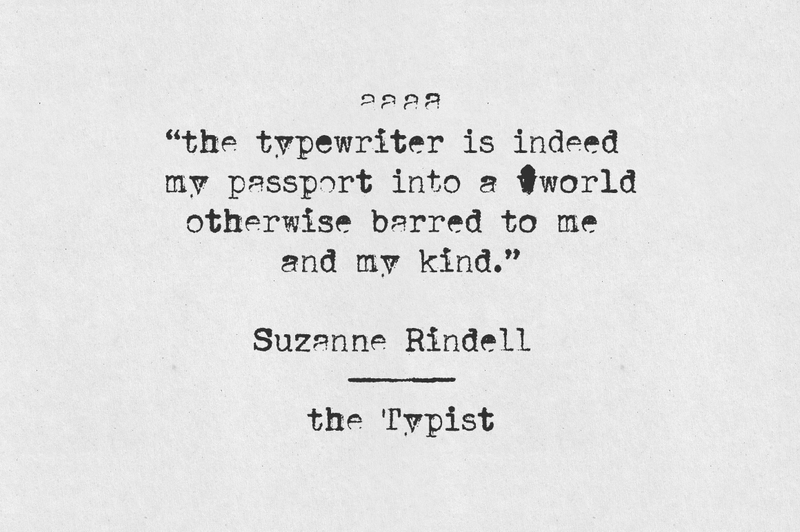 Hi there – I have the same problem. 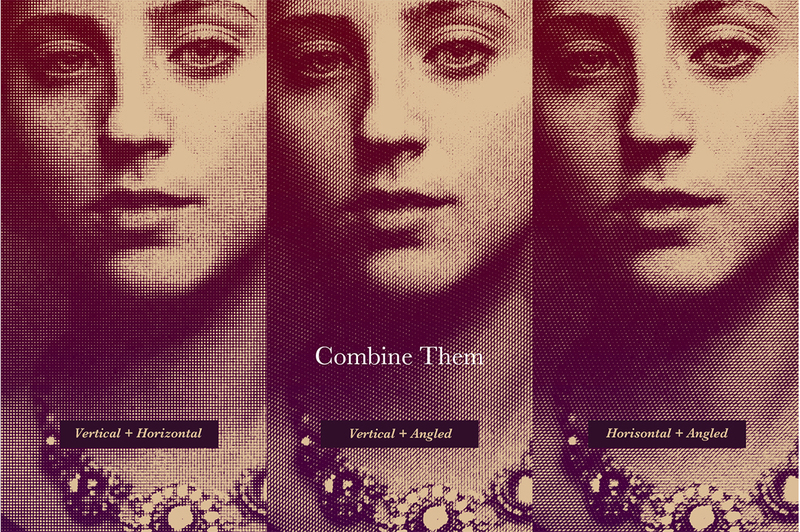 I loaded all the files – but it doesn’t work – threshhold problem. Ther is no video or anything – so not sure if I did something wrong? Oh no I am so sorry to hear that you are also experiencing difficulty Seeta! Hi Annabel – Can you pls email me the video as well? I purchased this package a few days ago and am running into the same threshold issue. Thank you! 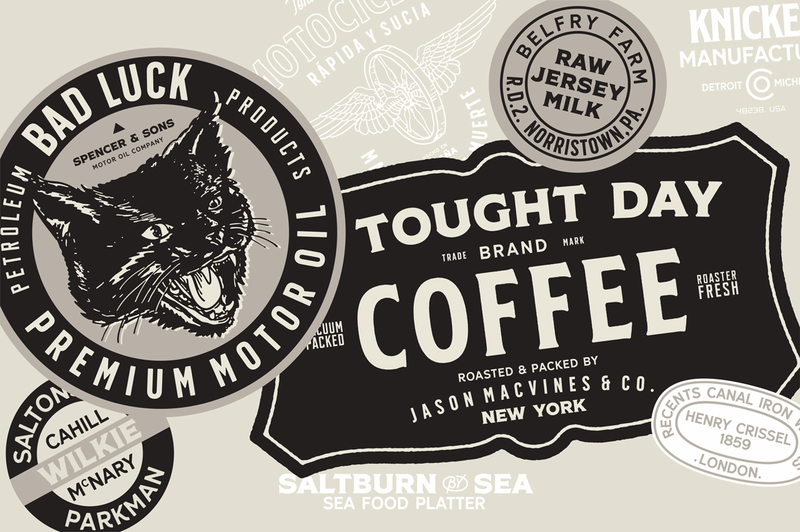 Hey Jake, I’m so sorry to hear that you are having difficulty with your Engraving and Halftone Creator! Hi im having the same issue. Please could you send through the toubleshooting. Thank you so much for reaching out to us and I am so glad that you have managed to get yourself up and running with this one! I really don’t need another bundle but I want it! It’s just irresistible at the price! Thank you so much for your comment Zsuzsa and we are so glad to hear that you really love this deal! 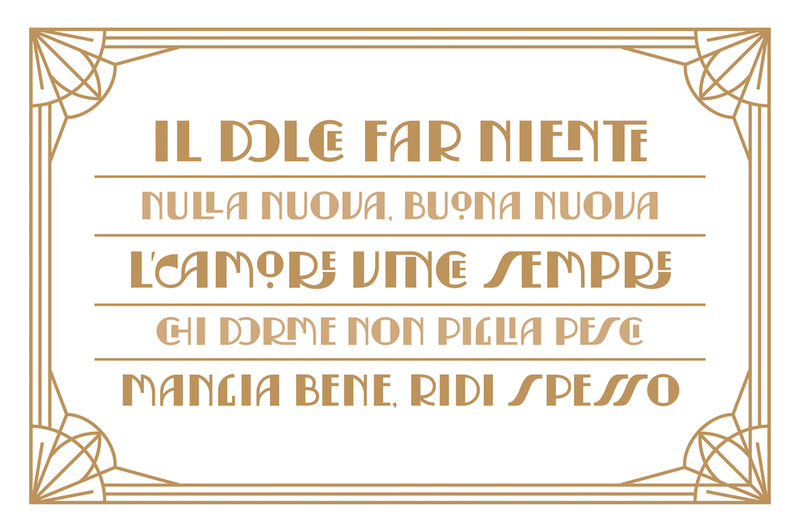 Already playing with the engraving PS action – just awesome! 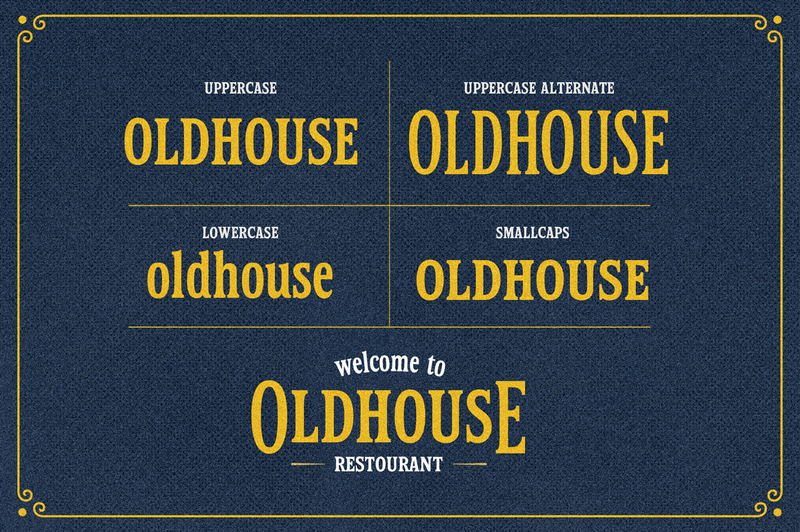 I’m actually missing like 10 fonts from this bundle. Is that a mistake? Going to redownload as soon as I get home since someone suggested it. 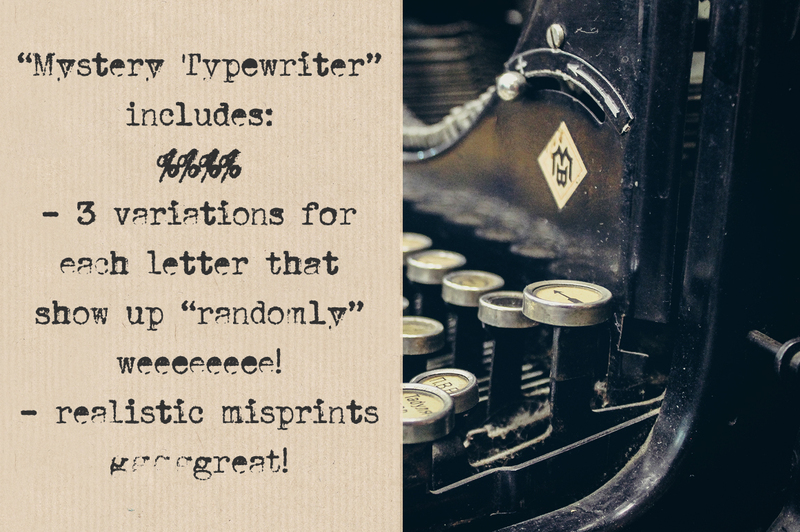 Thank you so much for reaching out to us and I am so sorry to hear that you are missing some of your fonts! 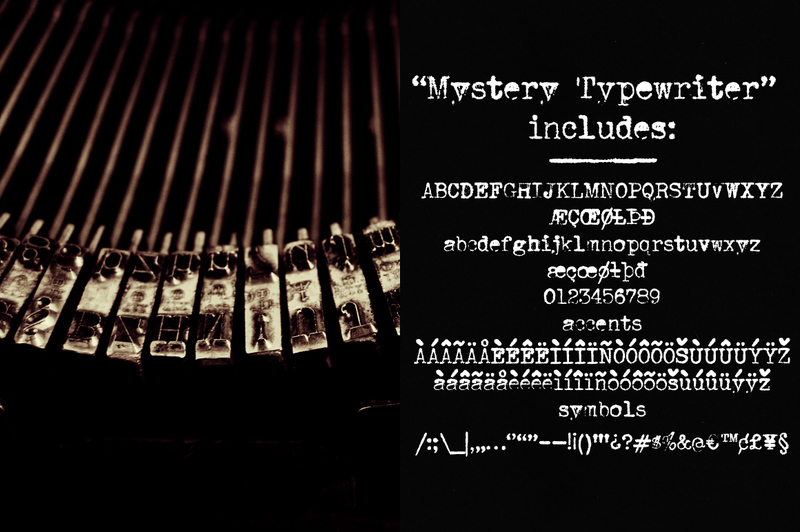 I’m in absolute love with Mystery Typewriter! 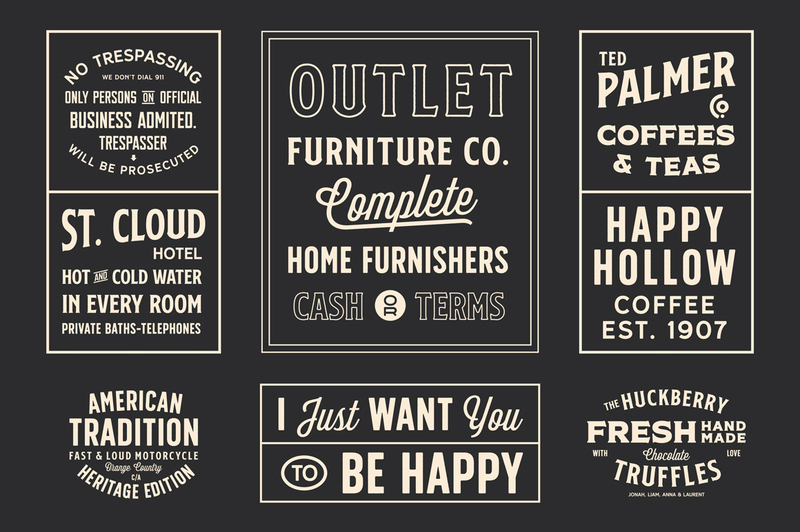 Everything else in this bundle is once again super-inspiring, too, but the fonts are my favorite bits in this bundle – for now! 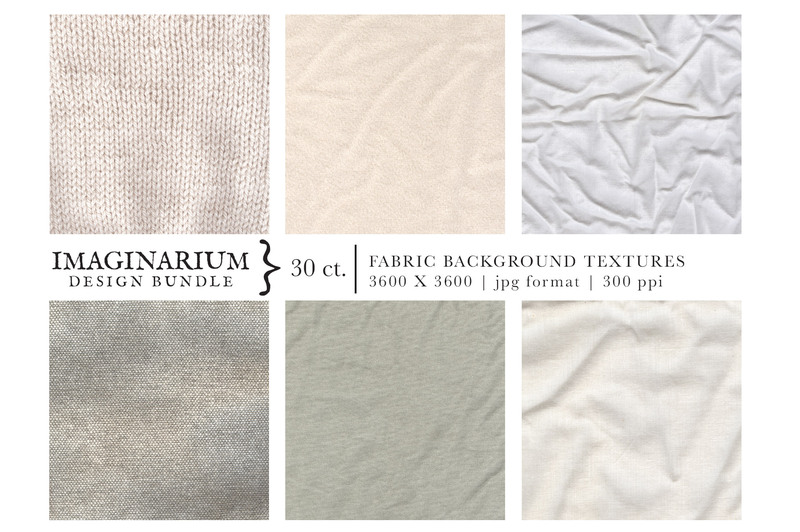 Thank you so much for your comment and we are so glad to hear that you love our new Bundle! 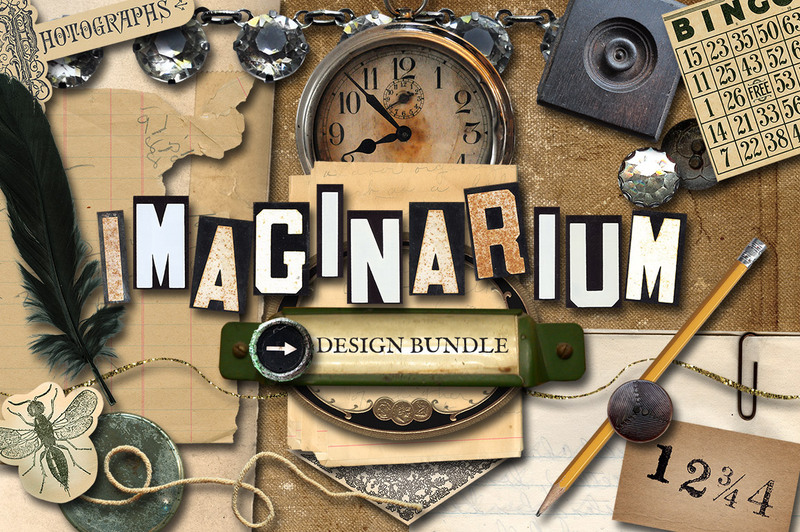 Woohoo thank you so much Wolfgang, we’re so glad to hear that you love this Bundle! I wasn’t going to do this. 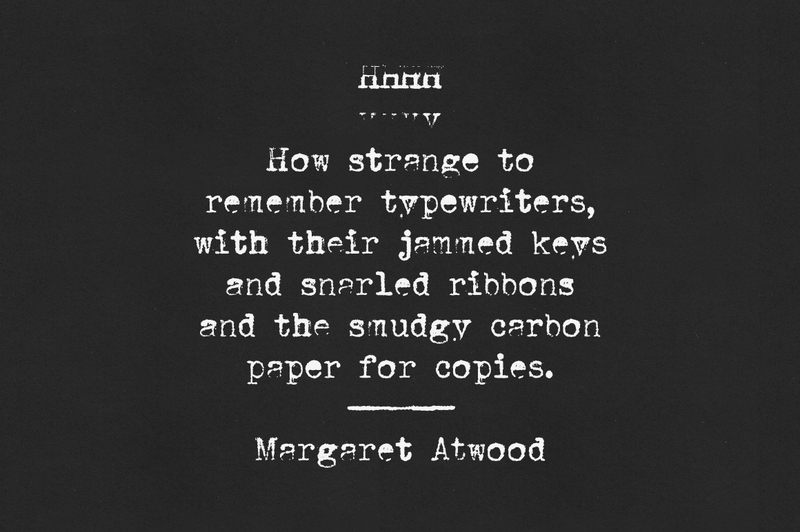 But you had to add S&S Nickson, Serendior, Hailgate, Balford, Mystery Typewriter & the magnificent Wood Type Revival Vol.2, didn’t you? I can’t say no to those. And you, DC Team, knew it! 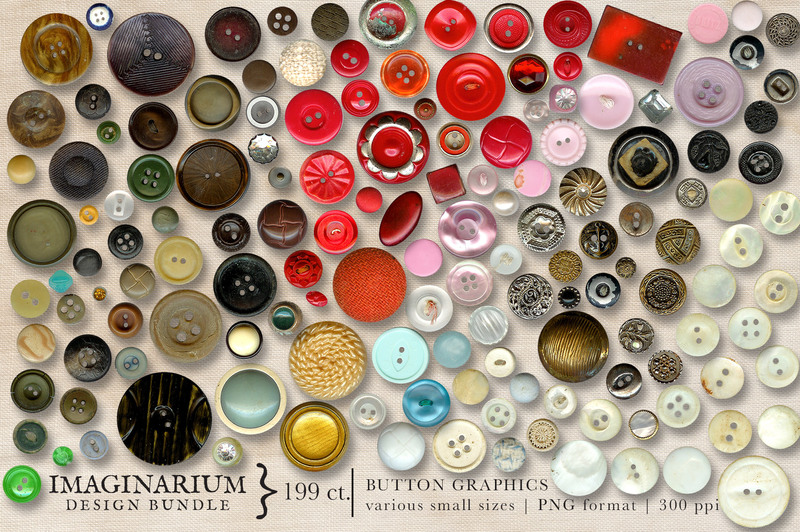 We hope that you have great fun taking all of your new resources for a spin Yadira and that these make great additions to your collection of creative resources. Happy designing! Thank you so much for your comment Stacy! Drew Melton Flourishes No. 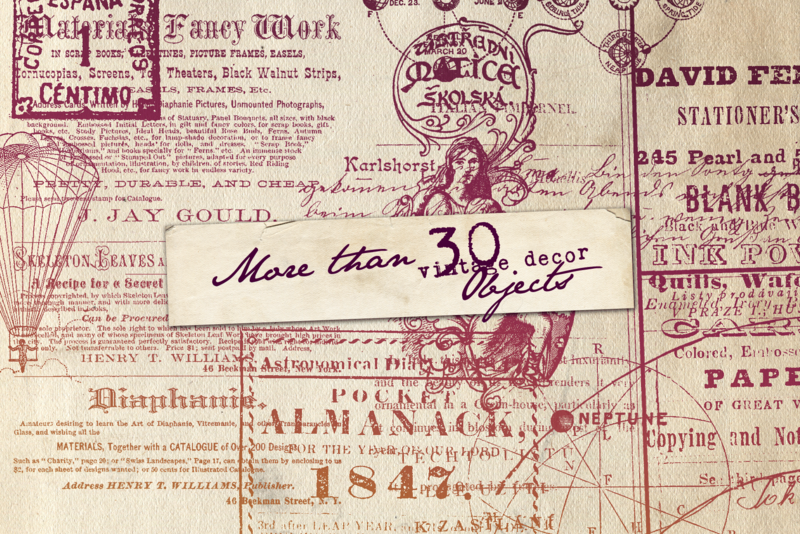 2 says “35 unique vector flourishes” and “35 .PNG vector flourishes” are included in this set. 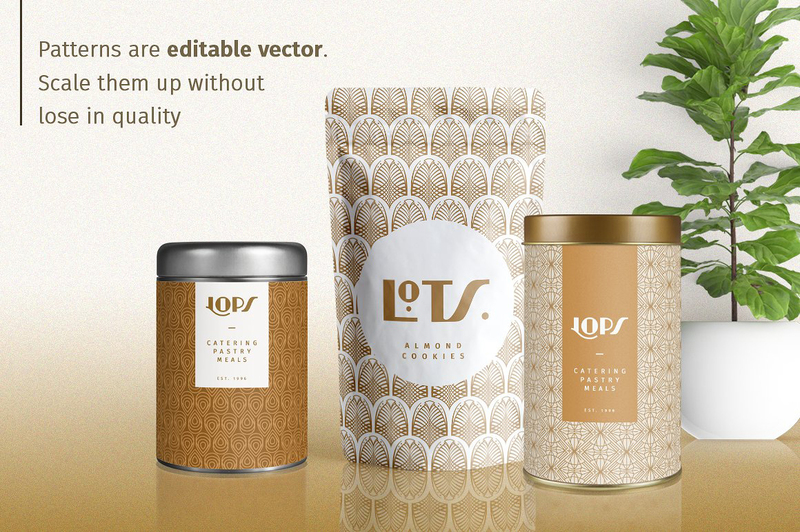 No vector file is included and PNG’s are raster files not vector so the description is confusing… does the wording need to be corrected or is the AI file (that is available in the version of this product offered on Creative Market) missing/intentionally left out. 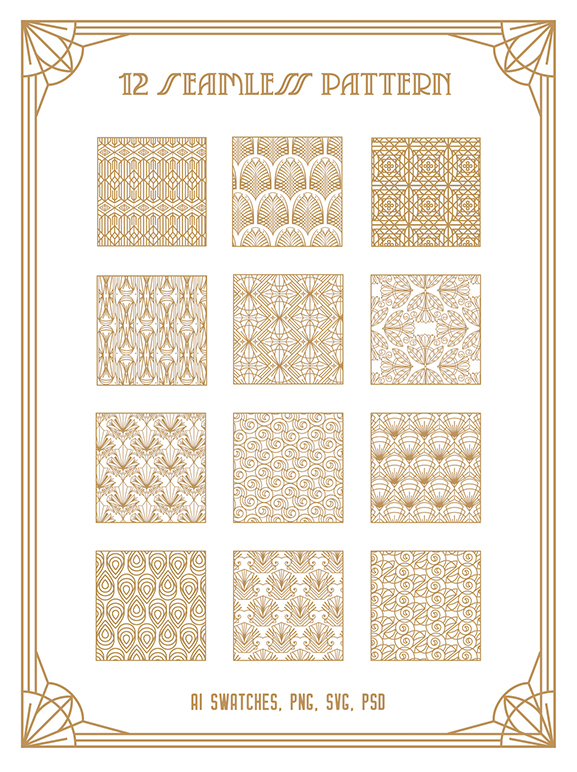 Having the AI file would make this really cool product useful as these specific PNG files are quite limited in use given the small sizes/raster format. 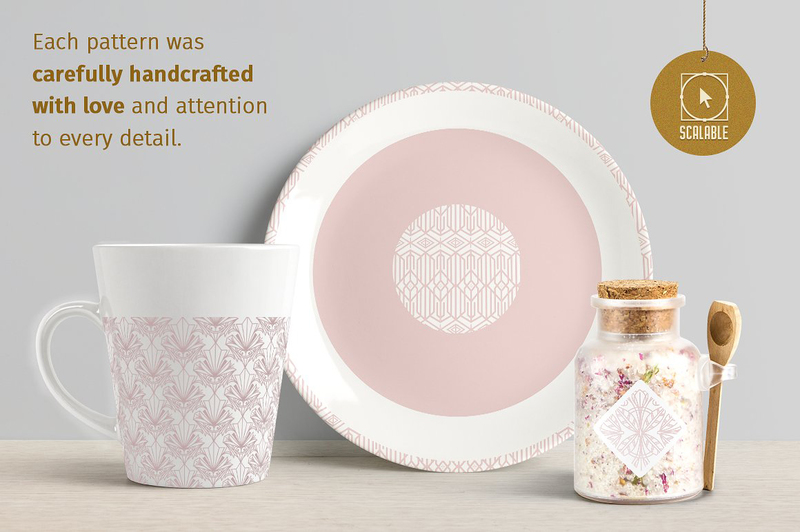 The product descriptions and preview graphics have actually been created and sent to us by the designer, but we will definitely flag this with them so thank you so much for bringing this to our attention Julie! I am really sorry but I am having difficulty seeing AI files in this pack elsewhere. 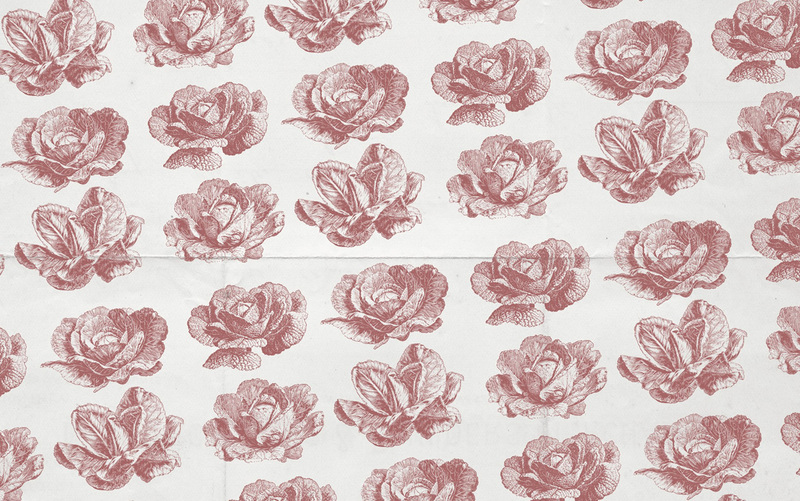 I have popped you an email to find out more on where you have seen this to help! Thank you so much for letting me know of this popup on CM, I really appreciate it! I’m so sorry for any inconvenience caused. Rest assured I shall have a look into this and reach out to the designer if need be so will be in touch with you soon with an update! 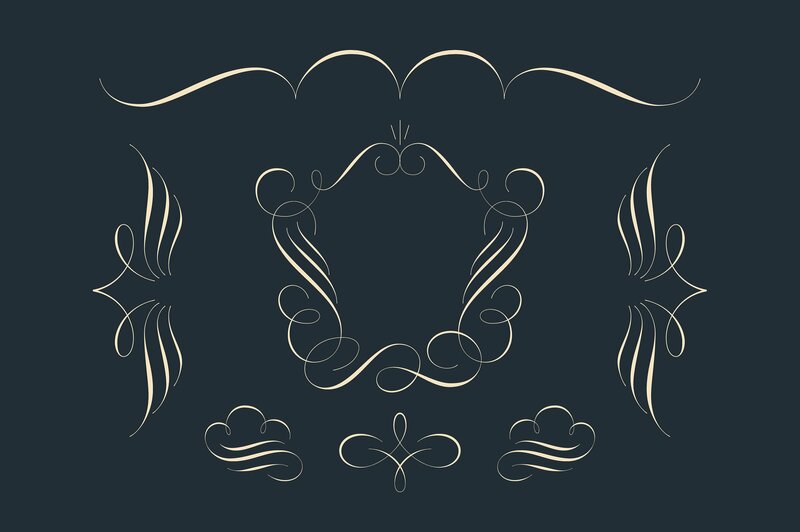 oh i understand the popup thing 😮 i still dont have the vectors to the fantastic flourishes! will this be updated? Thank you so much for your comment and we are so sorry for any inconvenience caused! 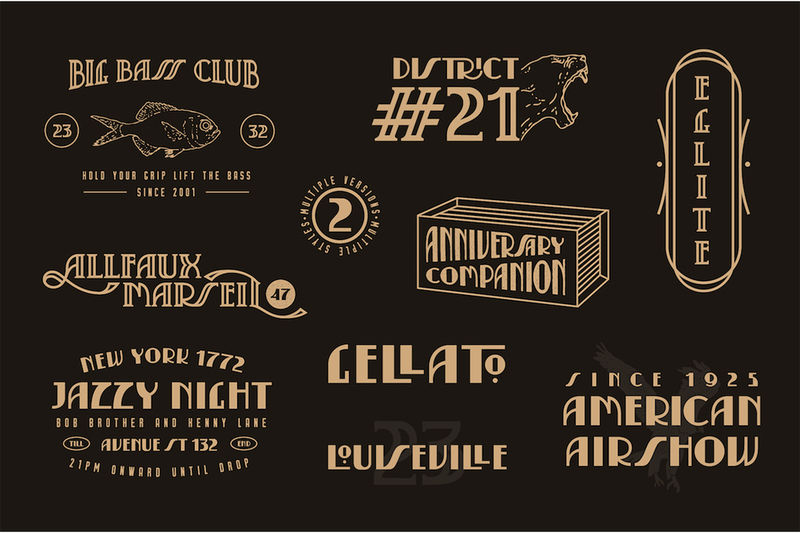 Hi, is anyone able to give more detailed instructions on the halftone and engraving action set at all please? I can’t paste my image into the ‘My Image here’ layer. Thank you so much for your comment and I am so sorry to hear that you are having difficulty with your halftone and engraving action. The plunge has been taken. Now, off to organize all these great new resources…. 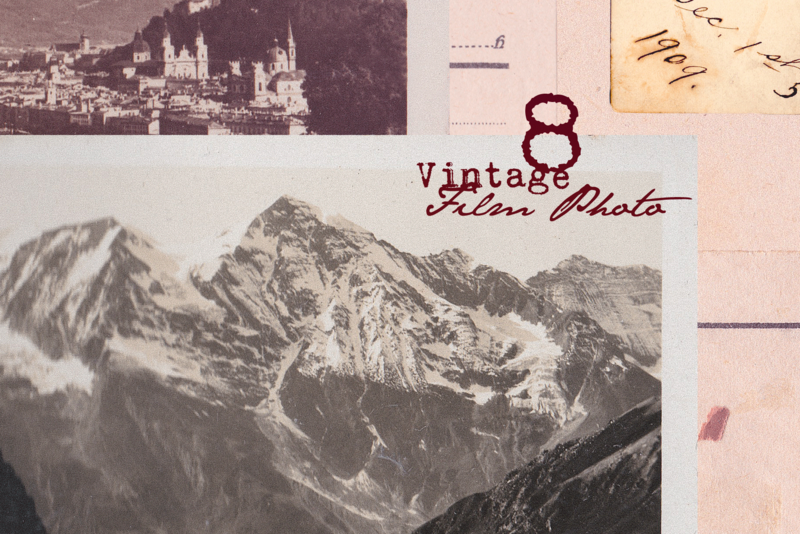 I foresee some fun upcoming projects are going to have a vintage twist! 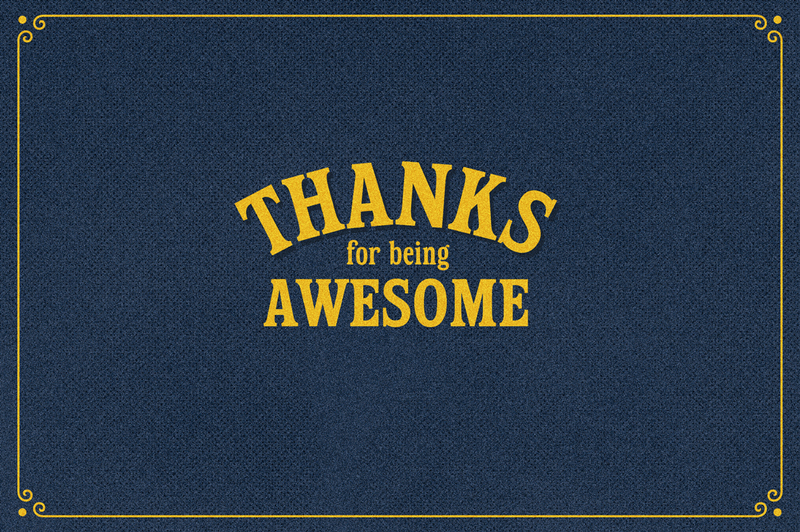 Thanks for being the best! Woohoo thank you so much for your awesome comment Randall! Does Hailgate and Balford not work in Photoshop? I also want to know the answer to this question. Maybe the staff missed this question. My guess is that if it’s .otf it would work in Photoshop. 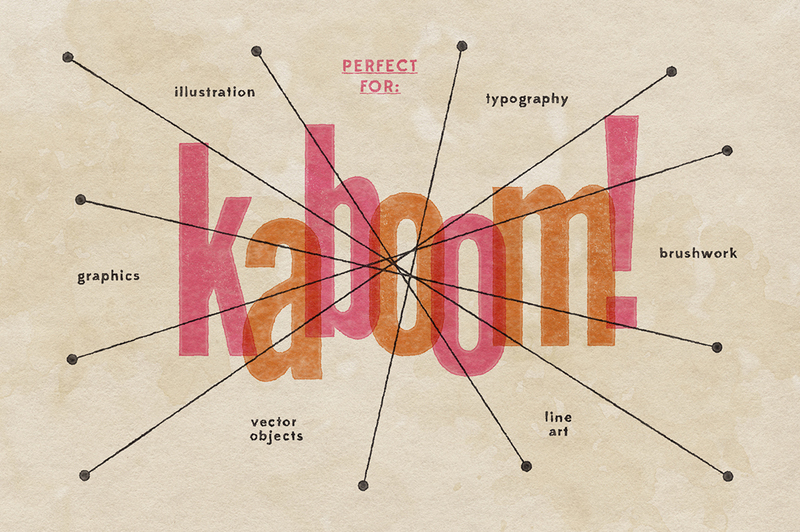 Fonts are an amazing resource and they can literally be used in all types of text and design based programmes once they have been installed onto your computer, so you shouldn’t have any problems with these! 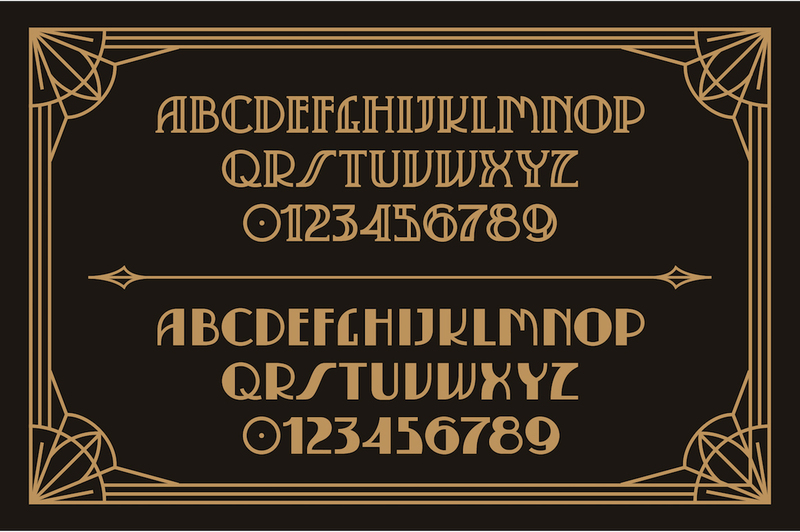 The great news is that fonts are super versatile and work with any text and design based software once they have been installed so you should be able to enjoy working with your fonts using Photoshop! 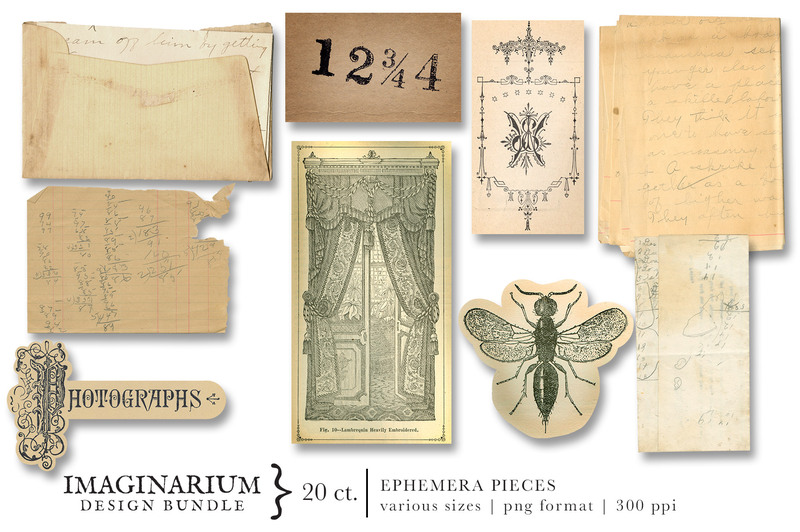 Terrific bundle, a great collection of so many varied and interesting items — love it!! Woohoo, thank you so much for your lovely comment Jillster! We hope that you get great use out of your new resources Jillster, happy designing! Love, love! I just want to confirm, I have a lot of bundles from you amazing people and I feel like I recognize some of this from various, previous bundles I purchased. Has some of this bundle been released in other previous bundles?? I just want to be sure. I will probably still get it though! Thanks! Thank you so much for taking the time to leave us such a lovely comment and I am so sorry for any confusion caused! 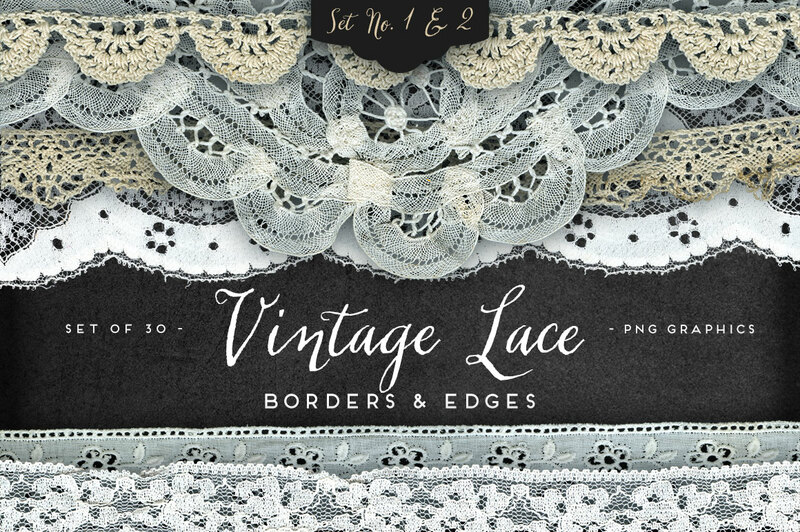 There may be others but one identical offering I found is that Eclectic Anthology Vintage Lace Borders & Edges 1 & 2 in this bundle were included in the Creative’s Complete Inspirational Arsenal Bundle (as part of the Eclectic Anthology Lace & Textile Bundle). 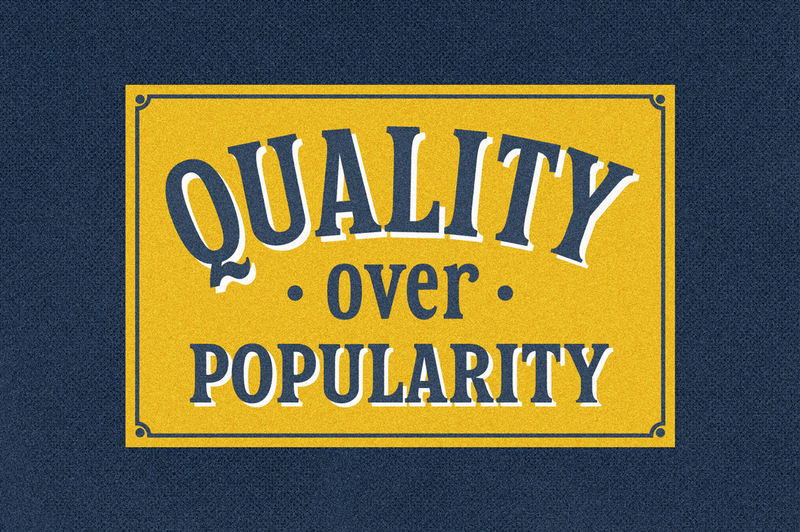 Thank you so much for flagging this with us- we thought this one was too similar to be true! 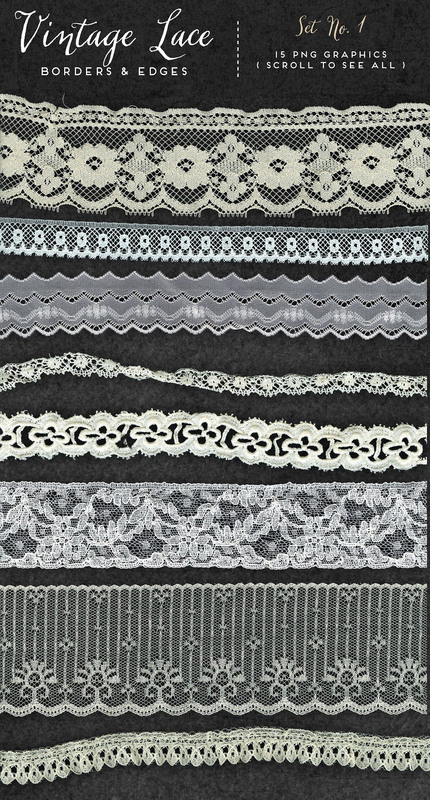 In 2016 we released the full Lace & Textile Mega Bundle, and what a great catch from you Julie that these Lace Borders and Edges were featured as part of that! 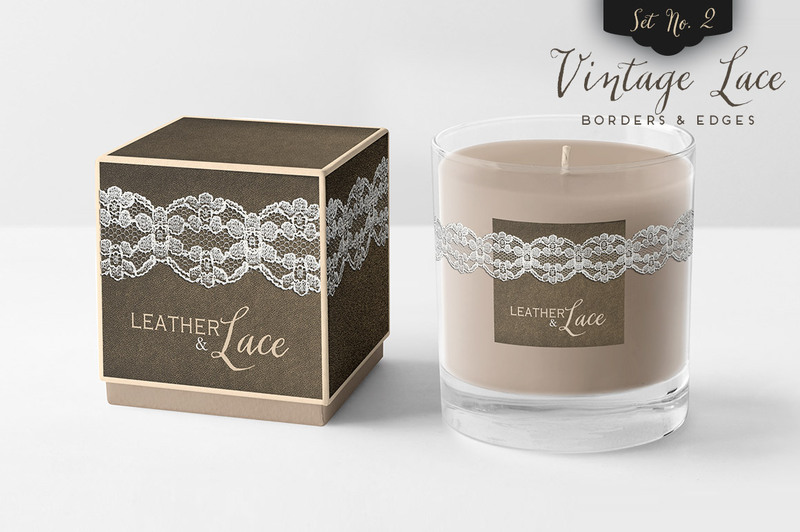 As I mentioned, our bundles do usually only feature new products that have never been included in one of our deals before, so rest assured I have flagged this with our Product Team so that it doesn’t happen again! As this was featured quite a few years ago we hope that this will give some of our newer community members the chance to pick these up but we are so sorry that this has happened. We have also added a note to the Bundle page so that the rest of our community are aware of this and we really appreciate you bringing this to our attention Julie! 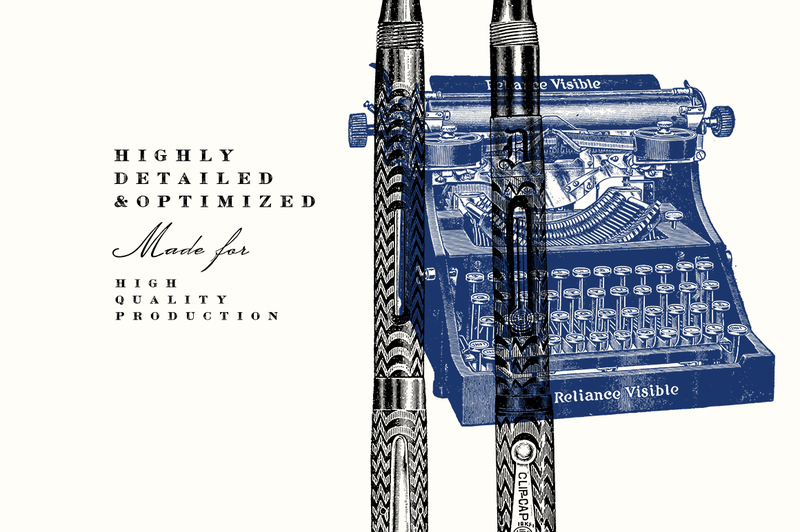 Thinking about it– and then the engraving halftone!! Woah!! Thank you so much for your comment Deb! 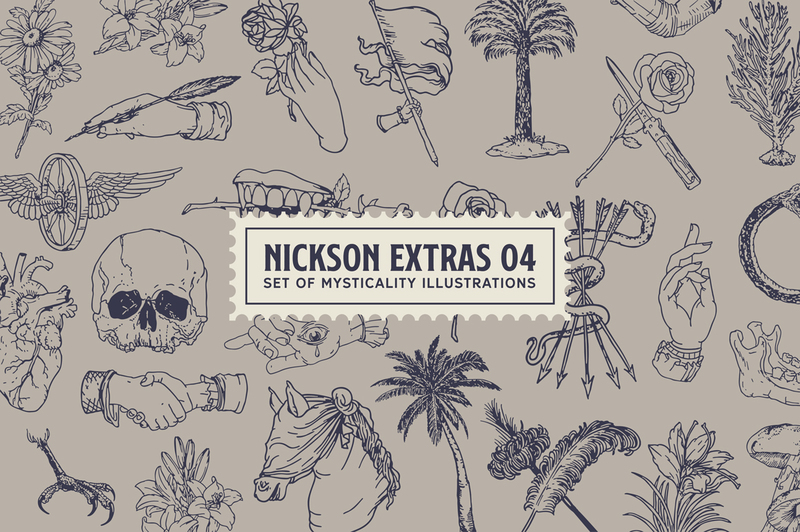 It is so great to hear that the Engraved and Halftone Creator made this one such an insta-buy for you! Yay thank you so much for leaving us a comment Tina, we really appreciate your support! We are so glad to hear that you love it and hope that you have great fun working with these! Thanks so much for such a great collection at an awesome price! Woohoo thank you so much for such an awesome comment Ron, we are so thrilled to hear that you find this Bundle such a must have, even though you have already added some of these packs to your resource collection already! 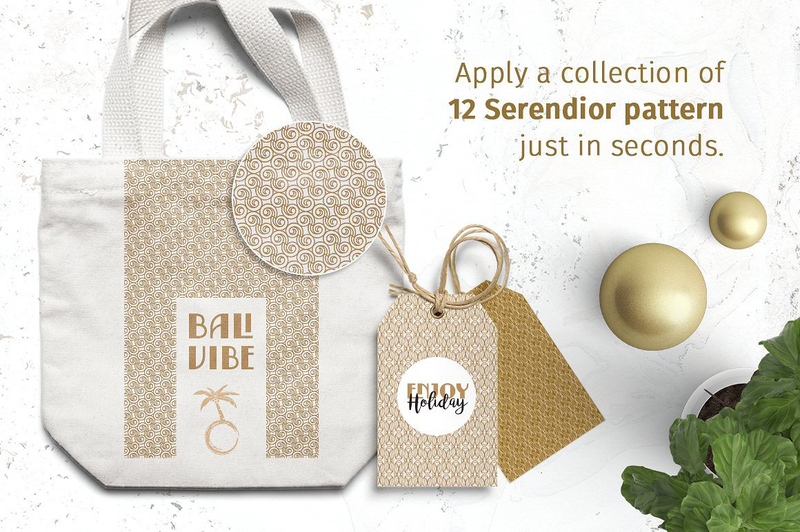 We’re so glad that we have included some products that were on your wish-list, as well as introducing you to some fun new packs- we hope that you really enjoy taking all of these for a spin! Kawabunga! LOL What ISN’T in it! I am mesmerized. Hee-hee thank you so much Su, we are so thrilled to hear that you love all of these packs! 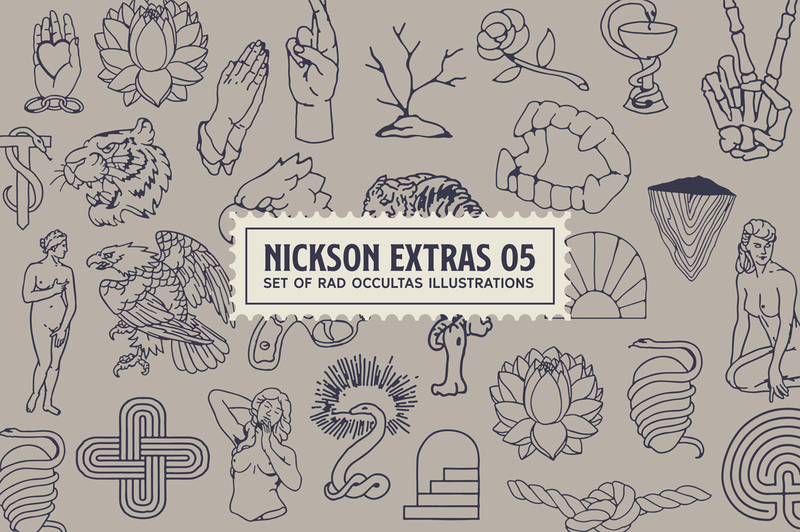 It is awesome to hear that you find these mesmerising and we hope that you have great fun taking these for a spin if you decide to pick this Bundle up to add to your resource collection! 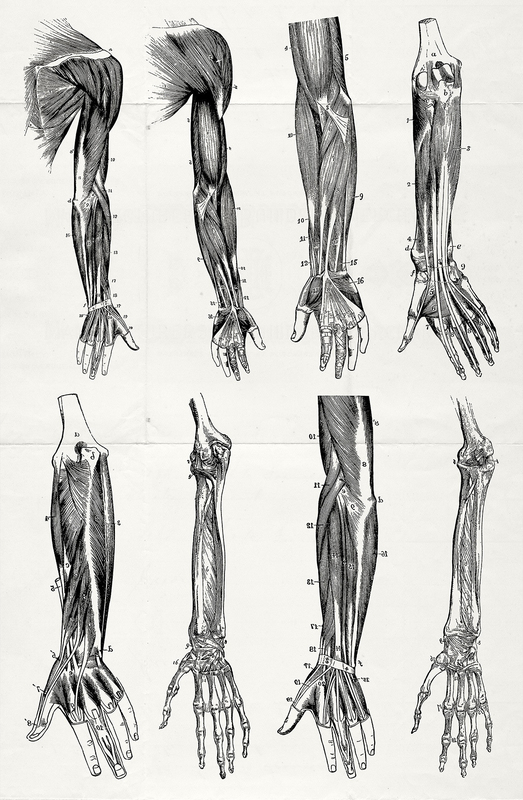 Hi, I got the same problem as Josef – is anyone able to give more detailed instructions on the halftone and engraving action set at all please? I can’t paste my image into the ‘My Image here’ layer. 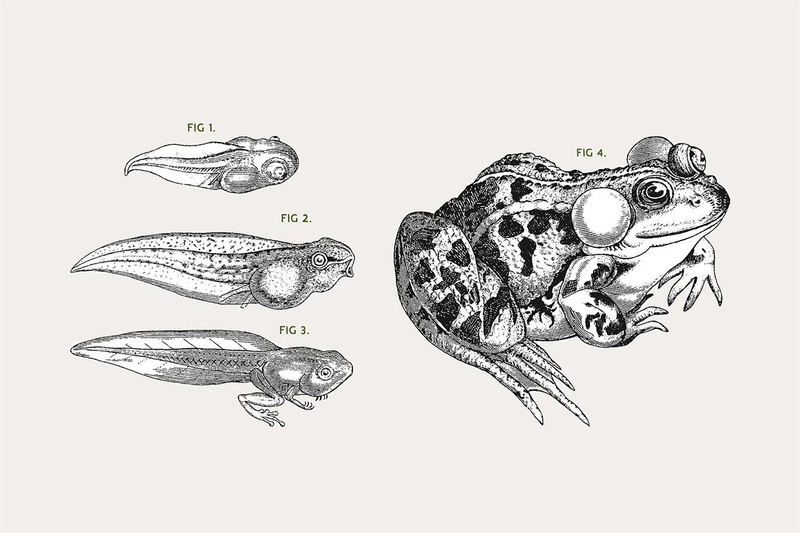 I am so sorry to hear that you are having difficulty with your Halftone and Engraving action.